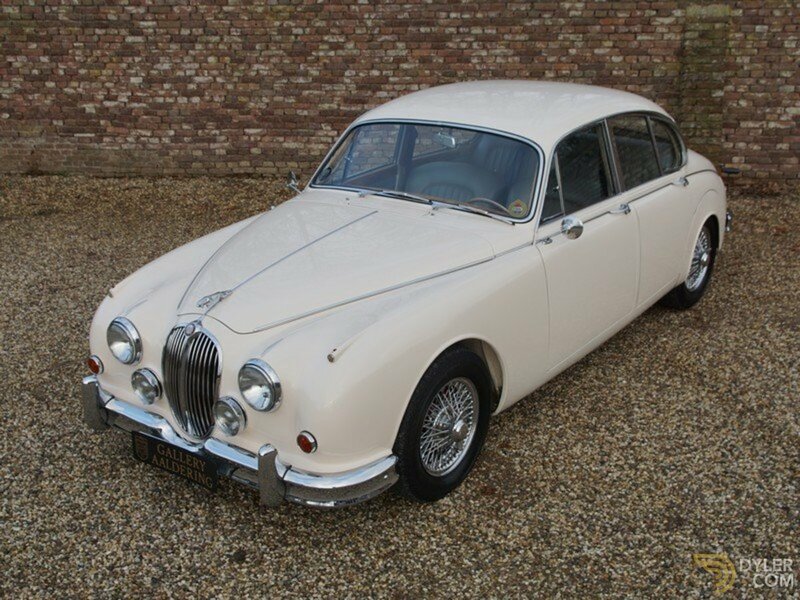 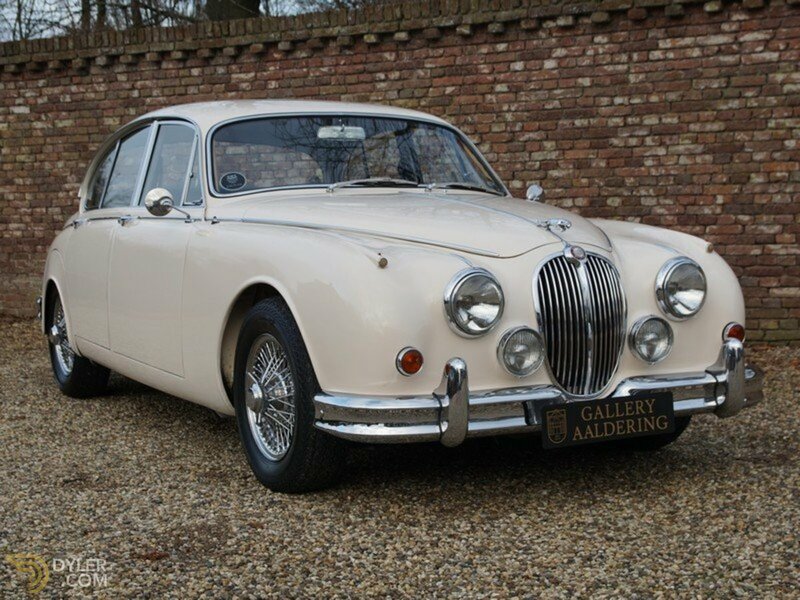 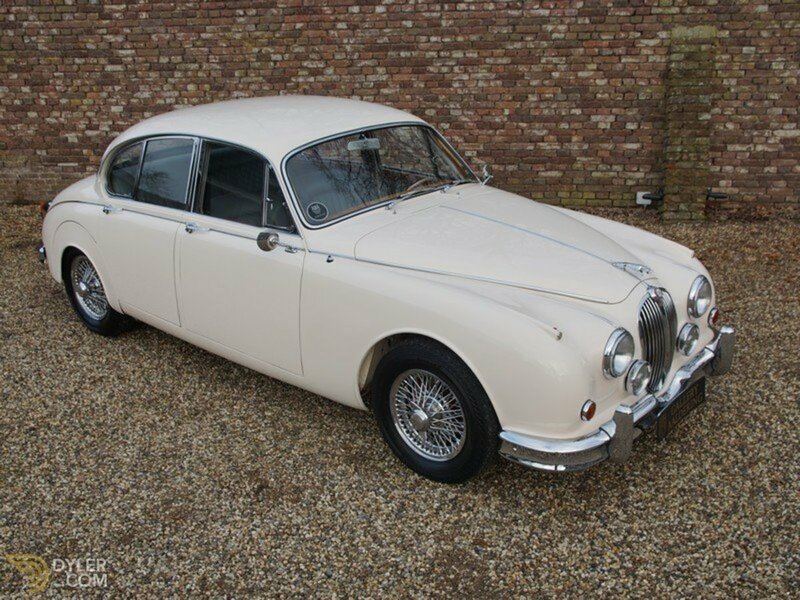 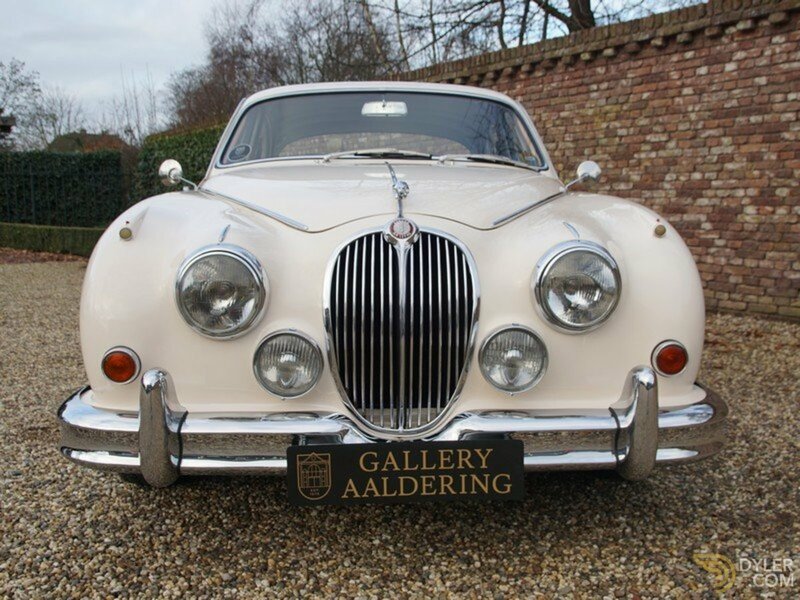 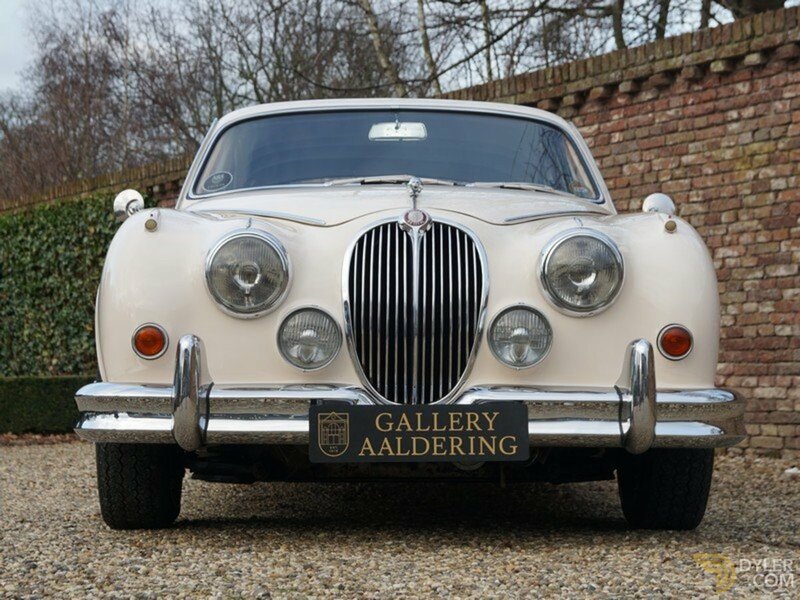 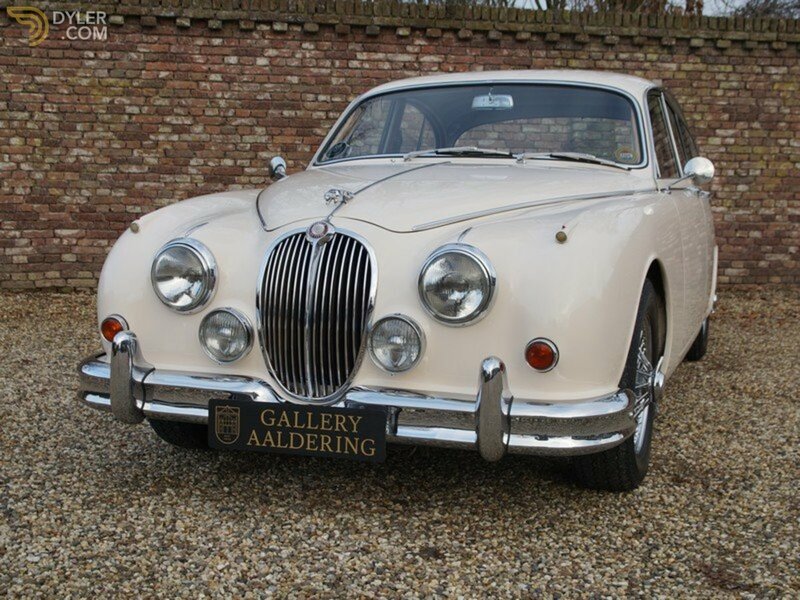 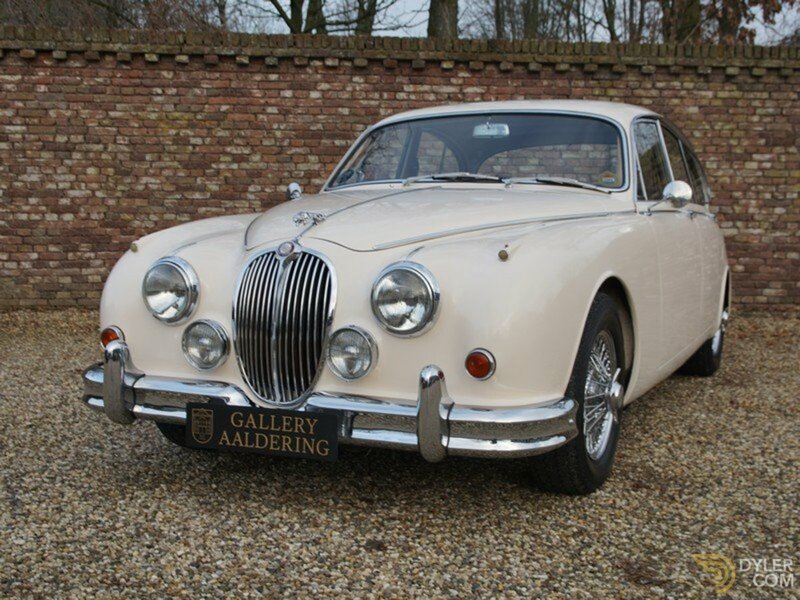 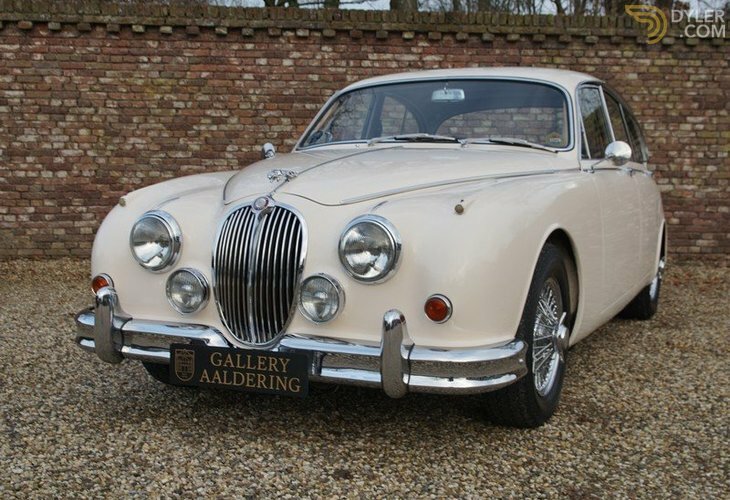 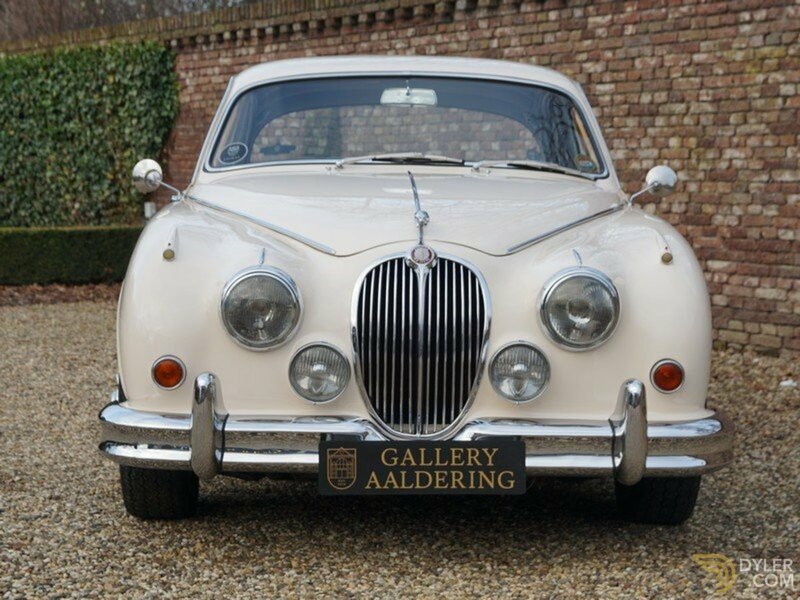 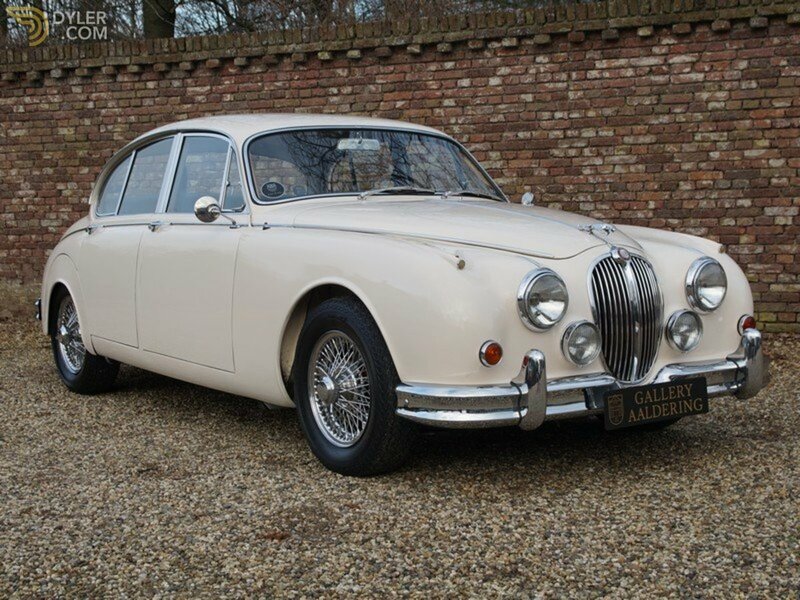 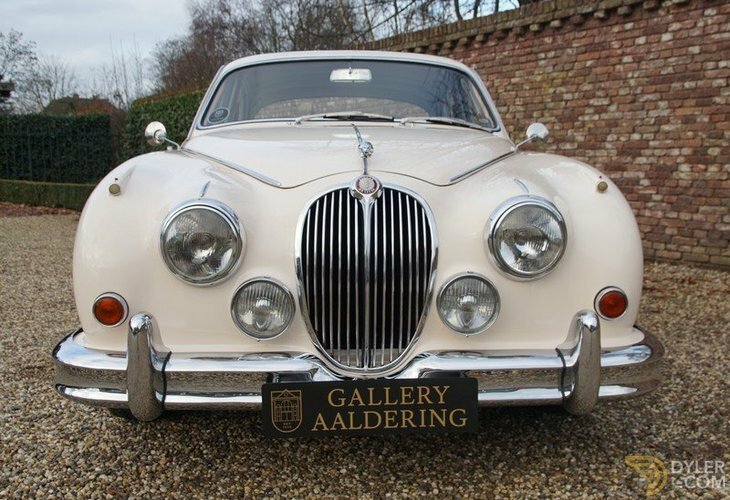 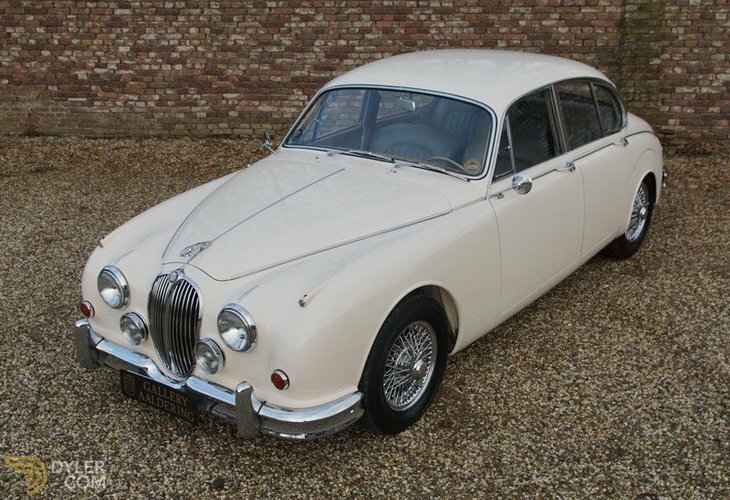 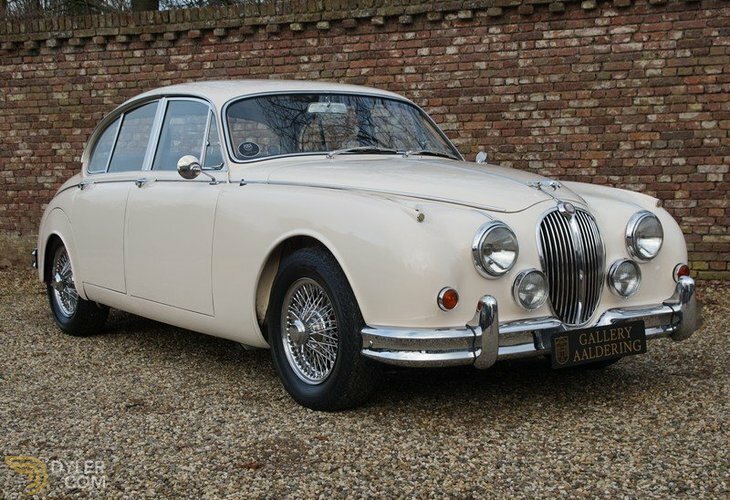 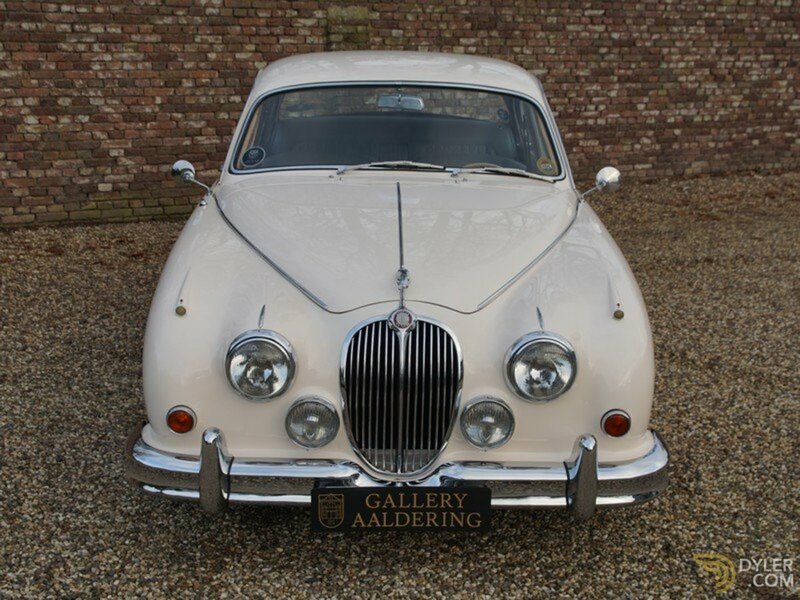 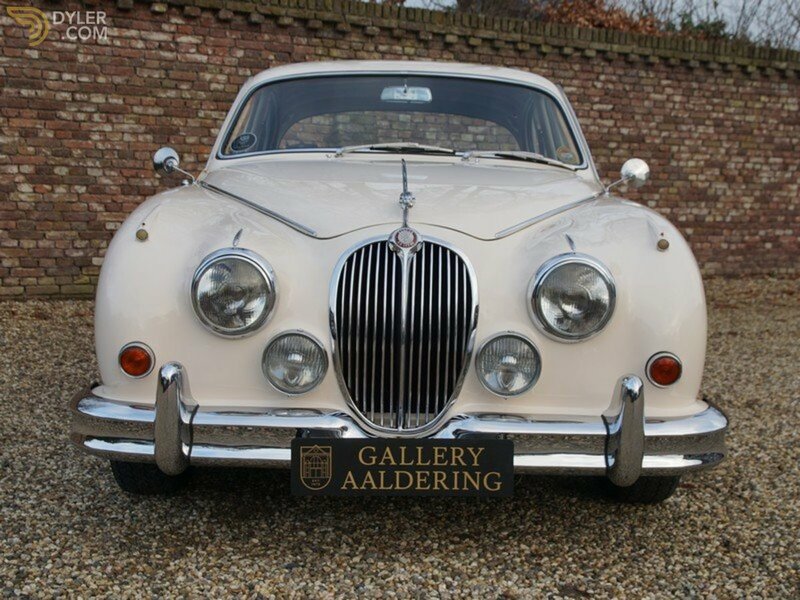 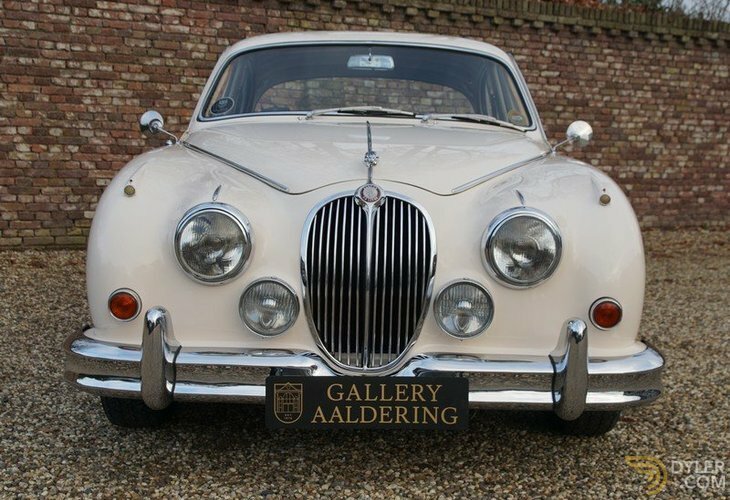 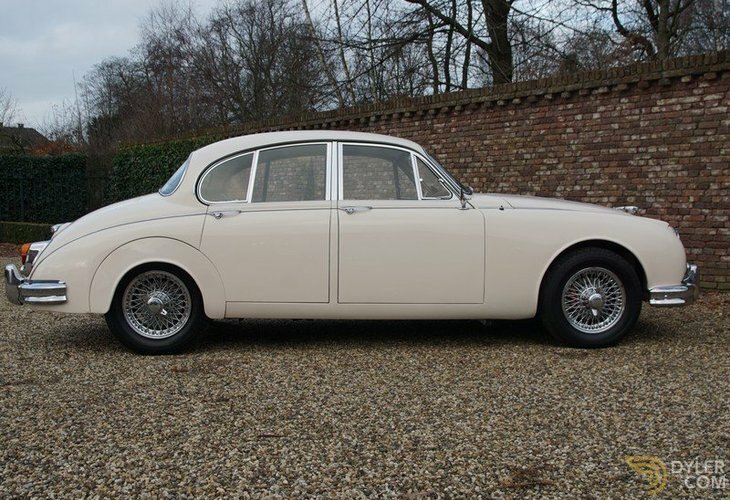 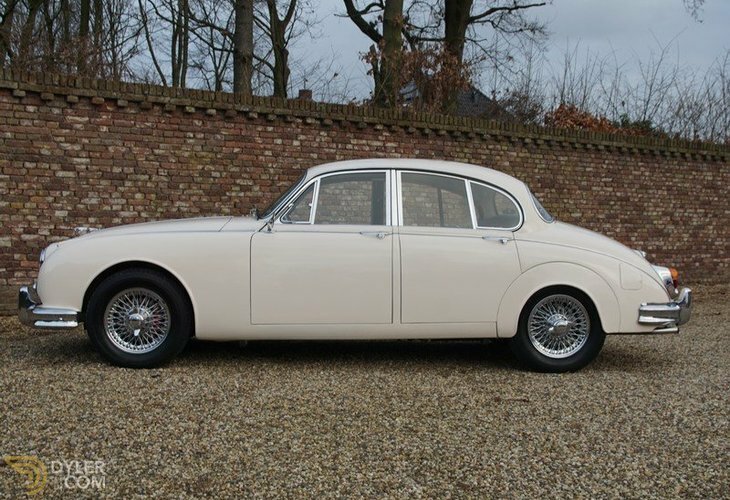 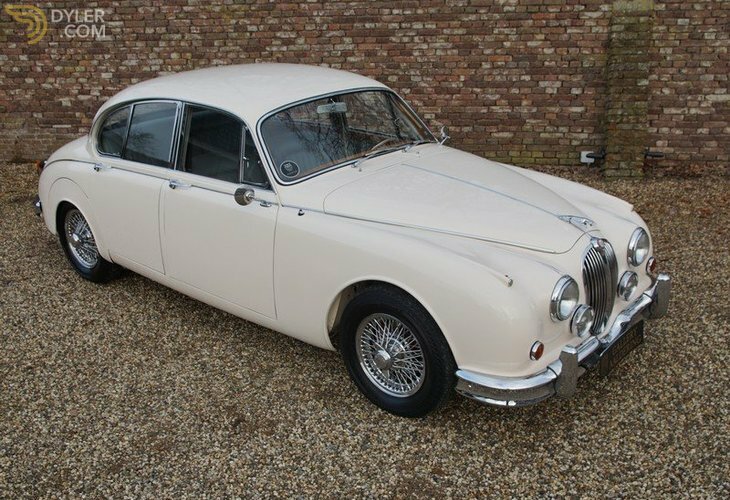 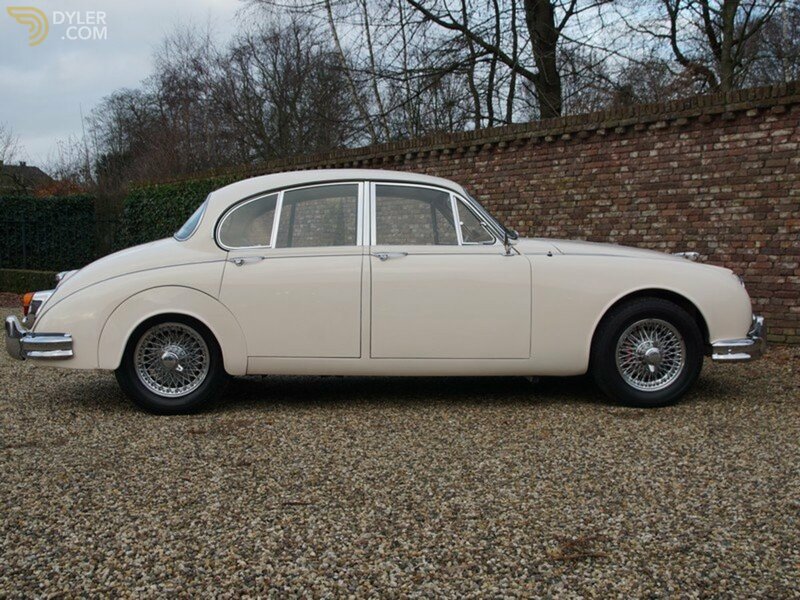 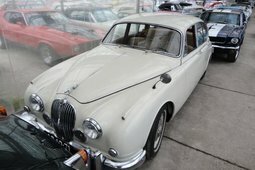 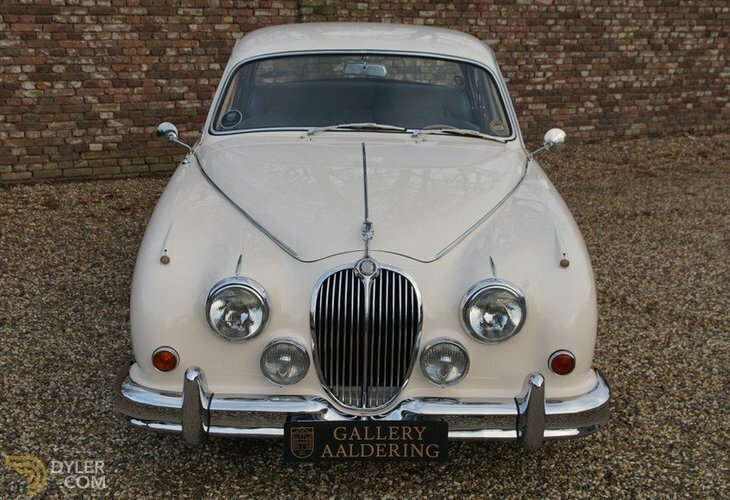 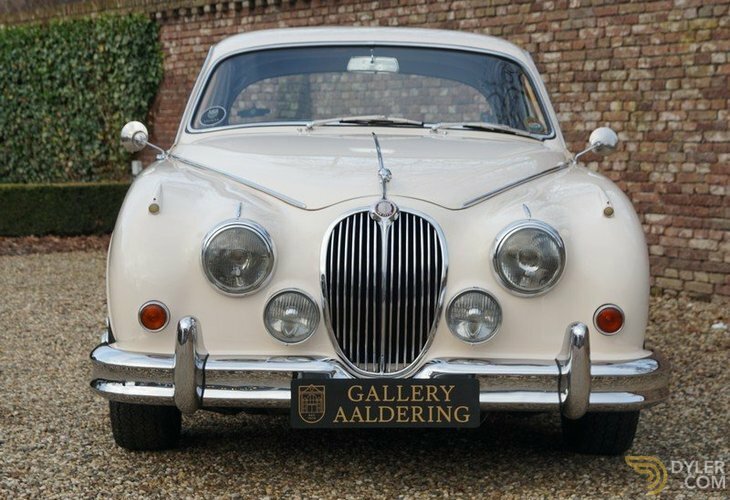 This very nice MK2 3.8 Jaguar started life in Washington, the USA and was exported to Holland in 1992. 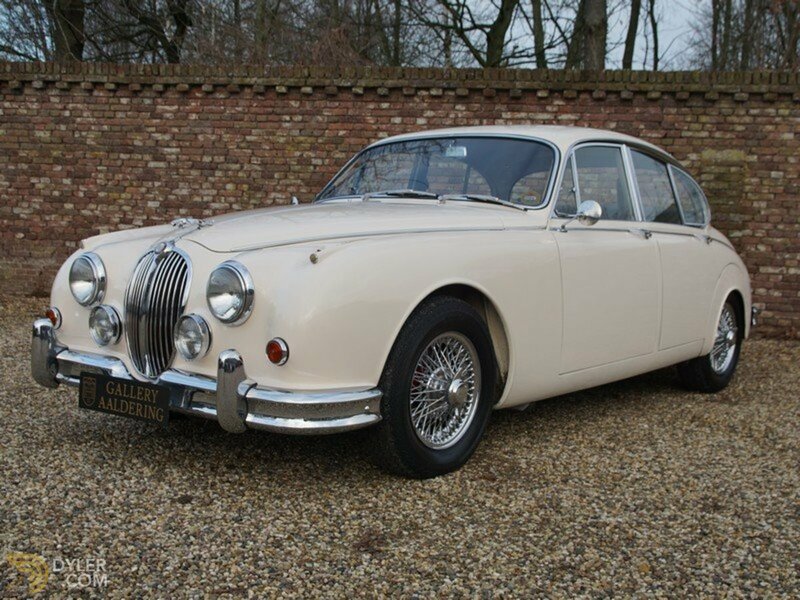 Since then it has had two further owners. 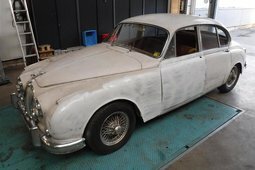 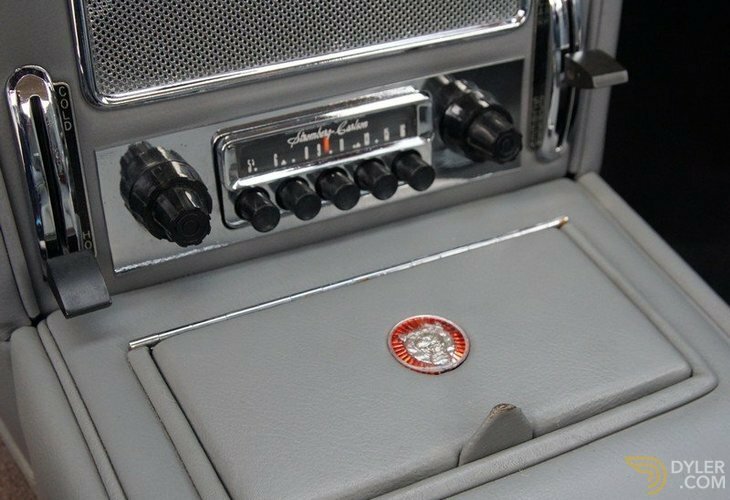 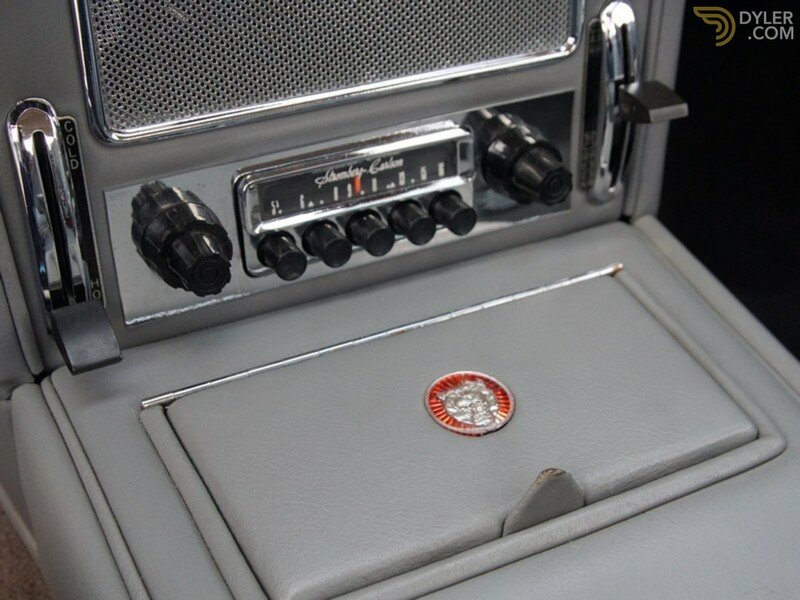 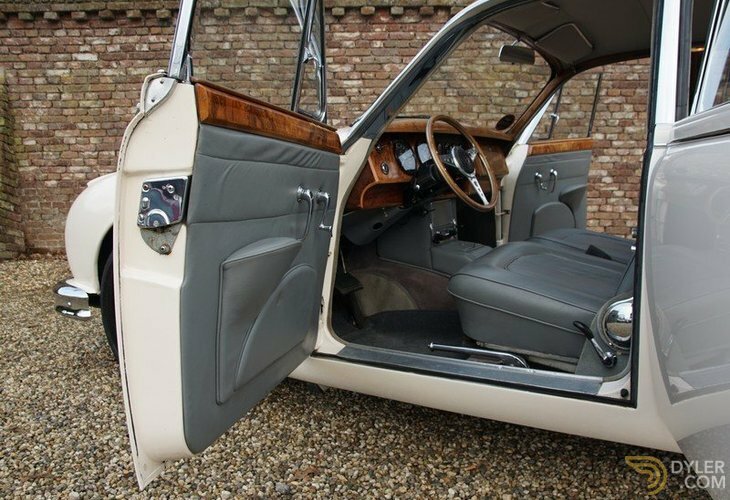 In the past it was completely restored and mechanically overhauled. 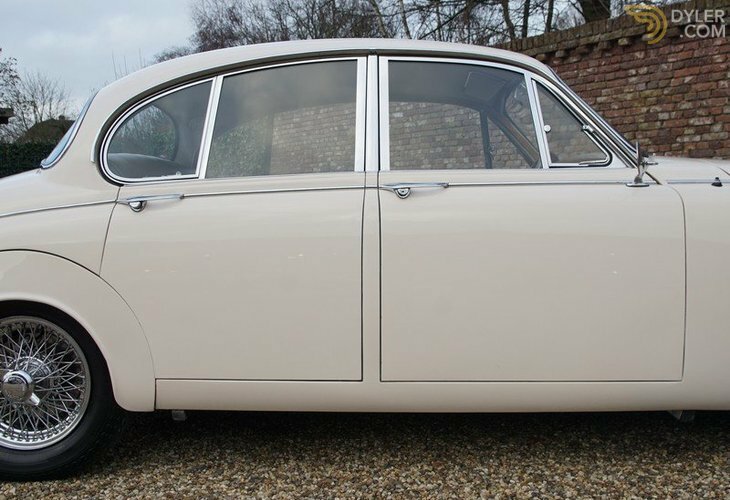 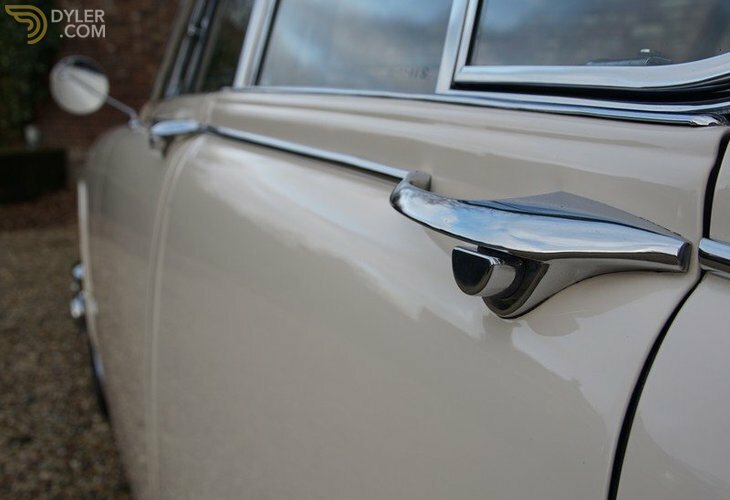 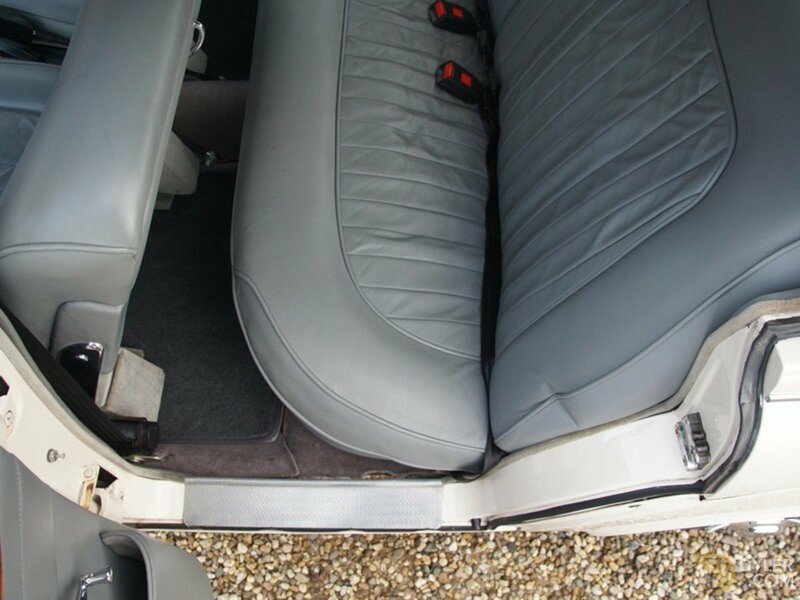 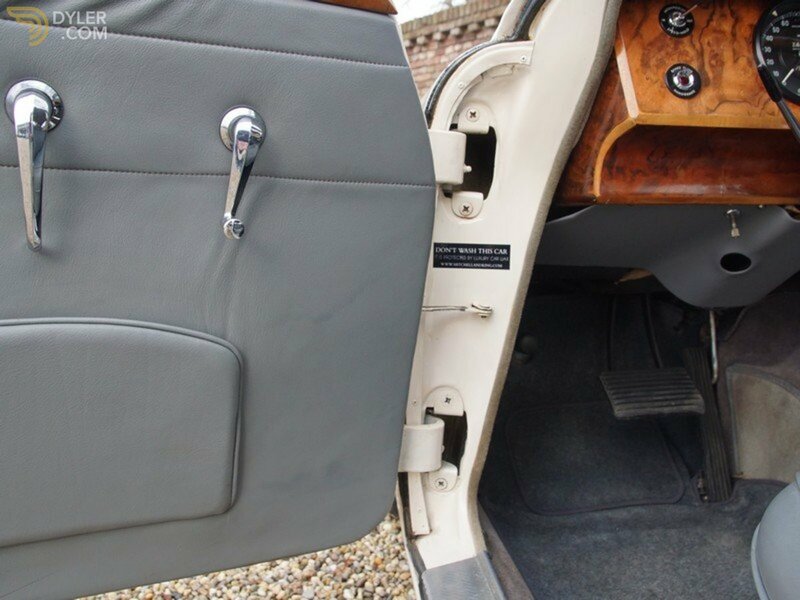 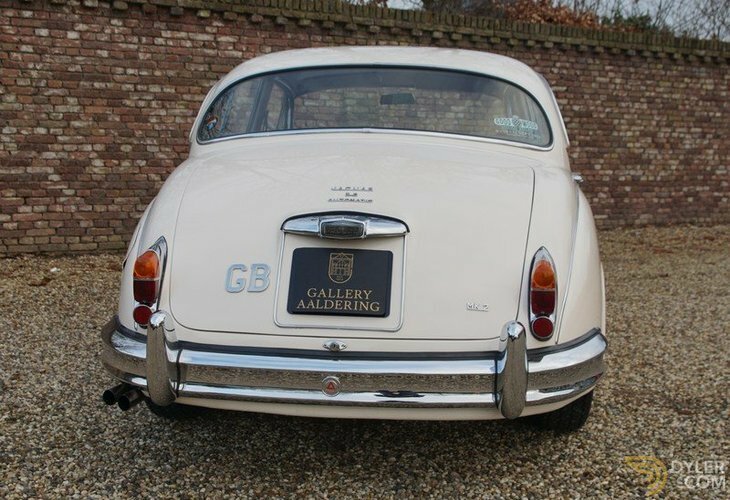 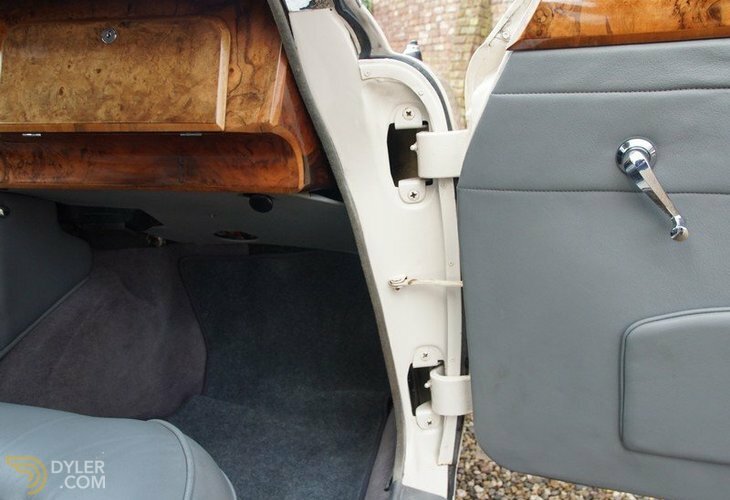 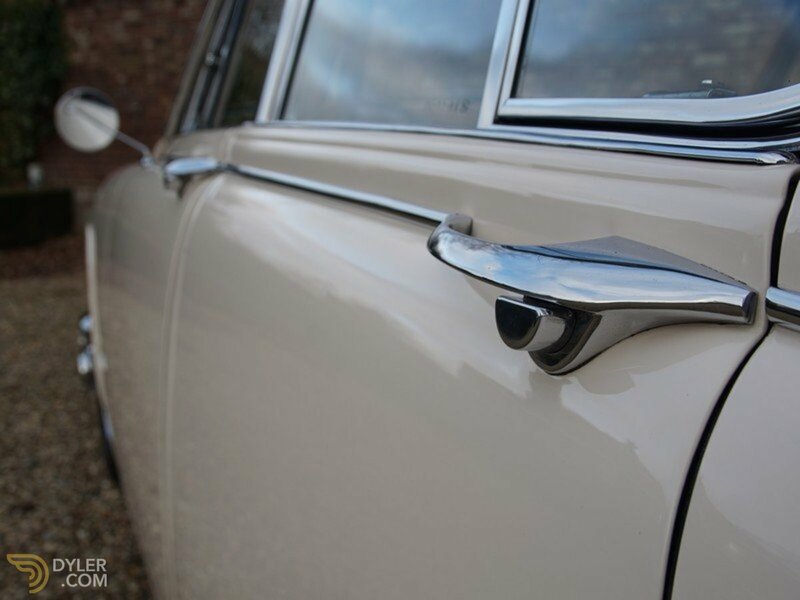 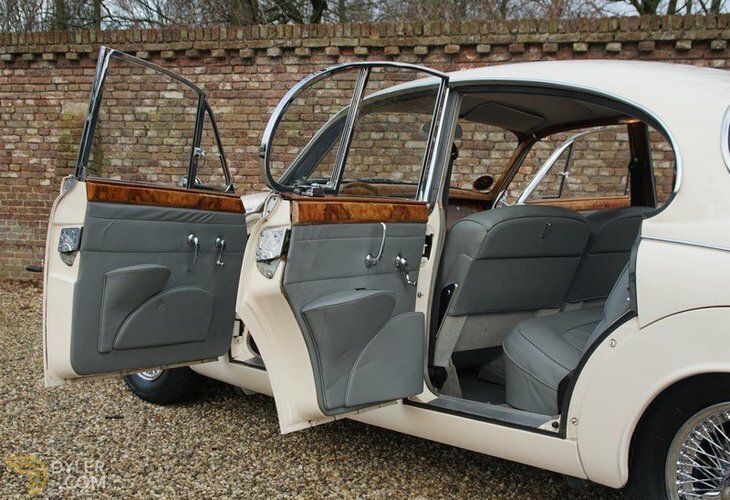 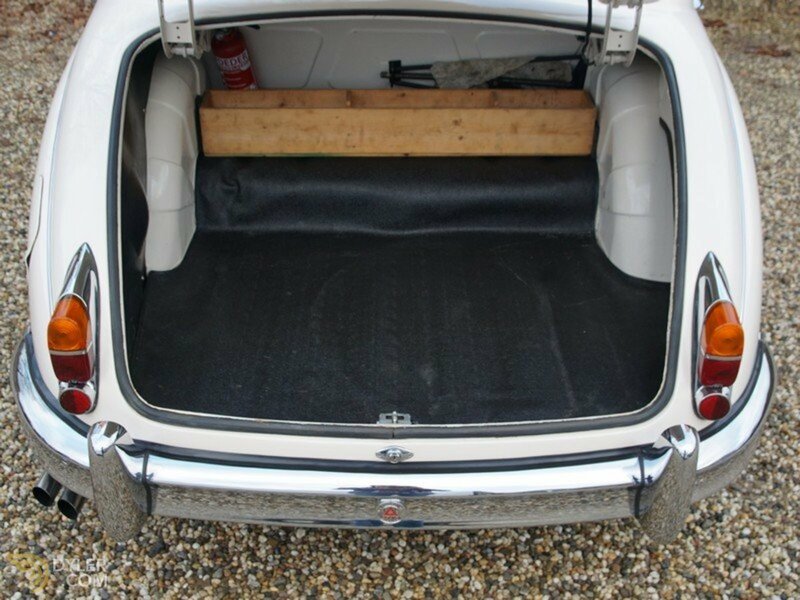 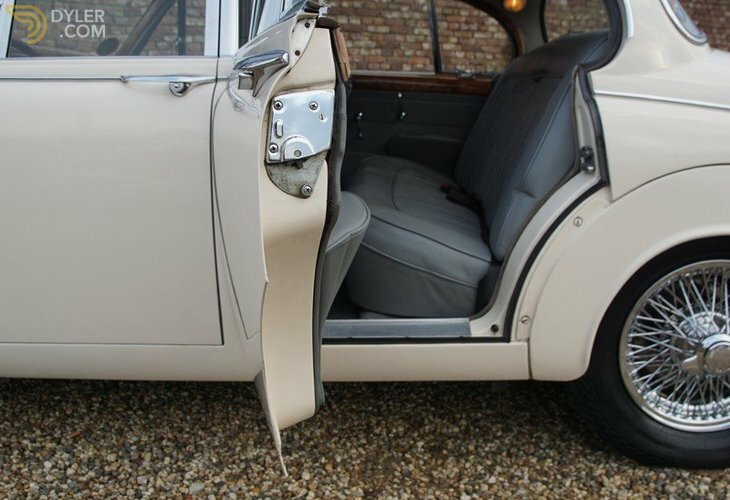 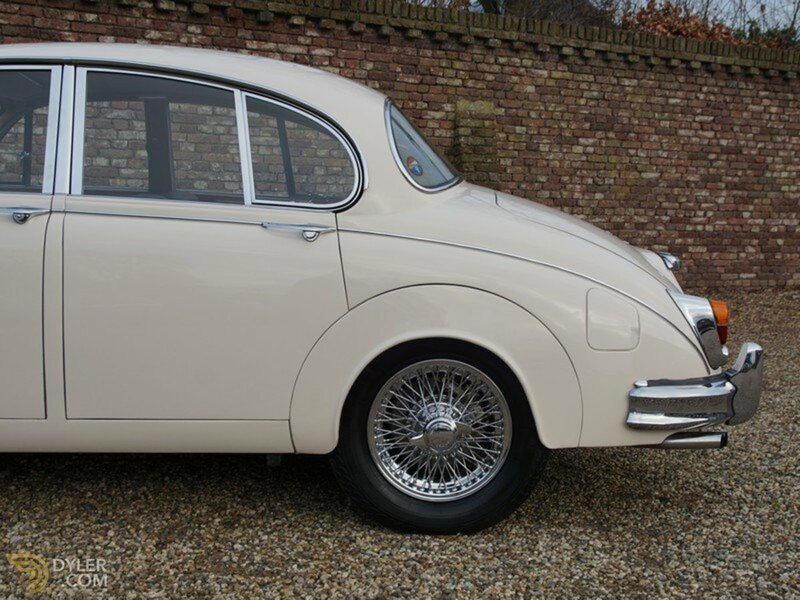 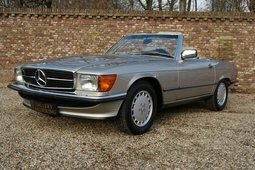 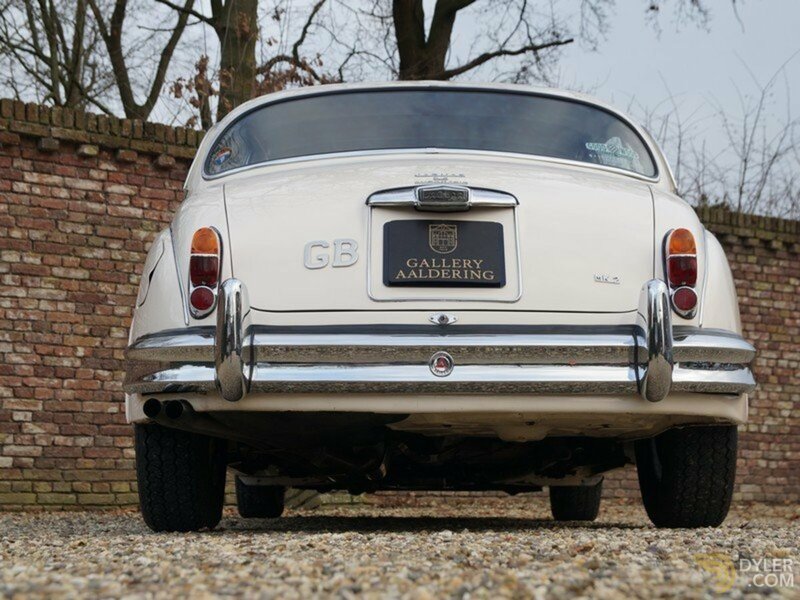 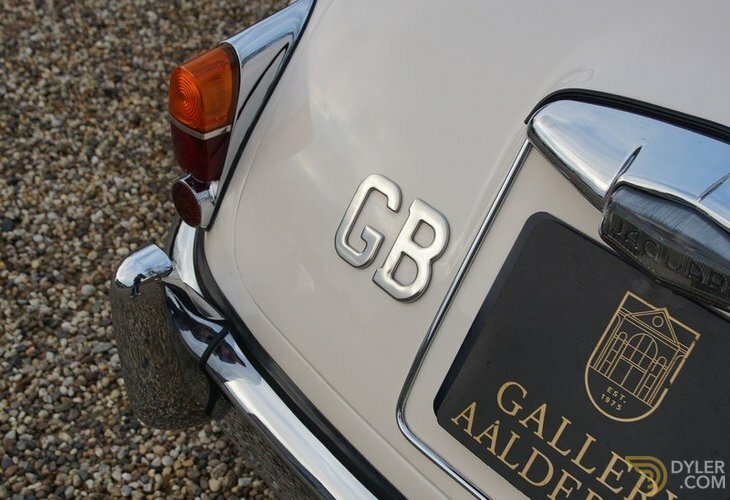 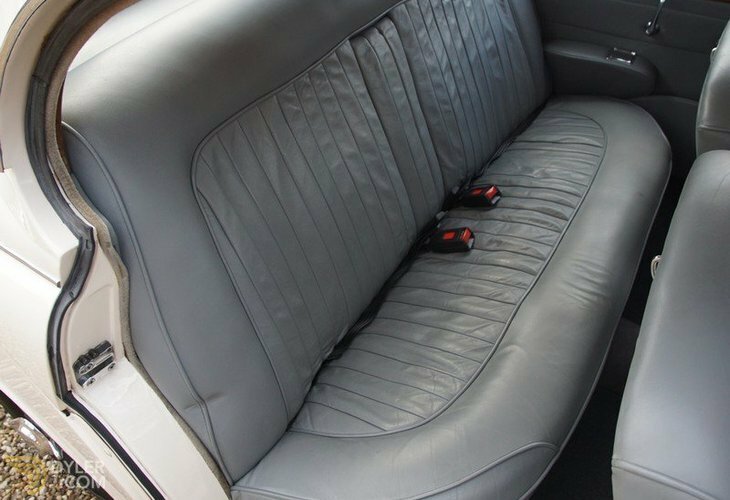 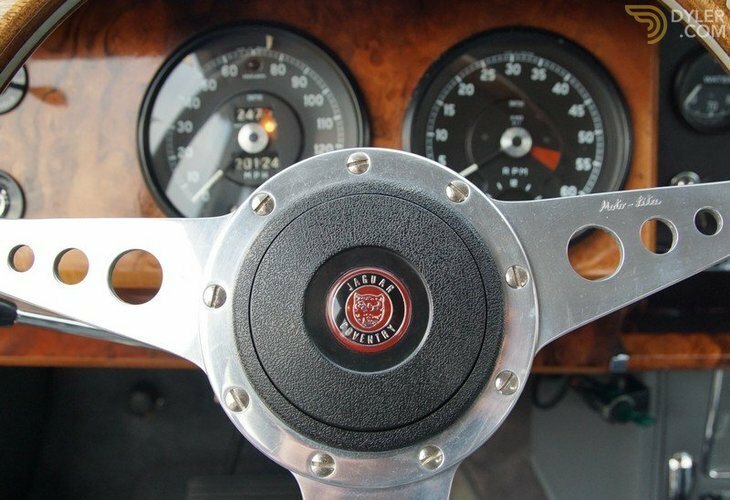 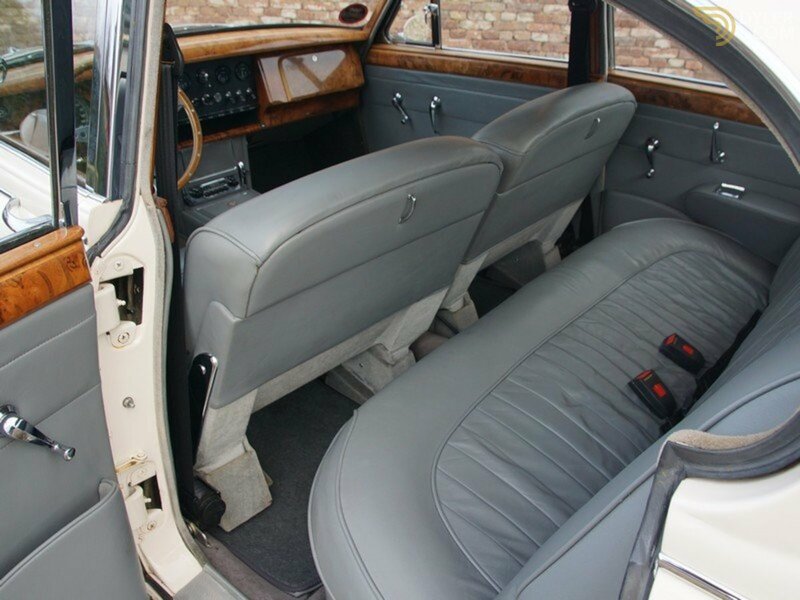 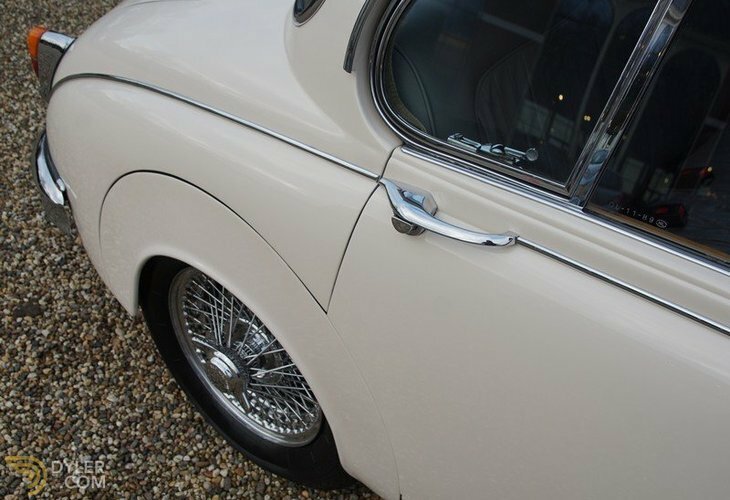 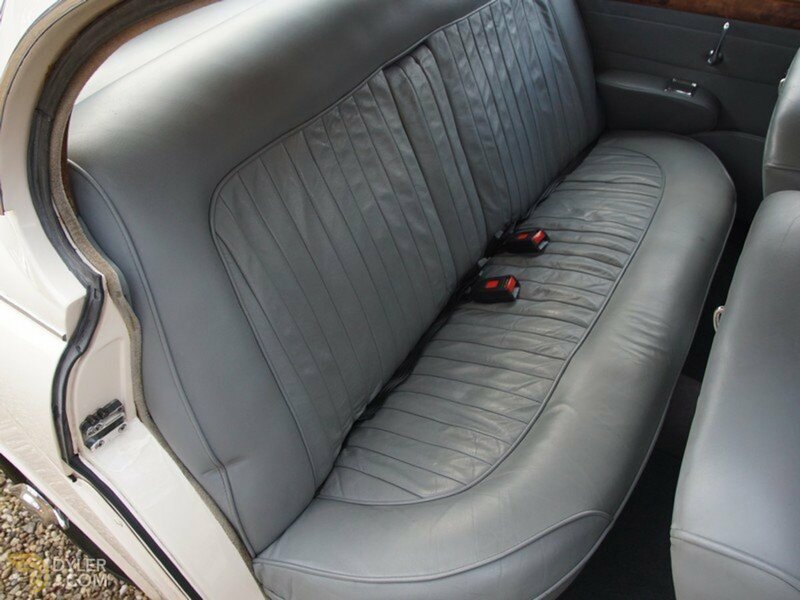 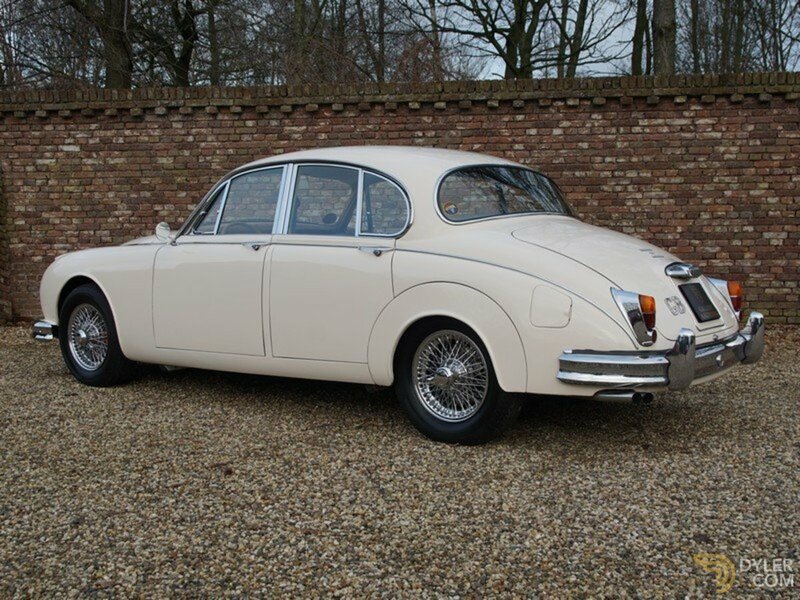 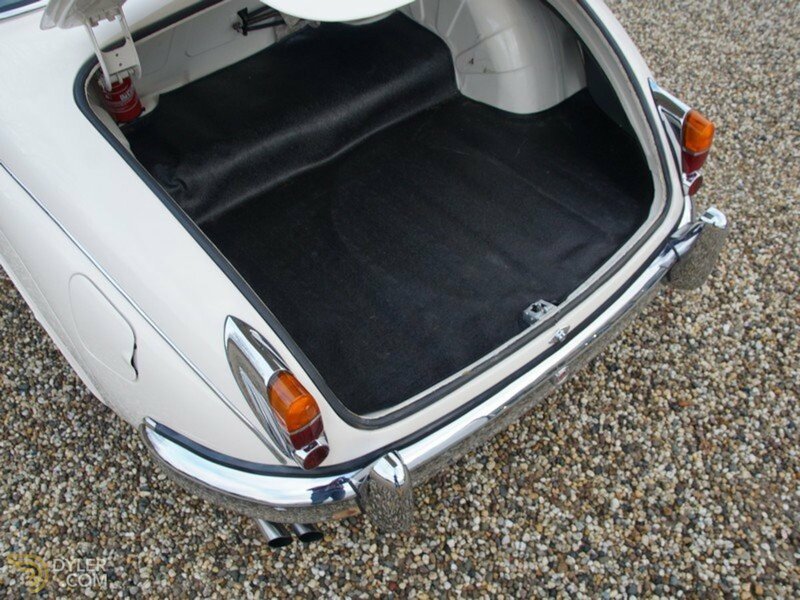 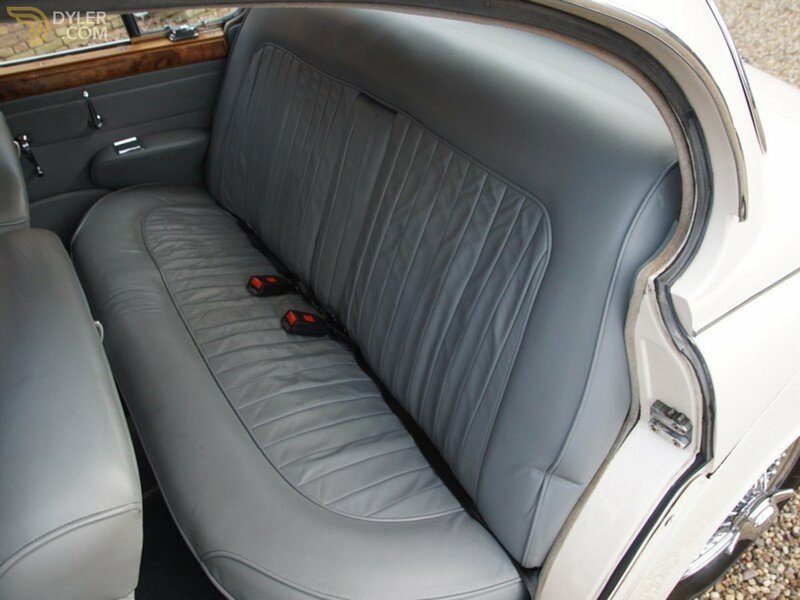 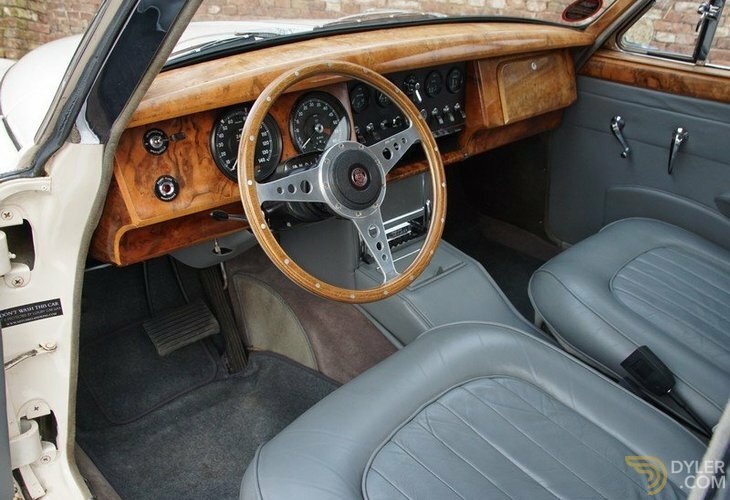 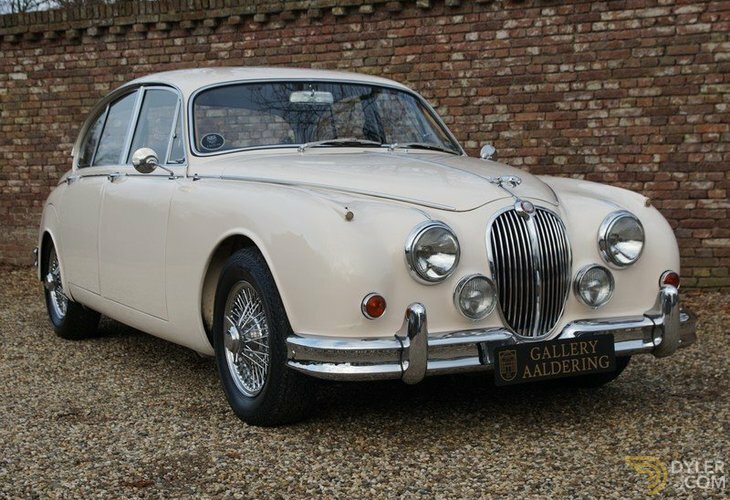 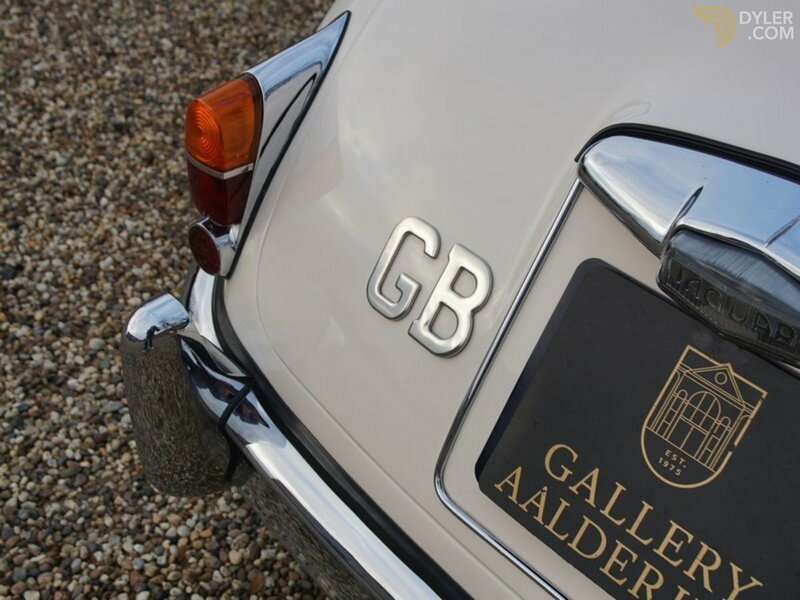 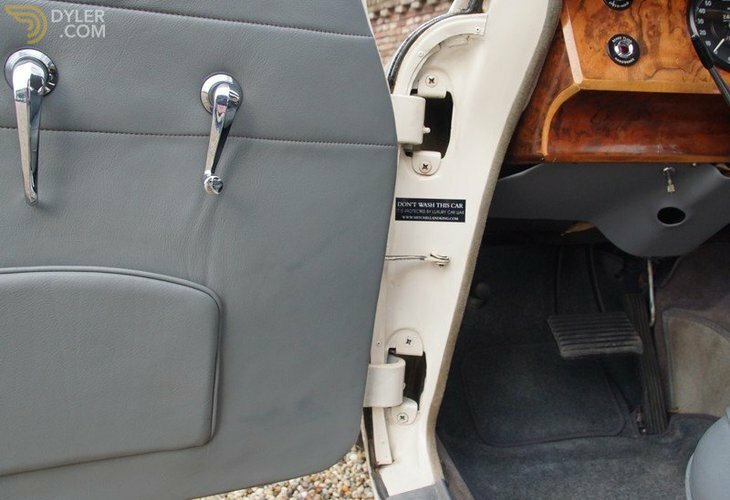 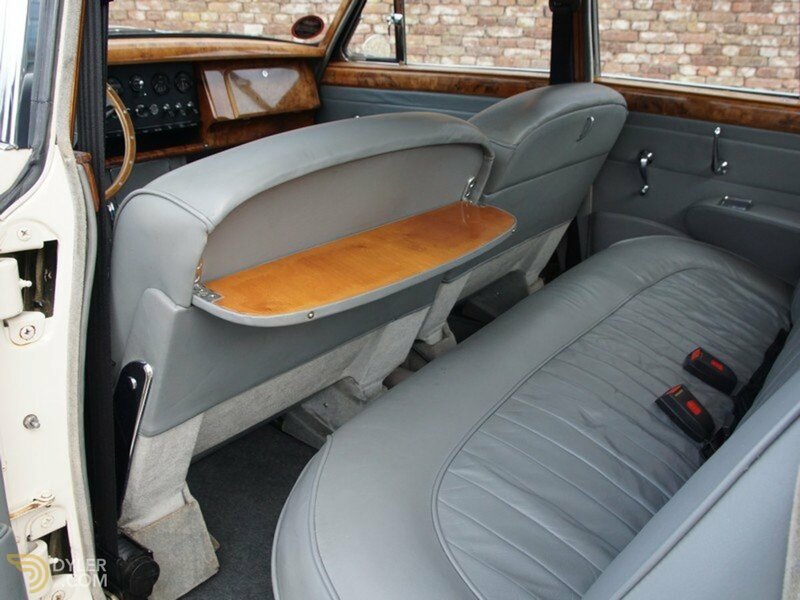 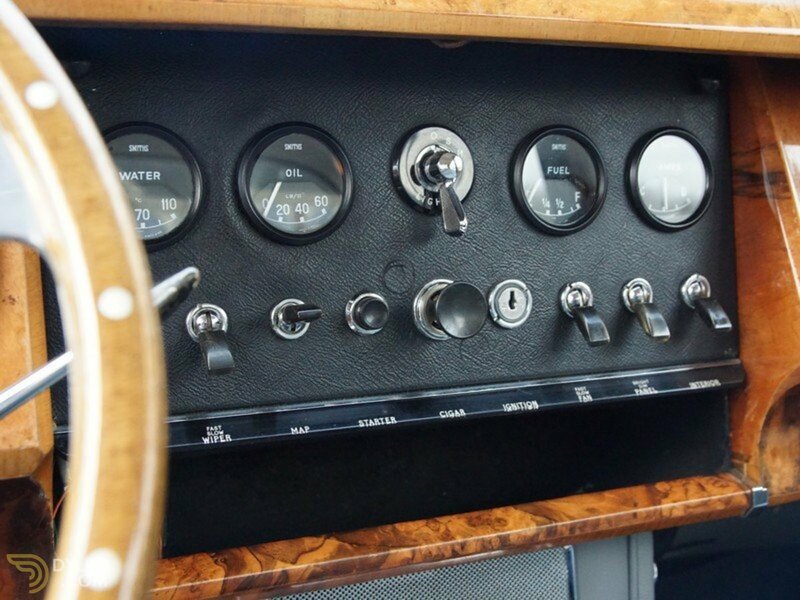 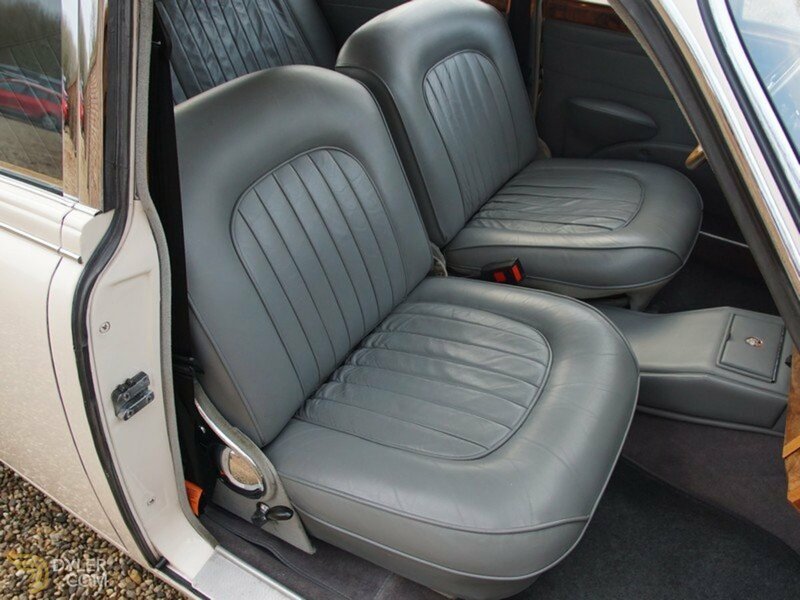 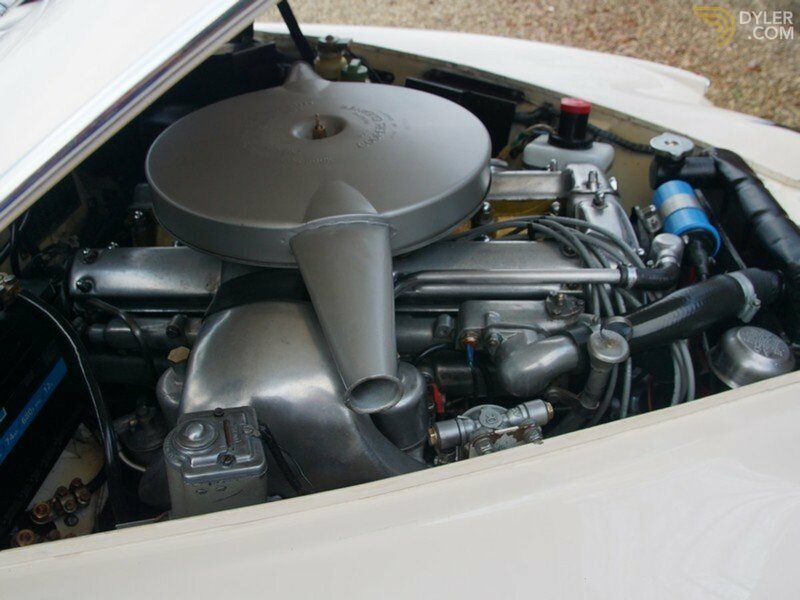 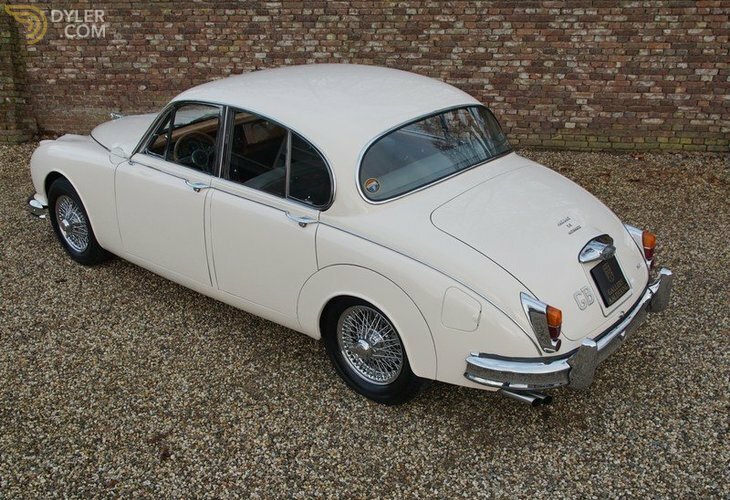 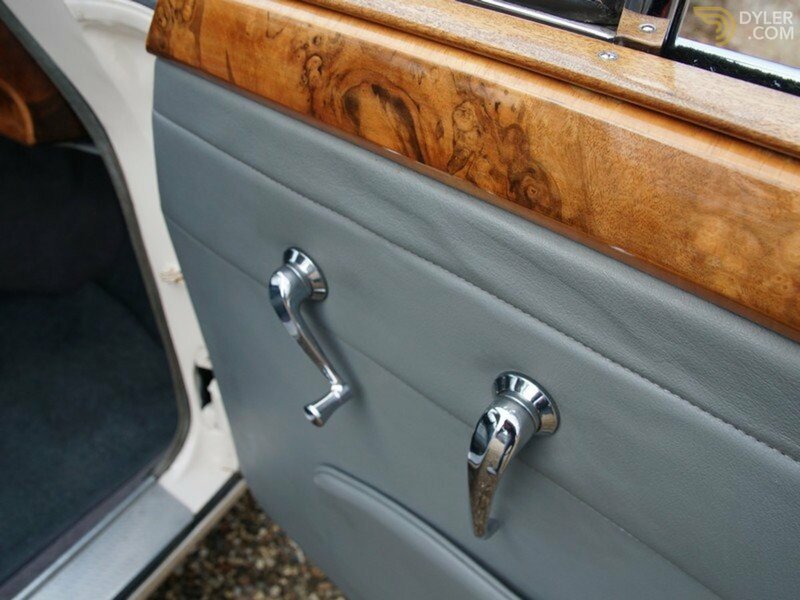 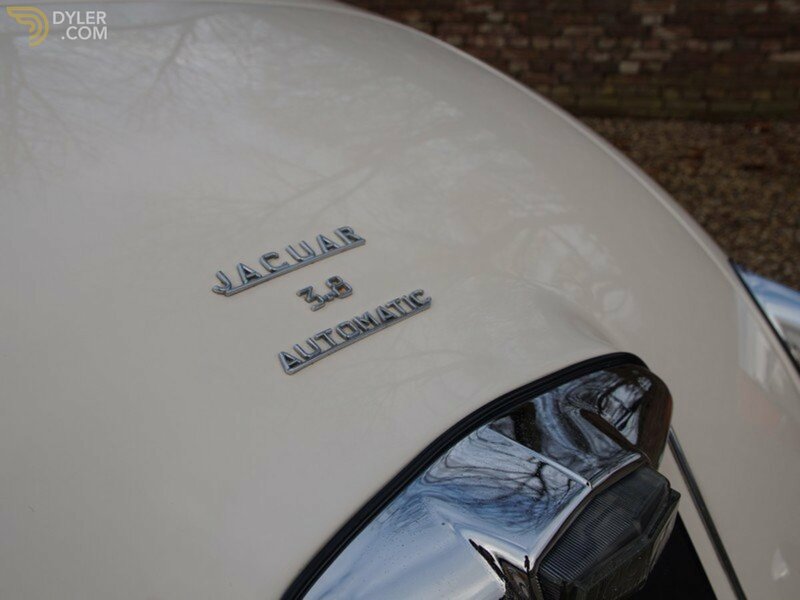 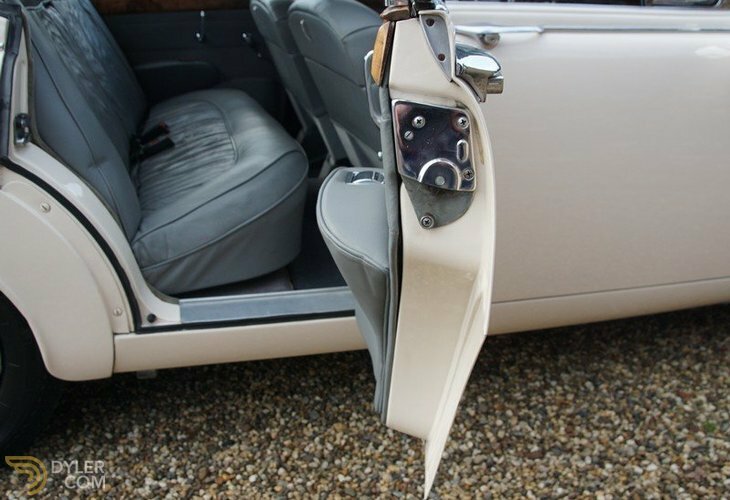 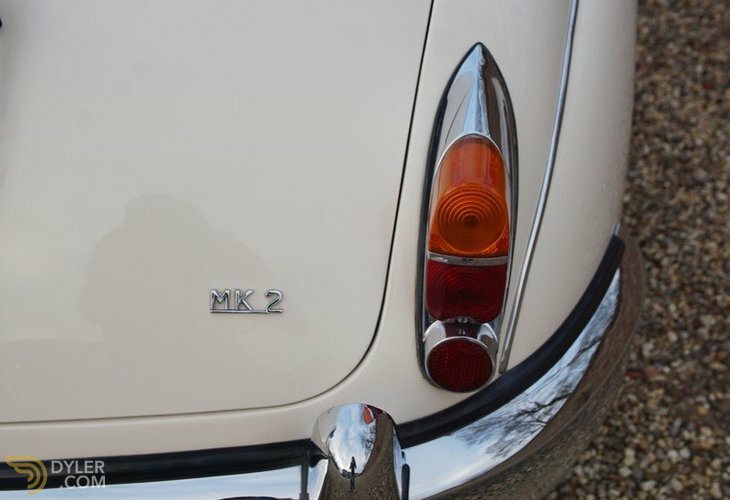 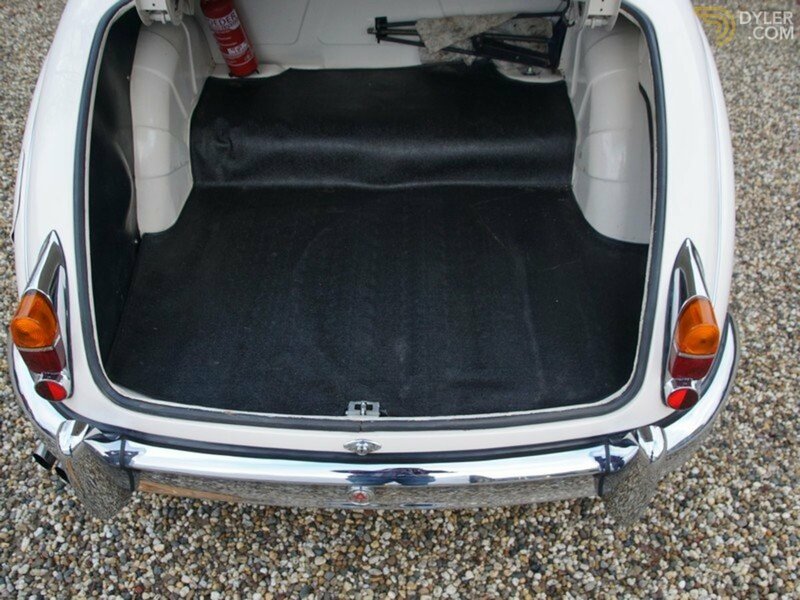 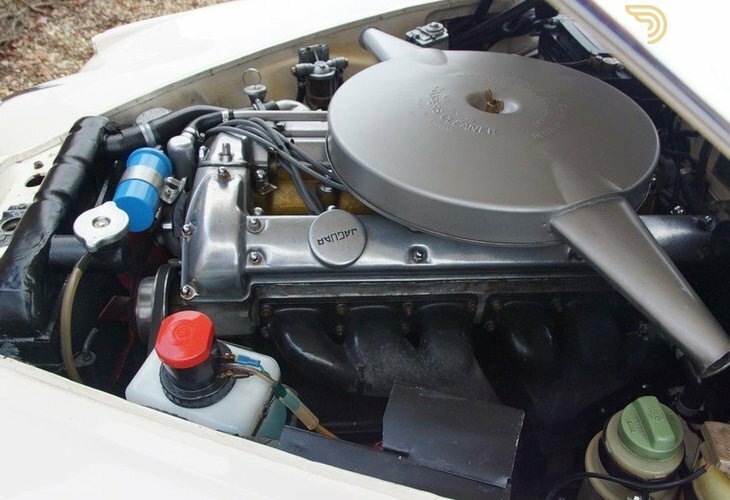 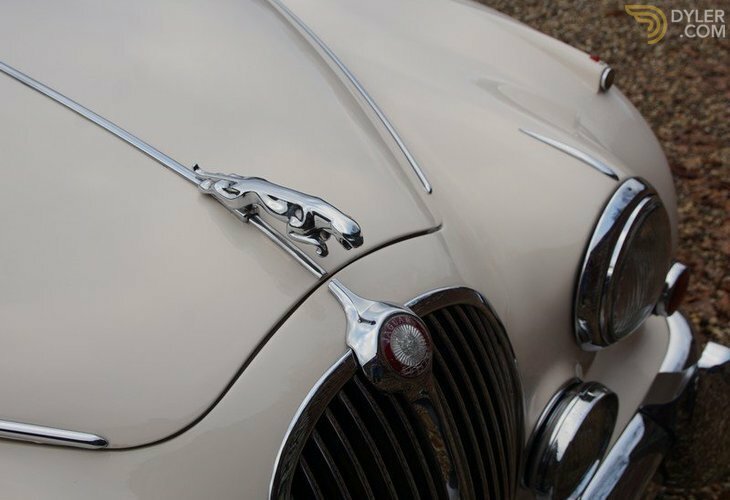 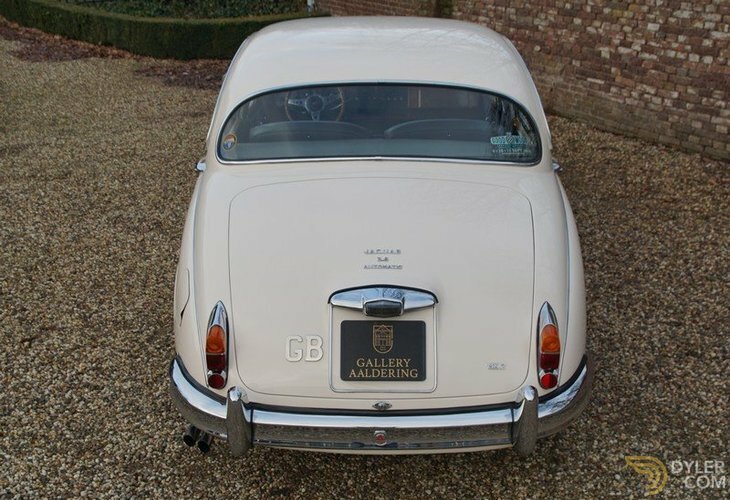 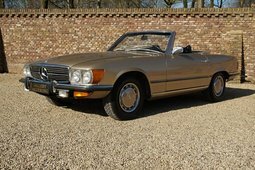 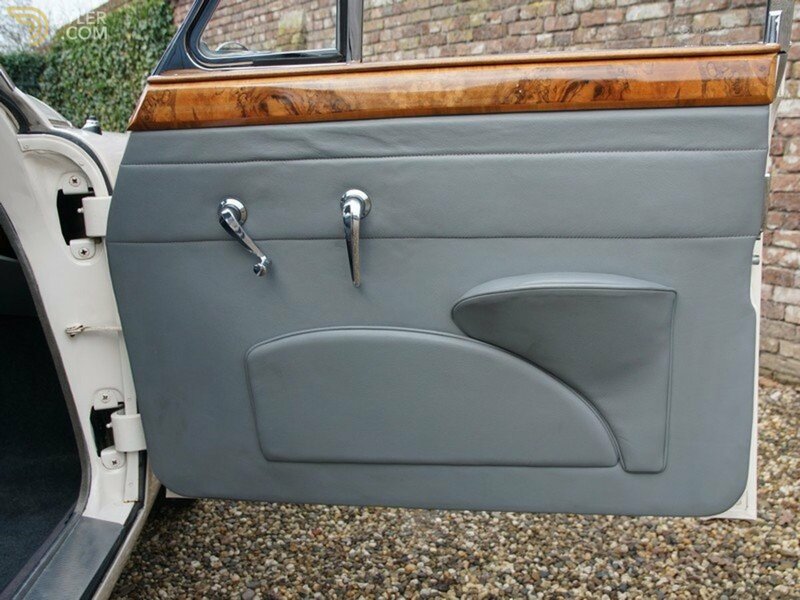 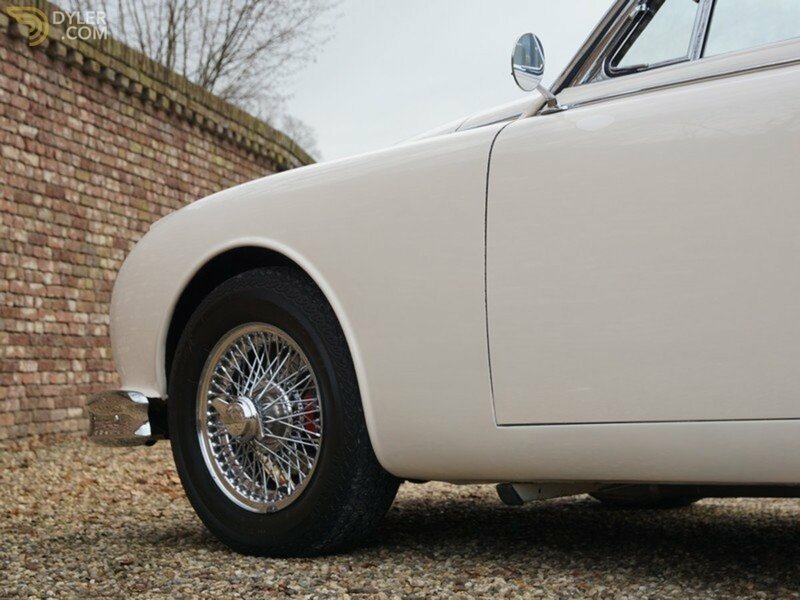 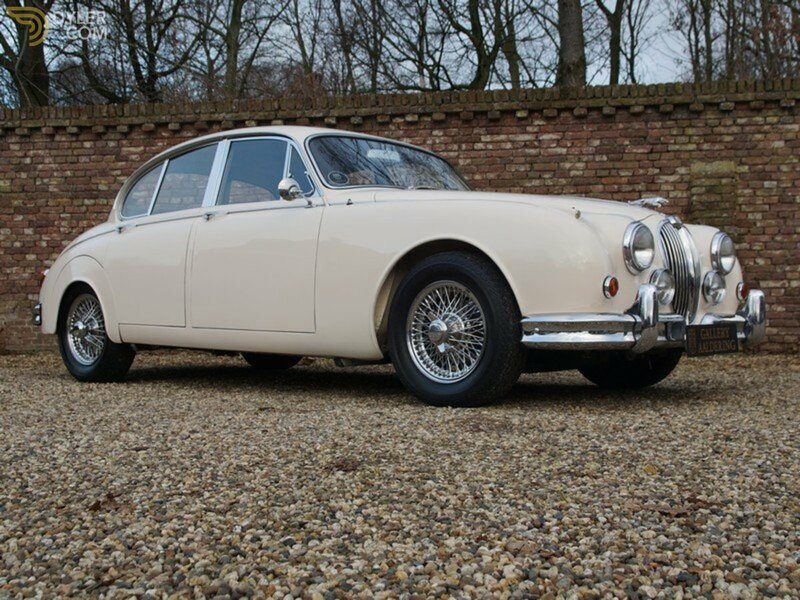 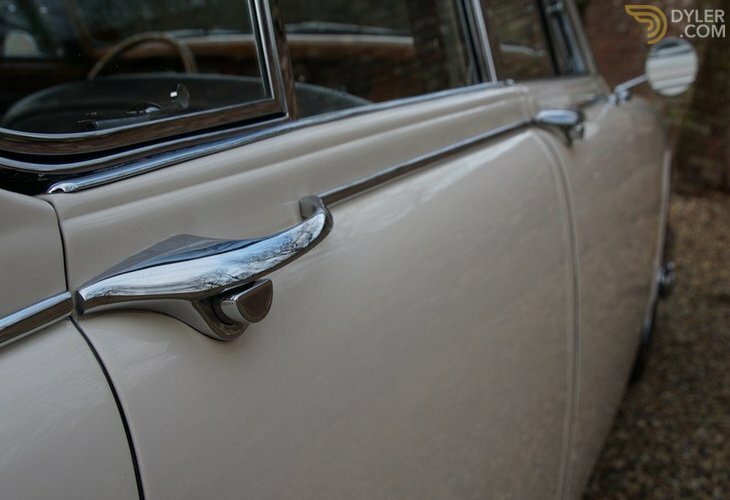 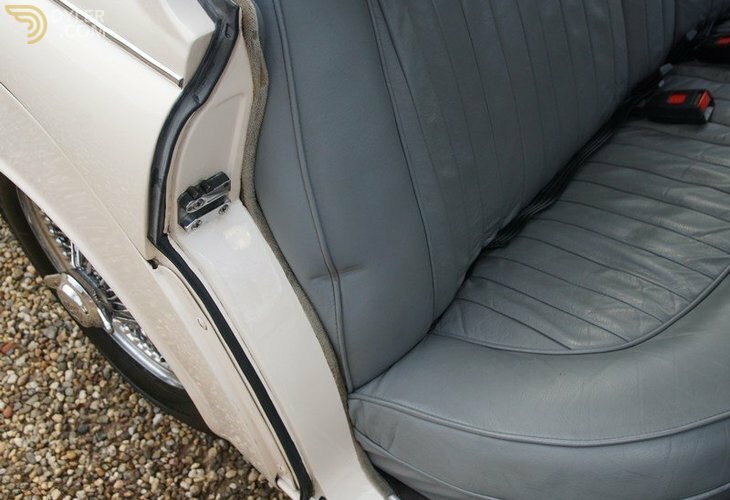 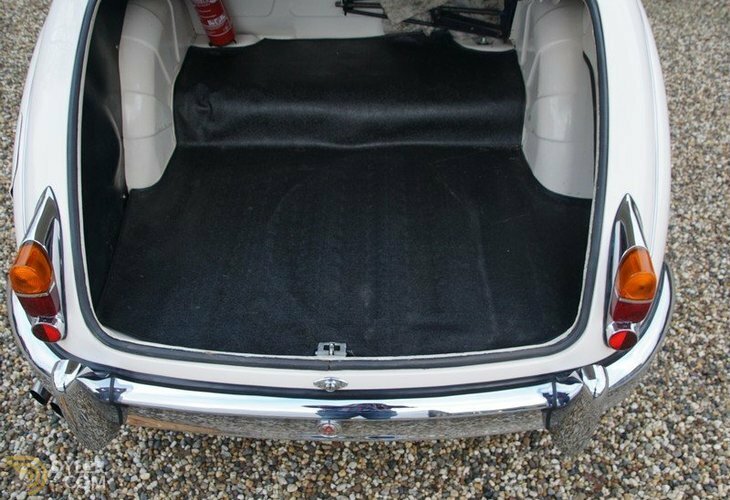 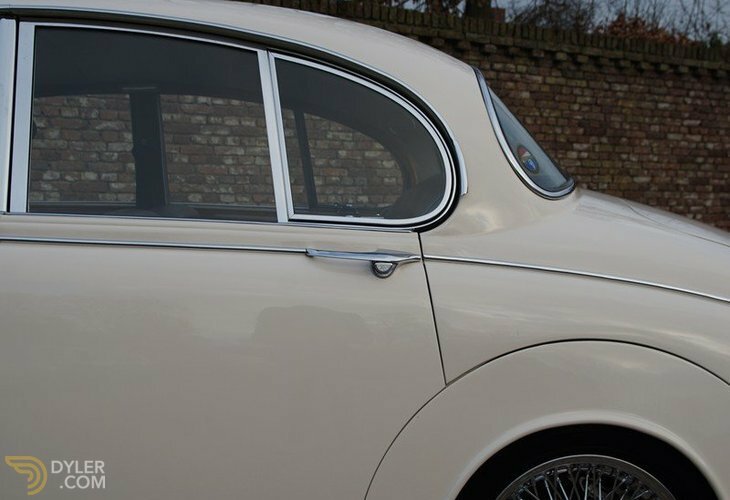 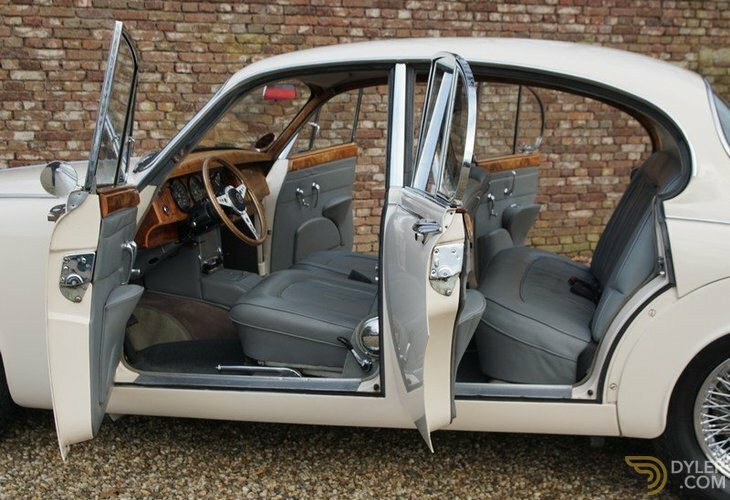 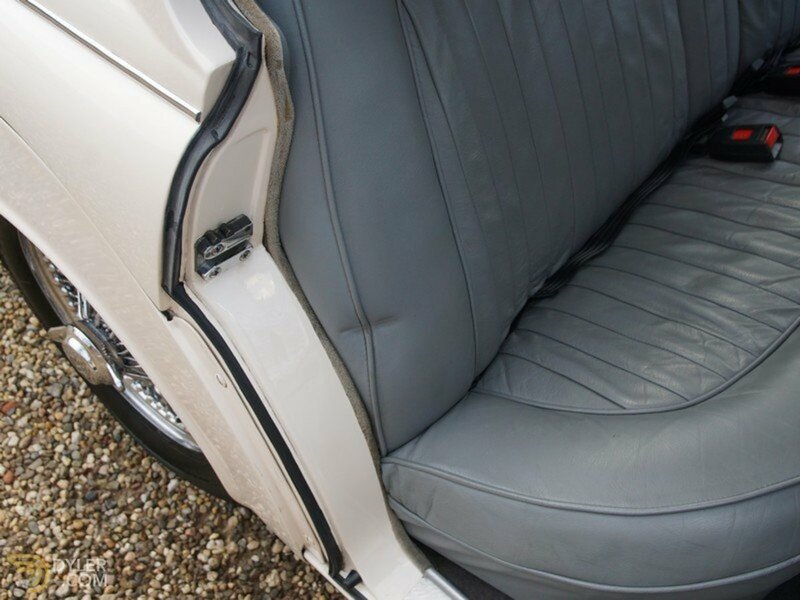 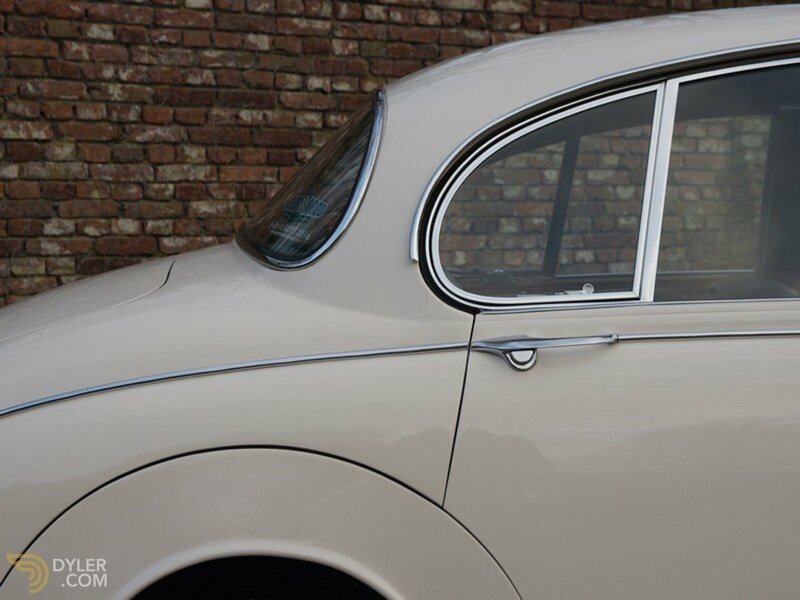 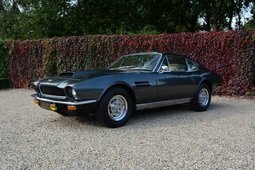 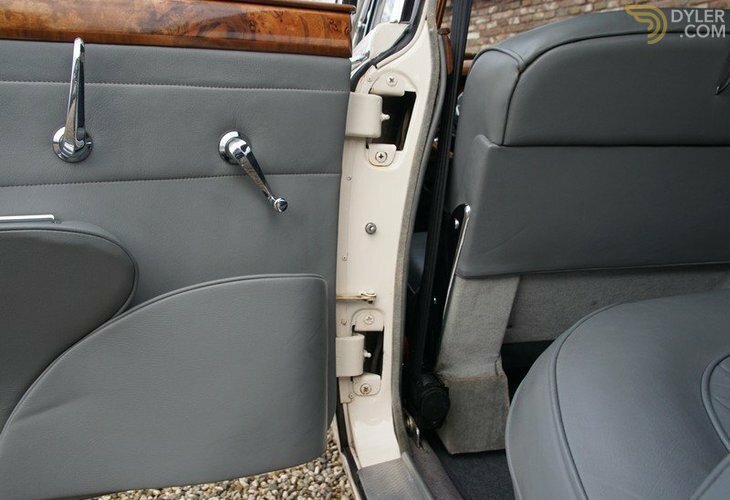 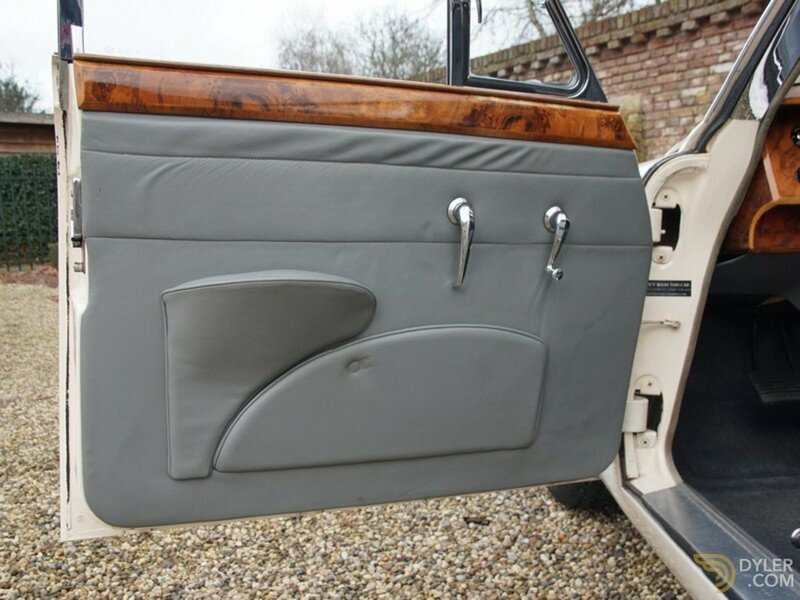 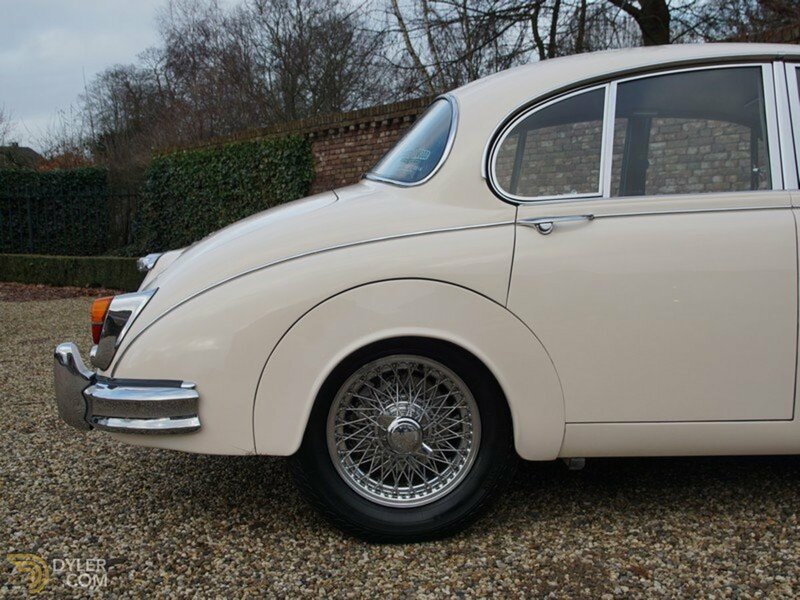 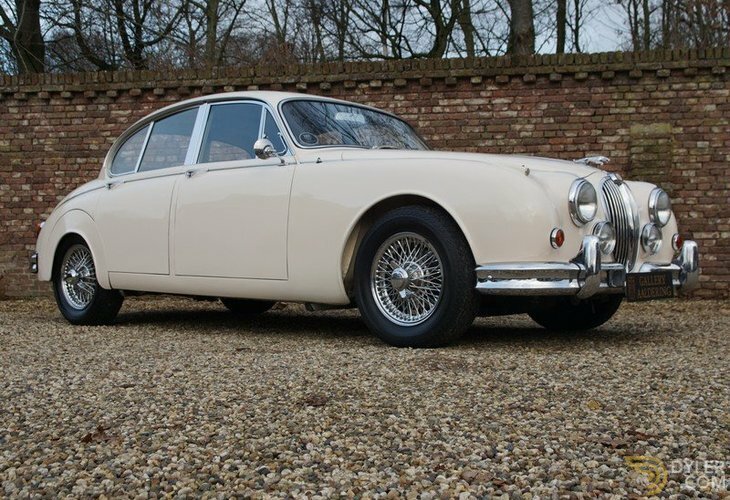 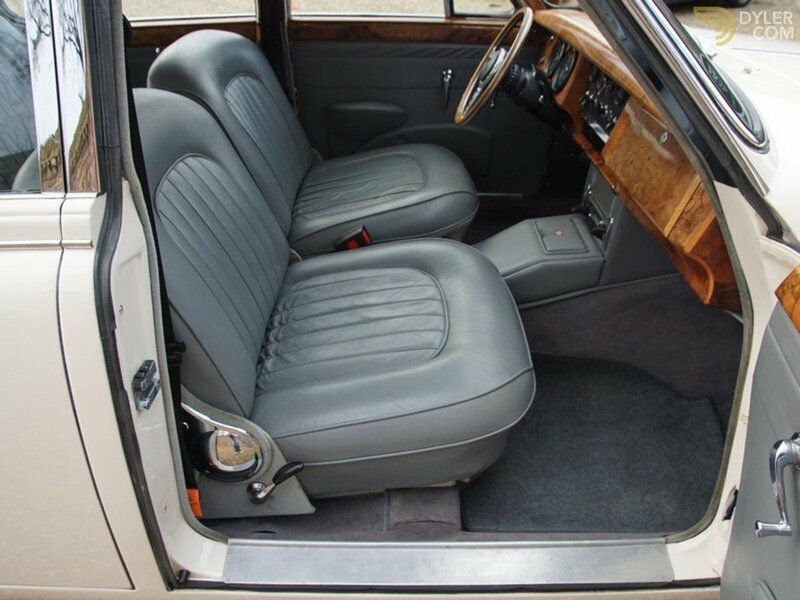 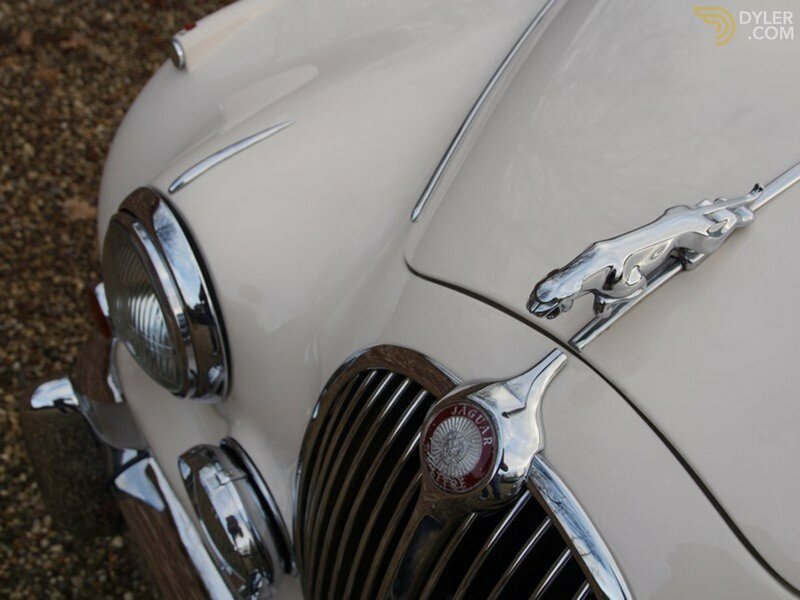 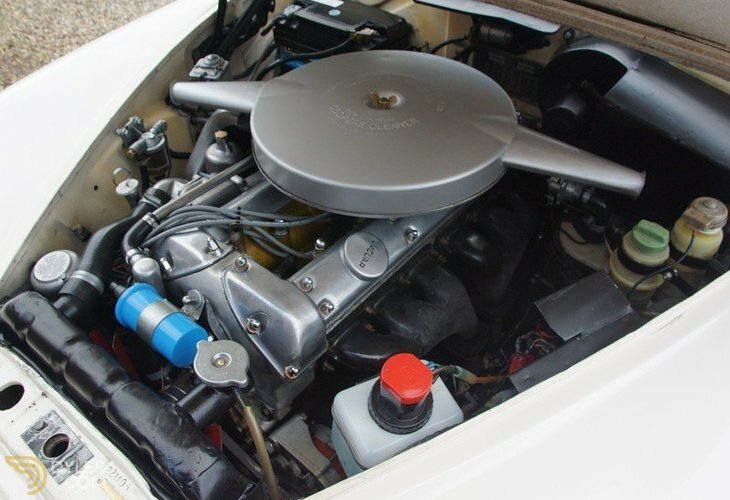 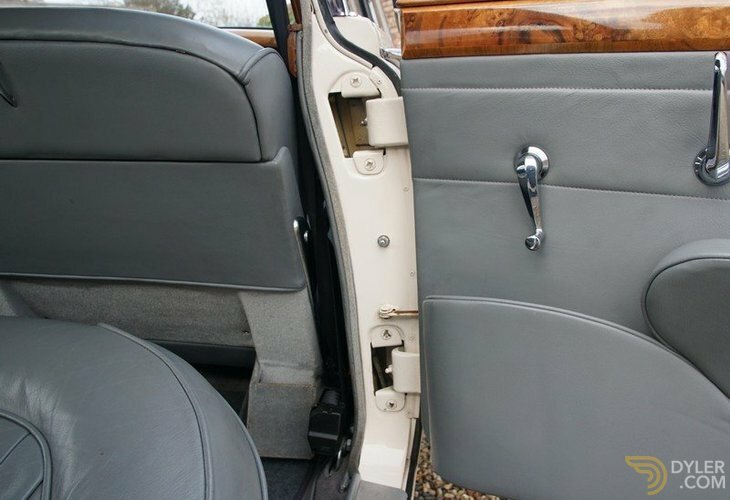 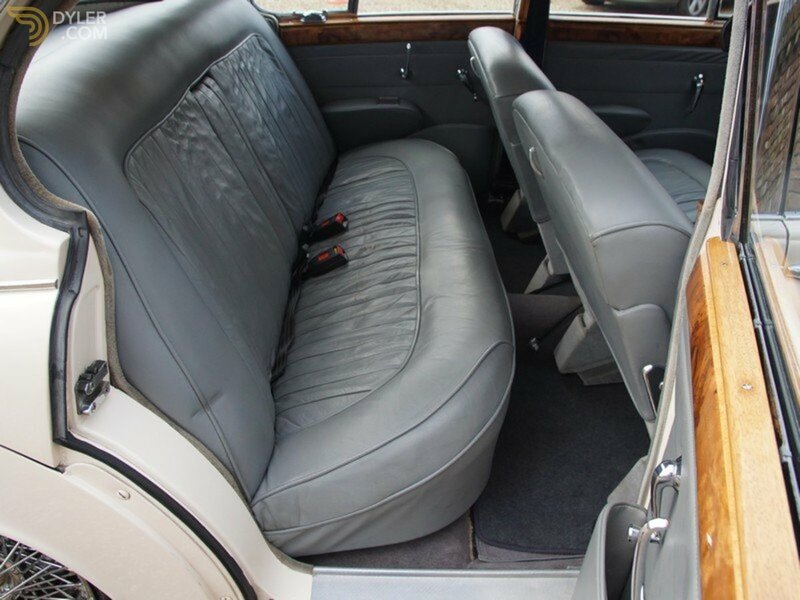 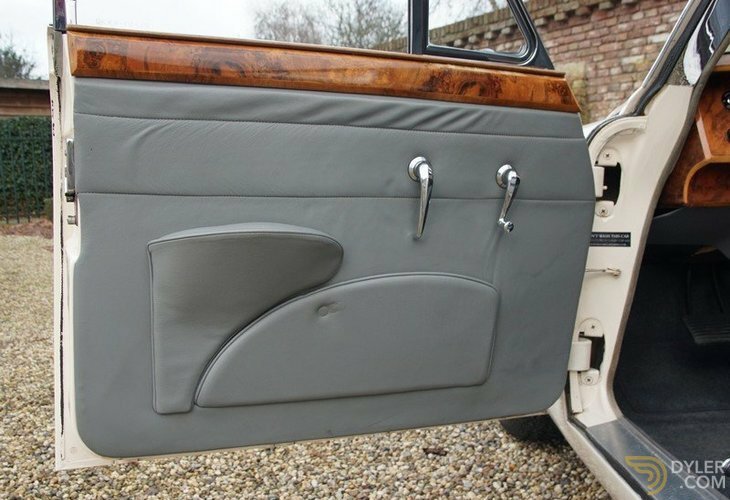 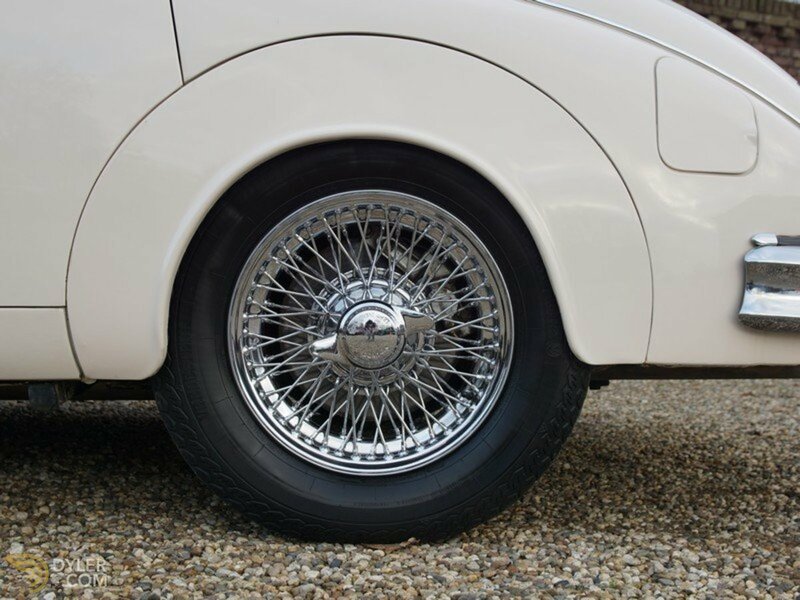 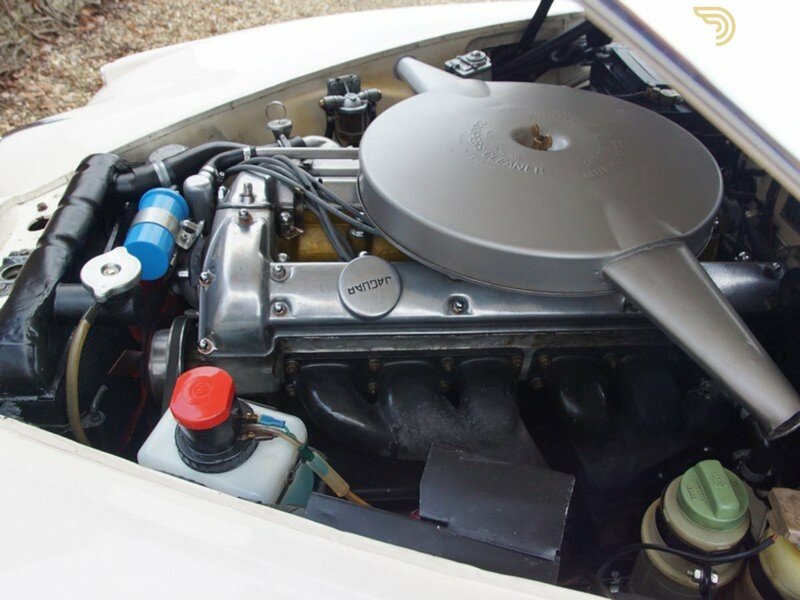 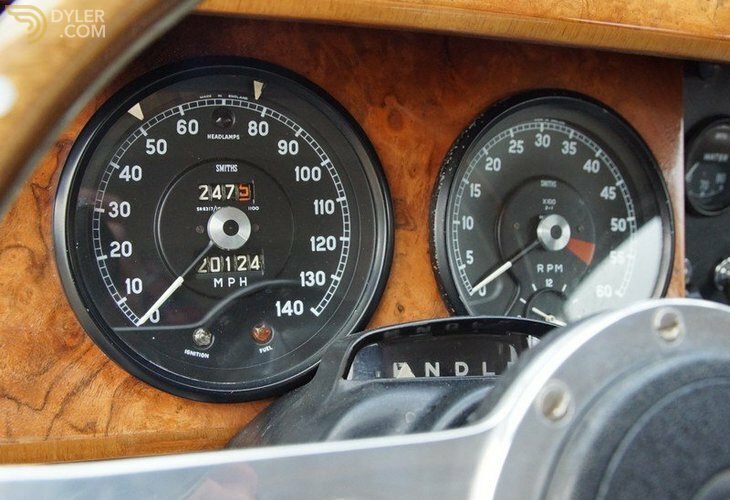 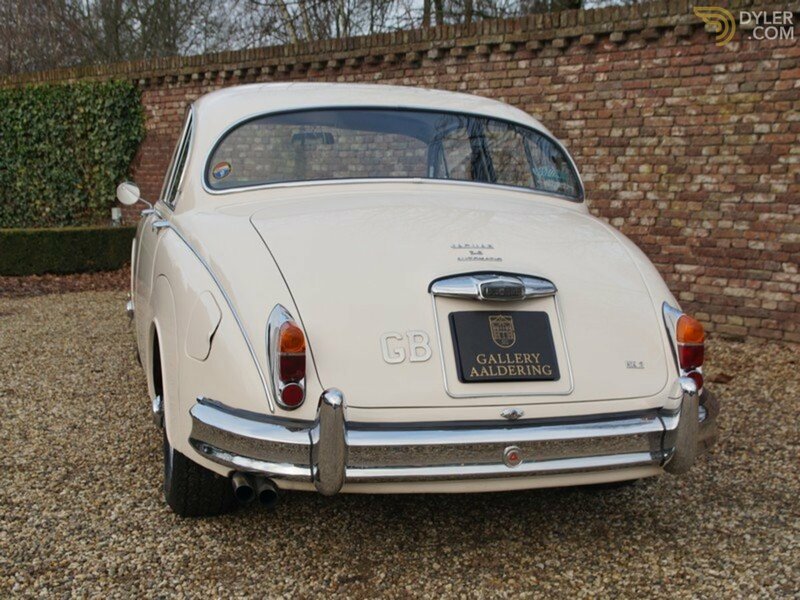 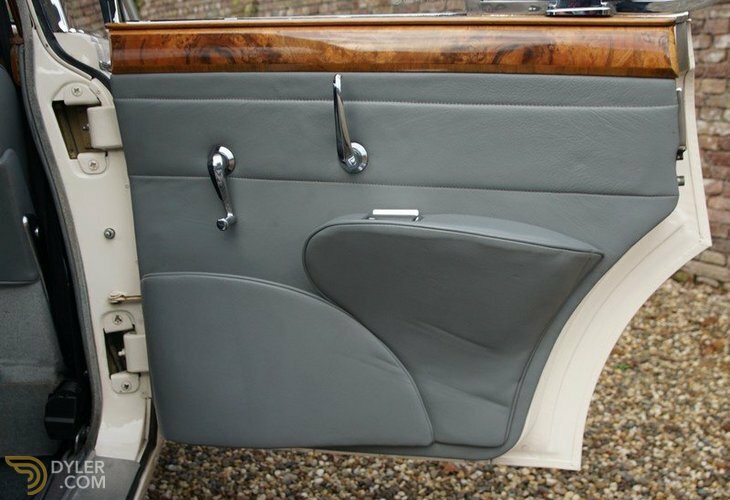 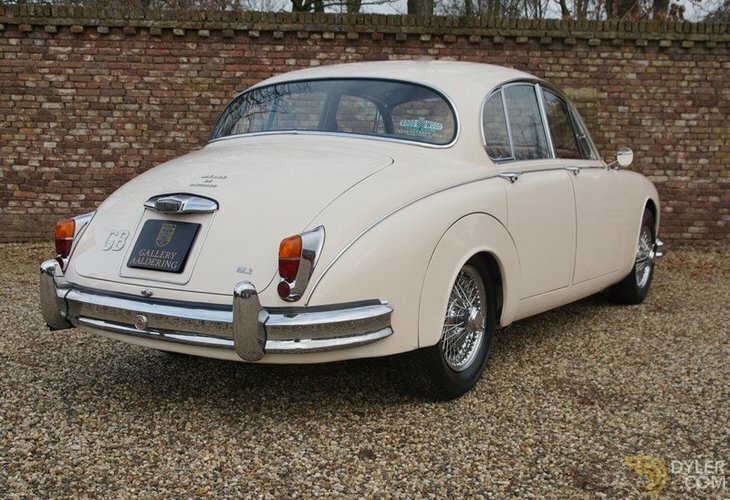 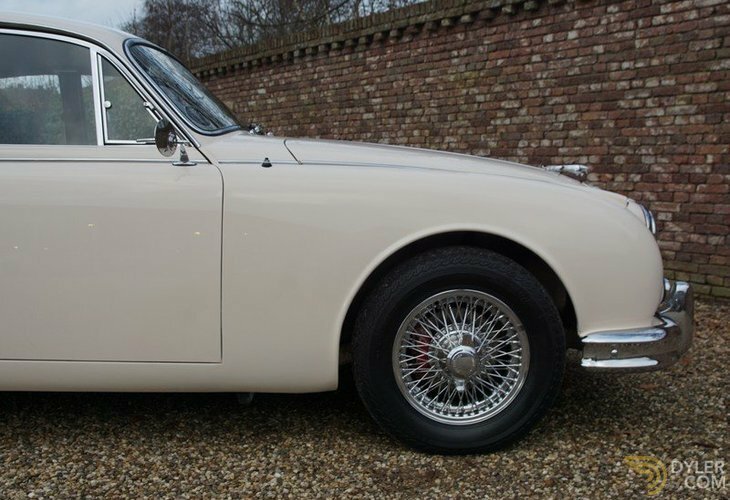 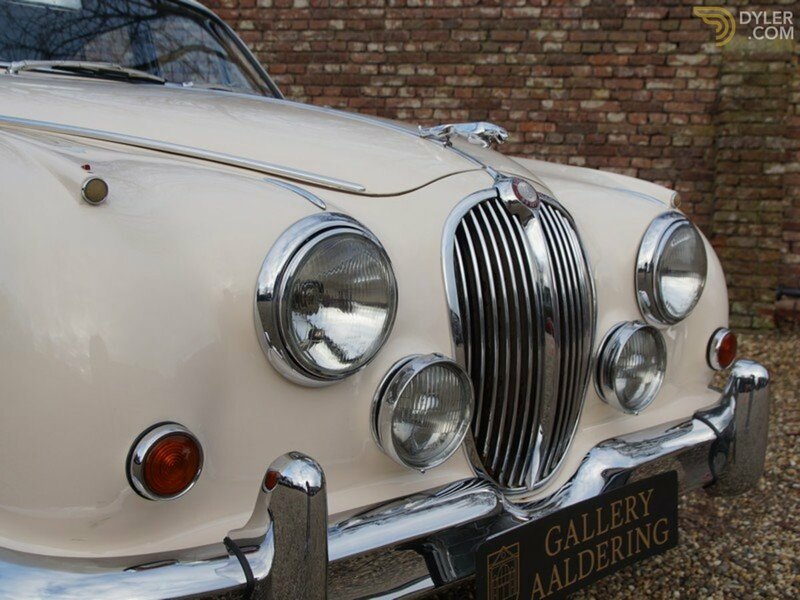 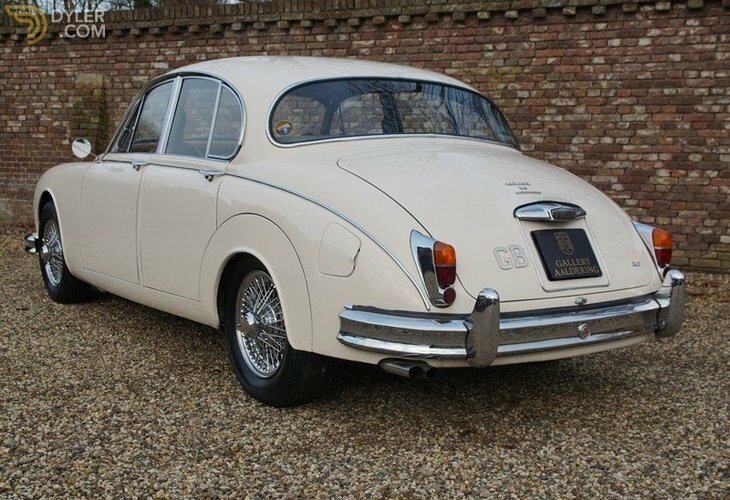 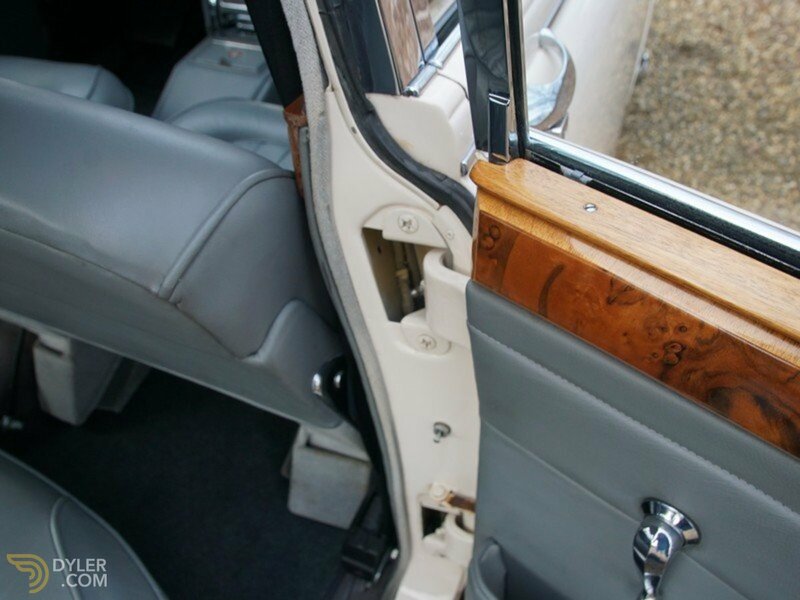 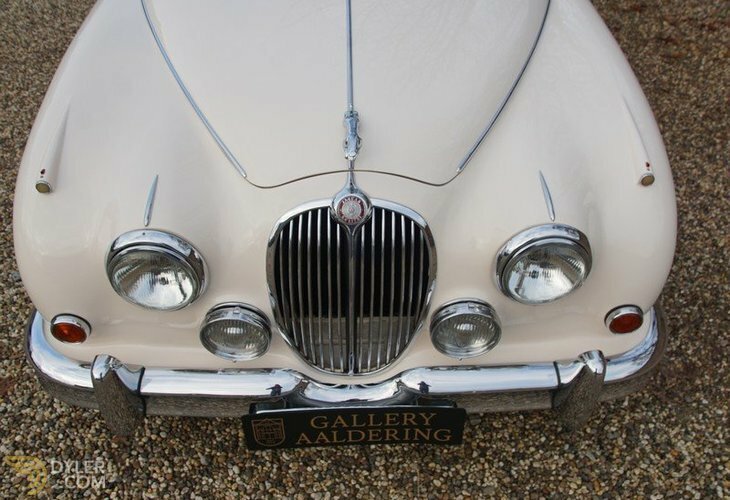 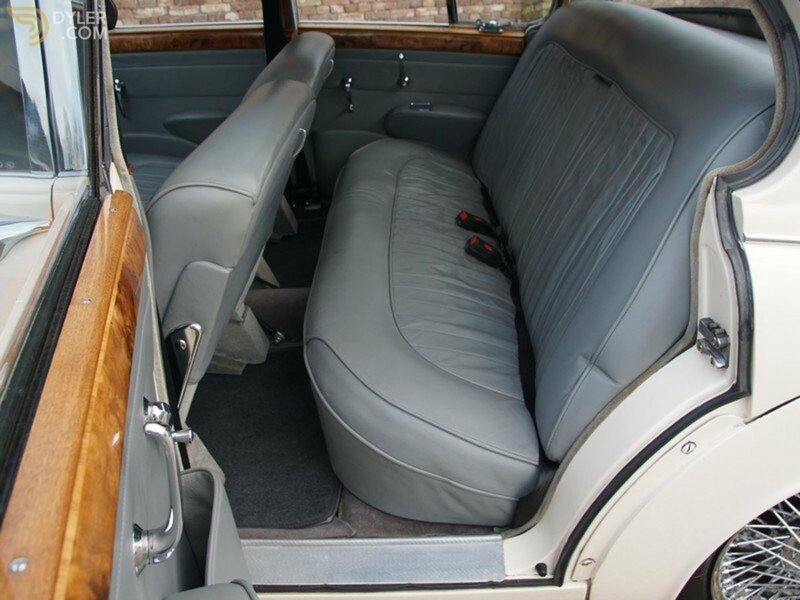 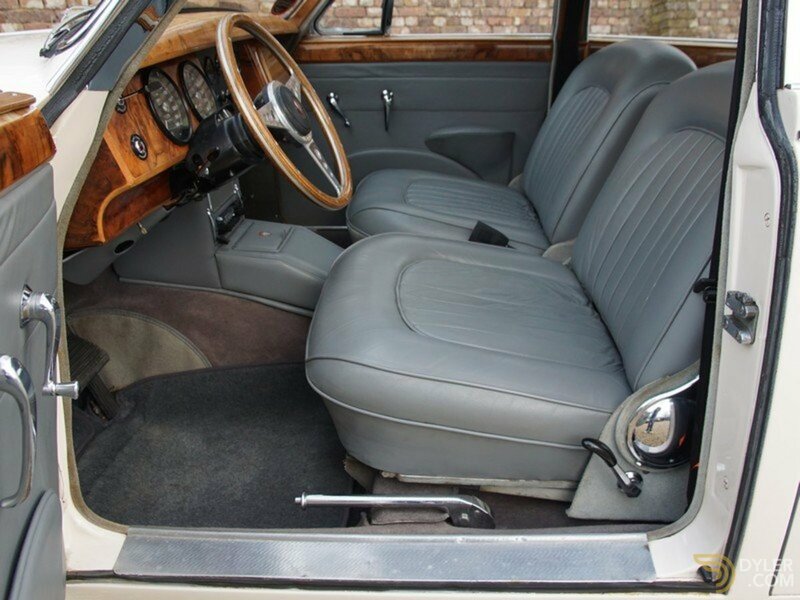 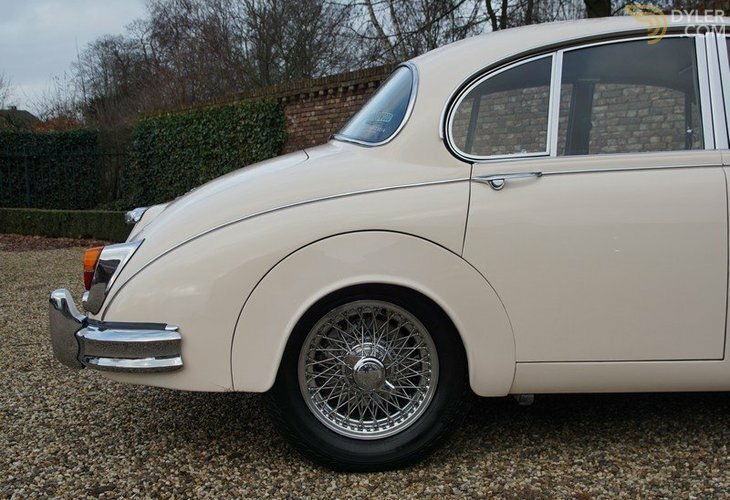 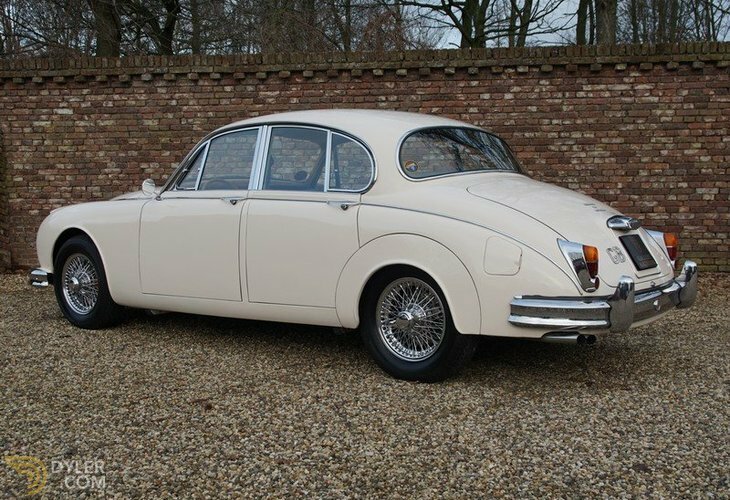 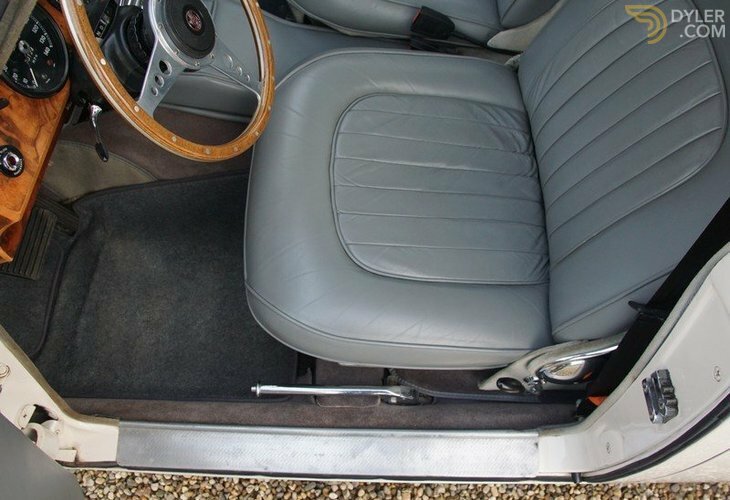 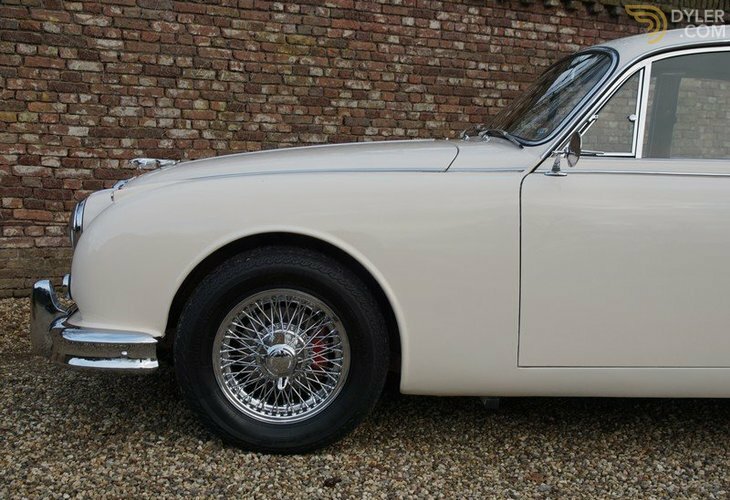 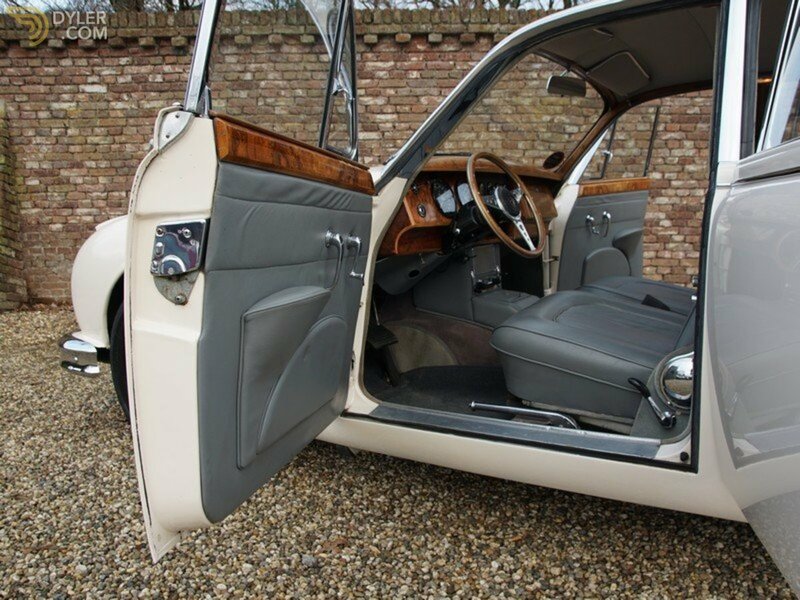 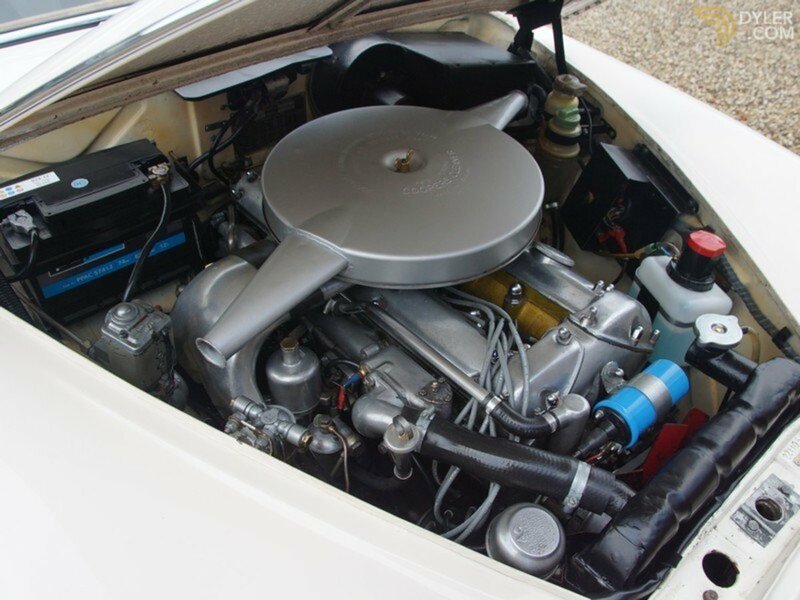 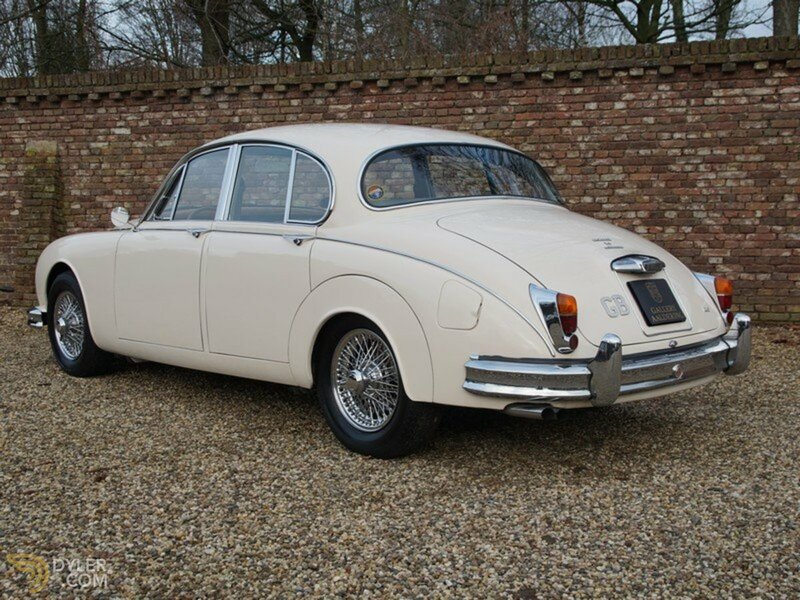 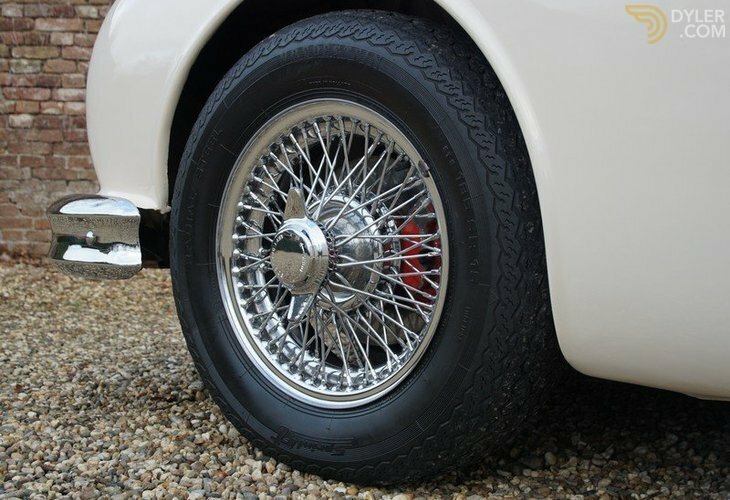 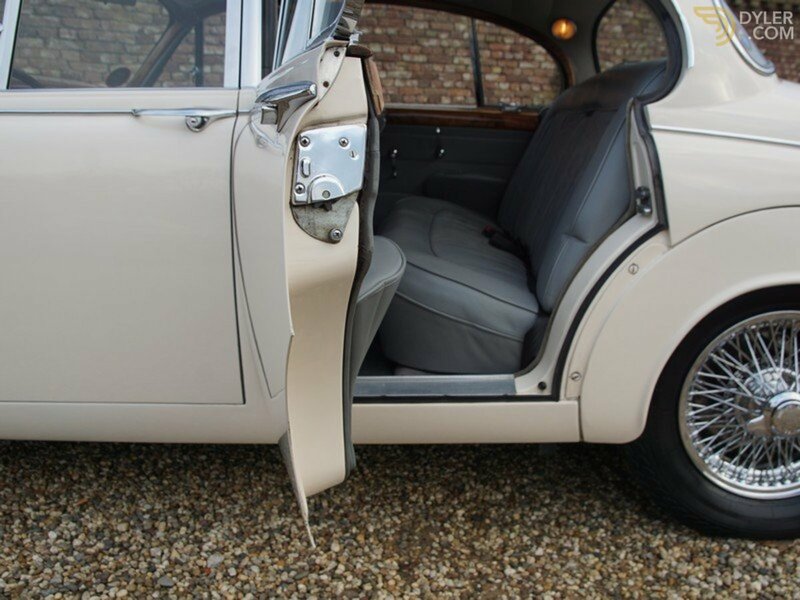 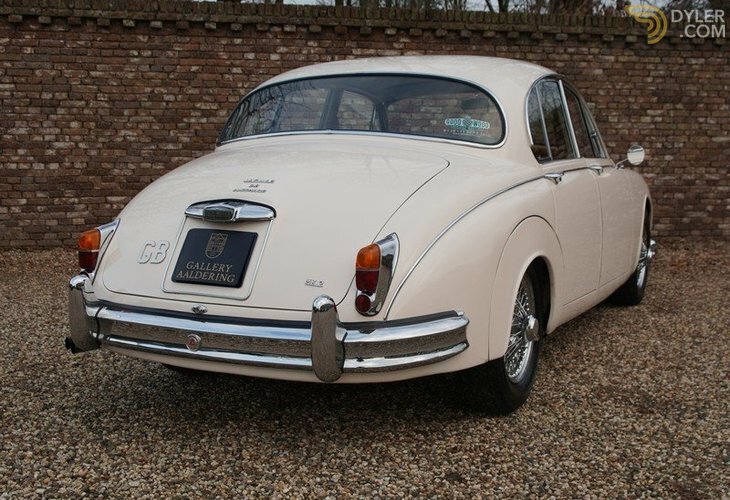 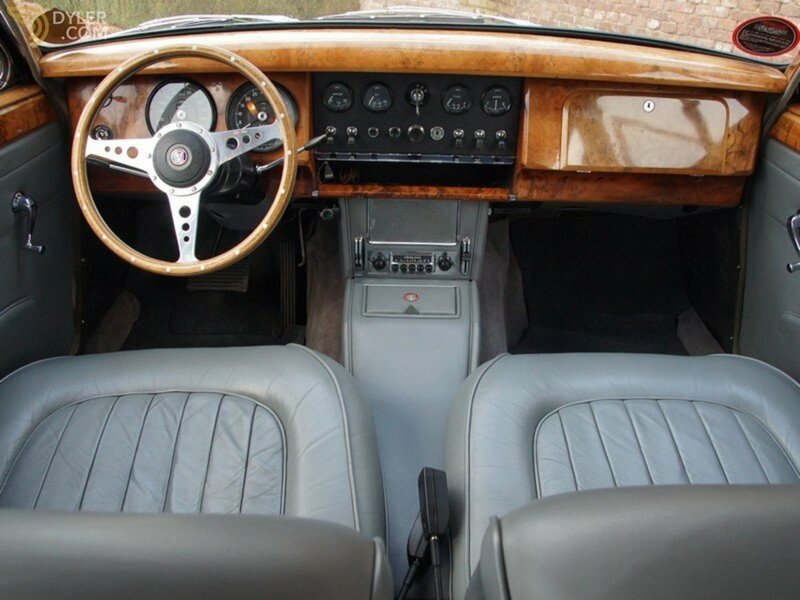 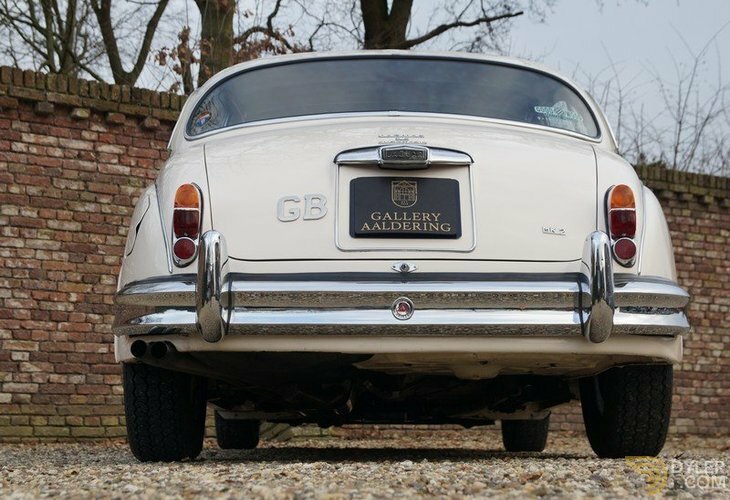 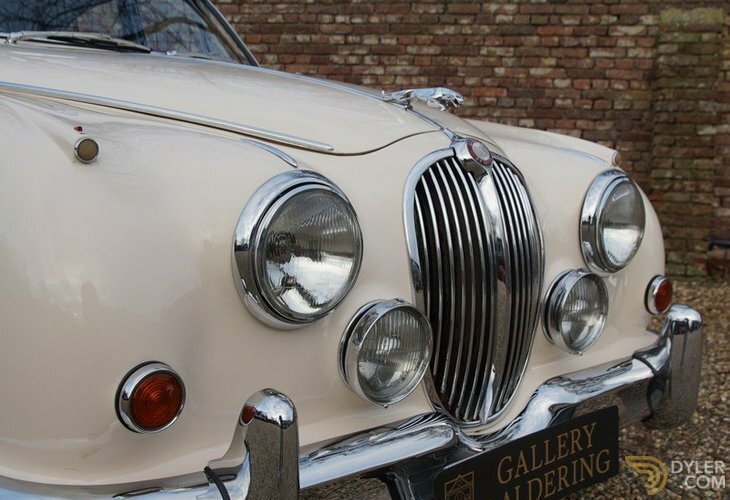 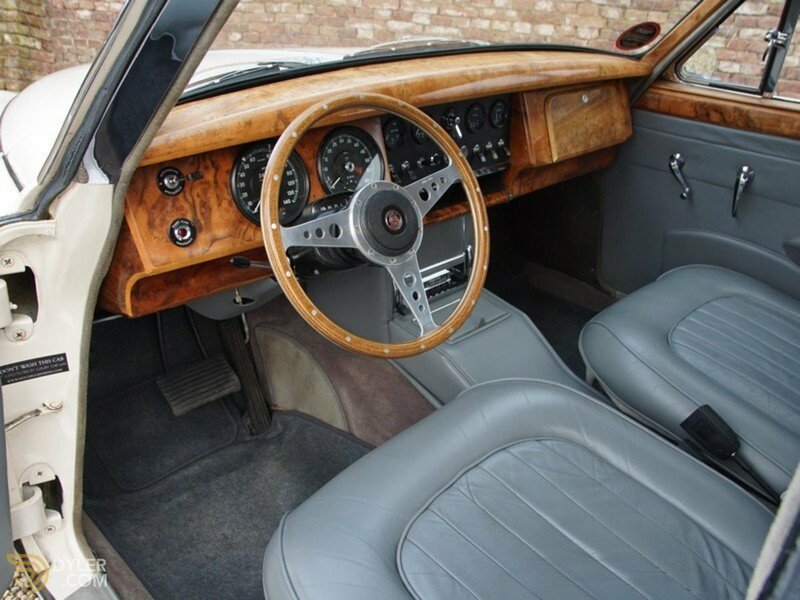 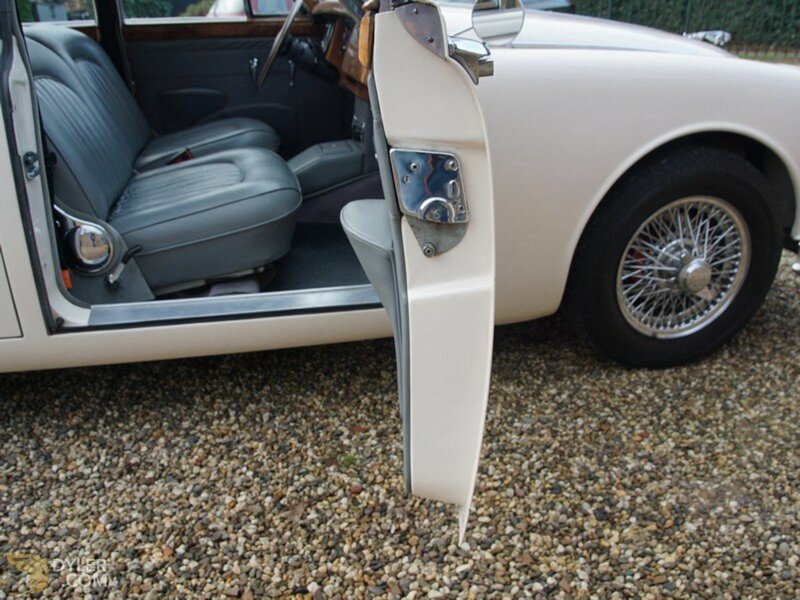 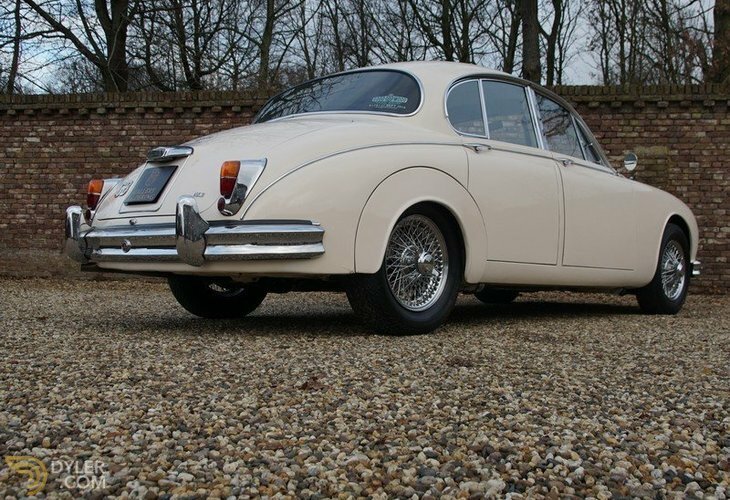 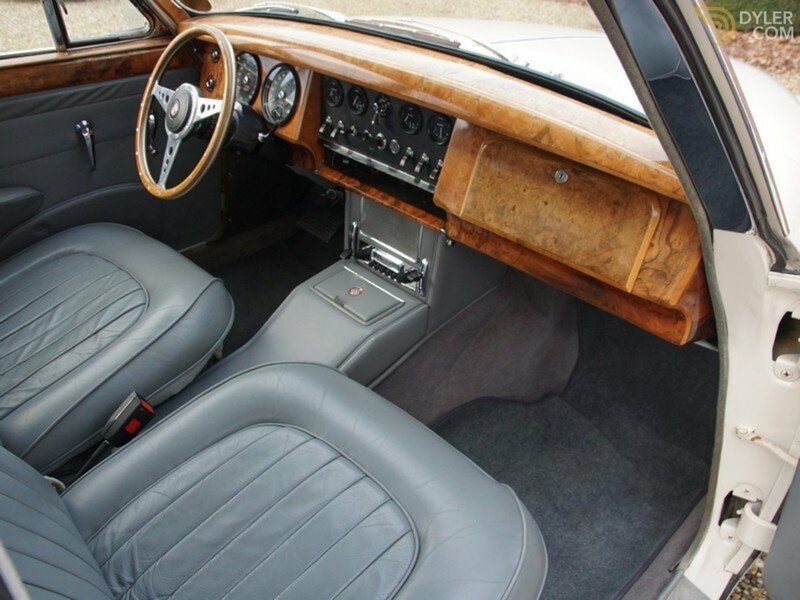 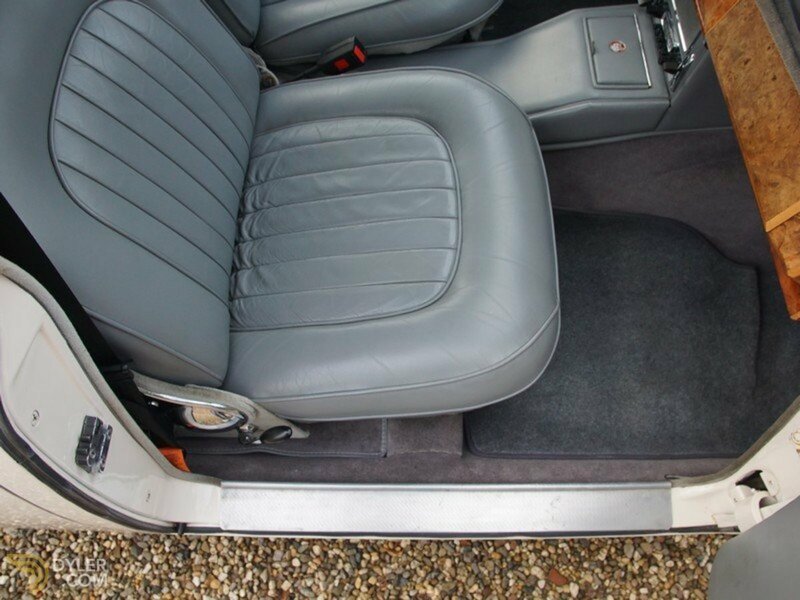 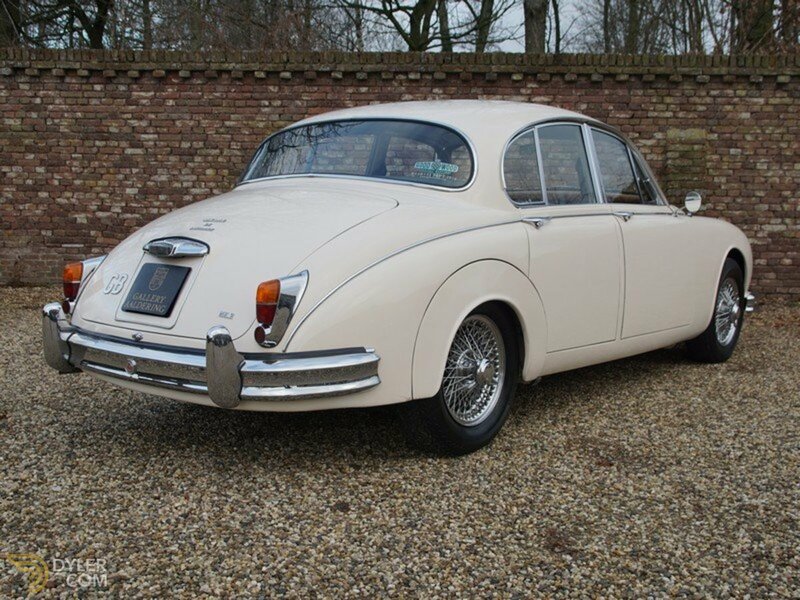 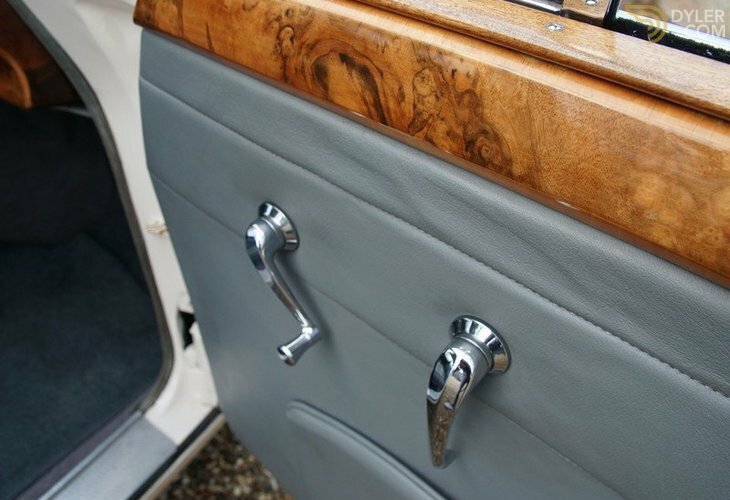 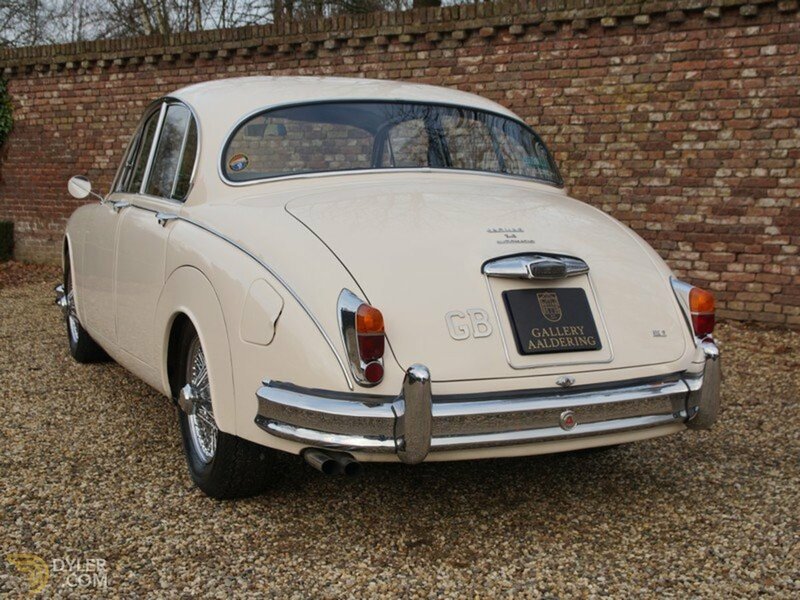 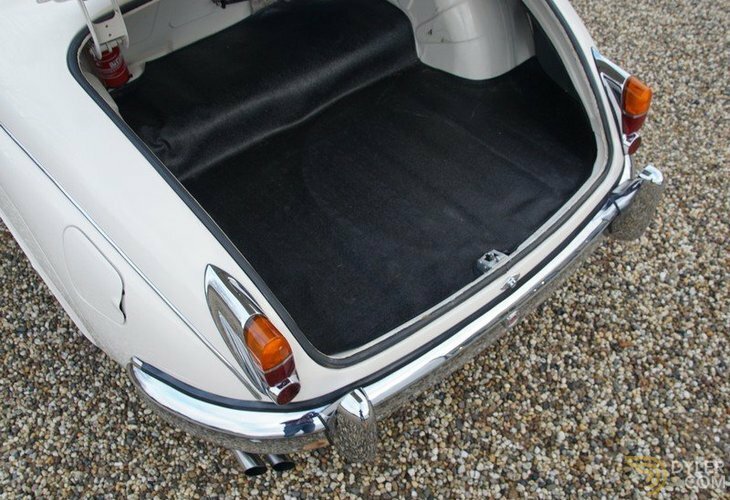 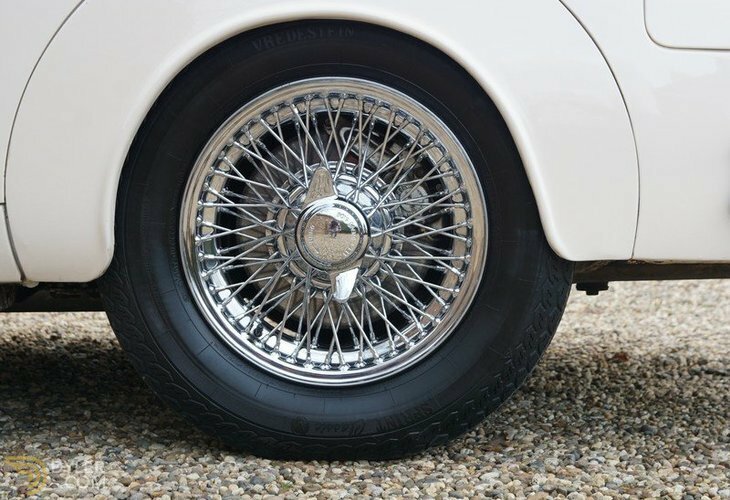 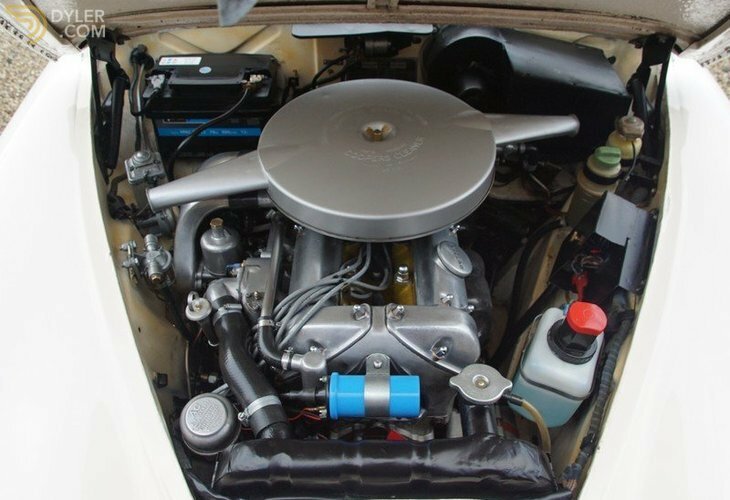 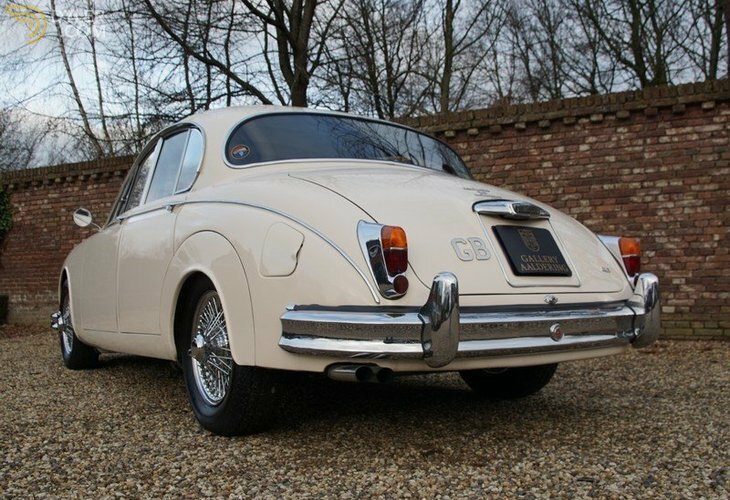 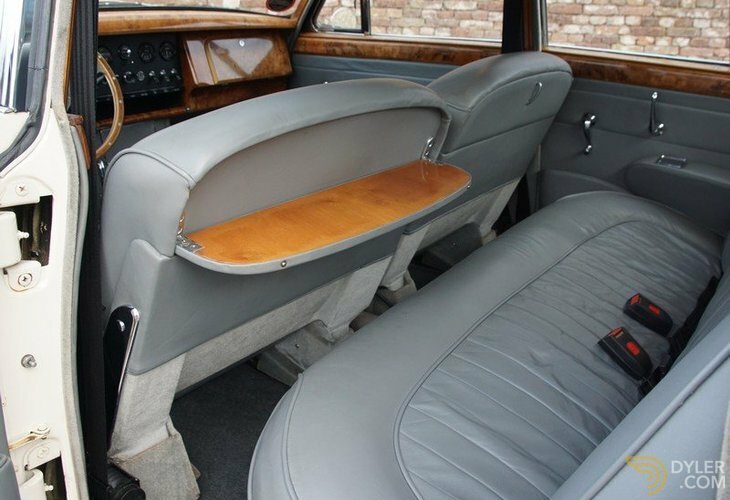 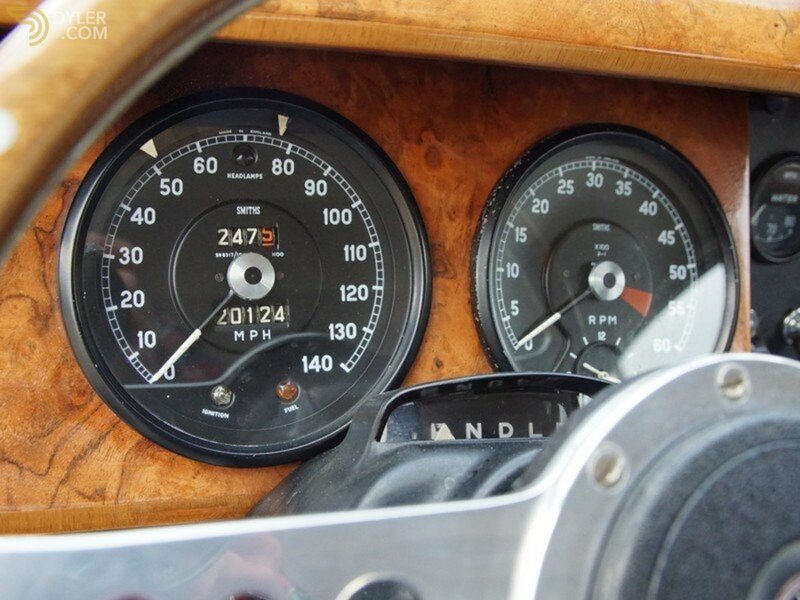 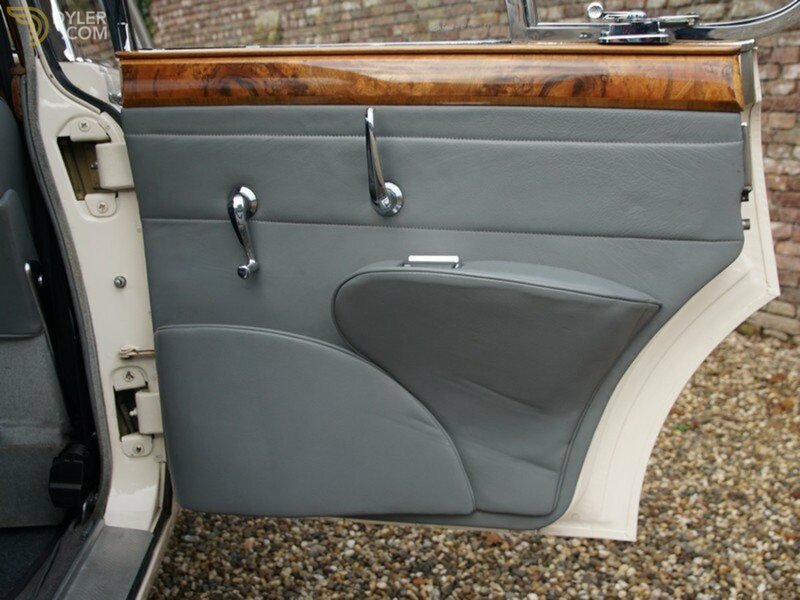 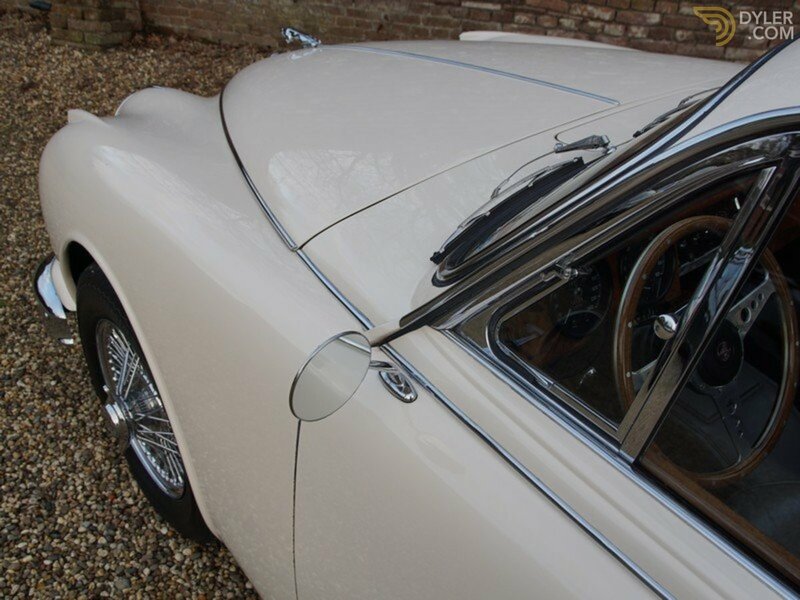 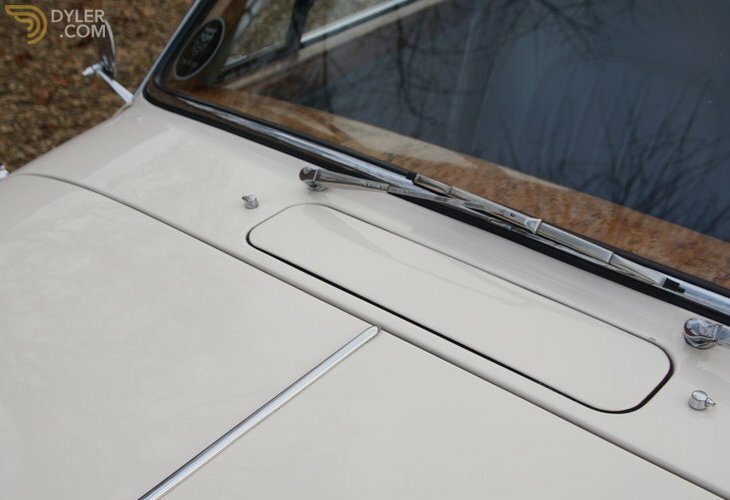 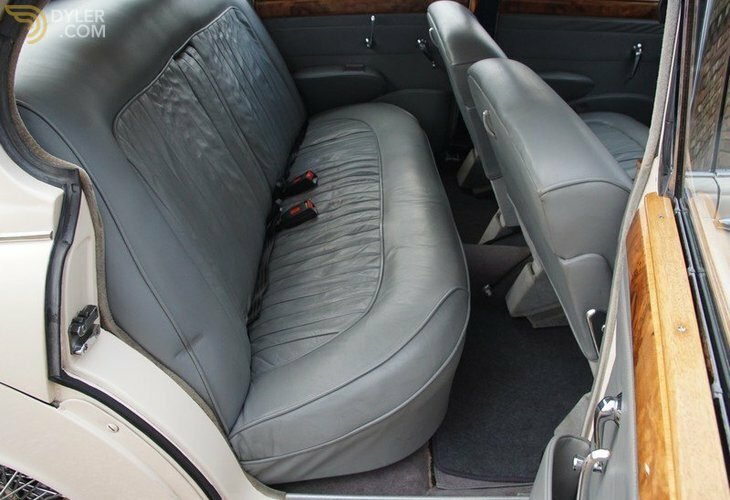 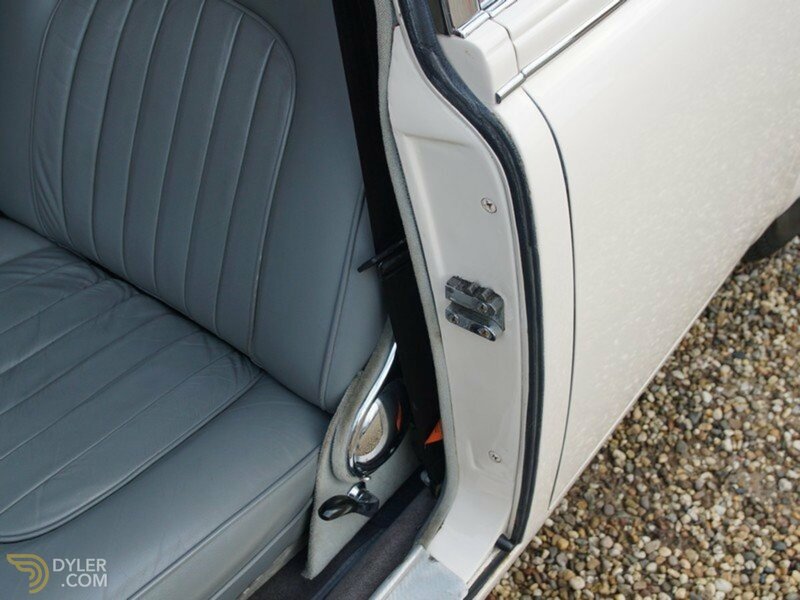 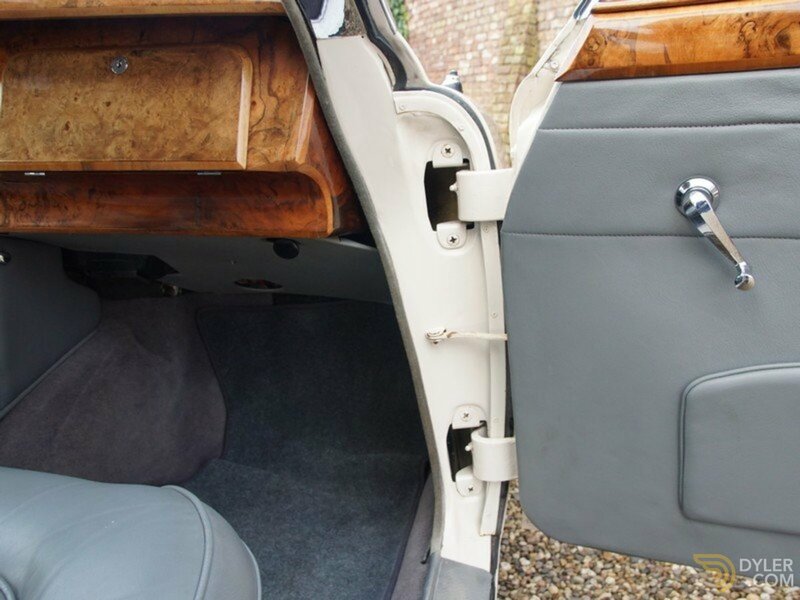 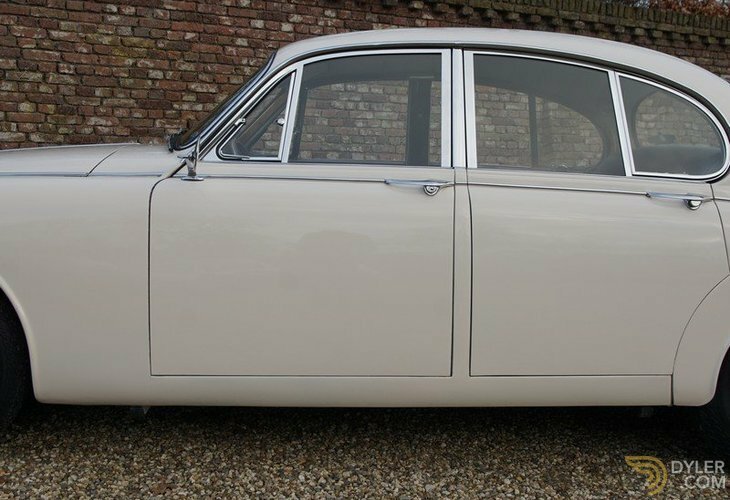 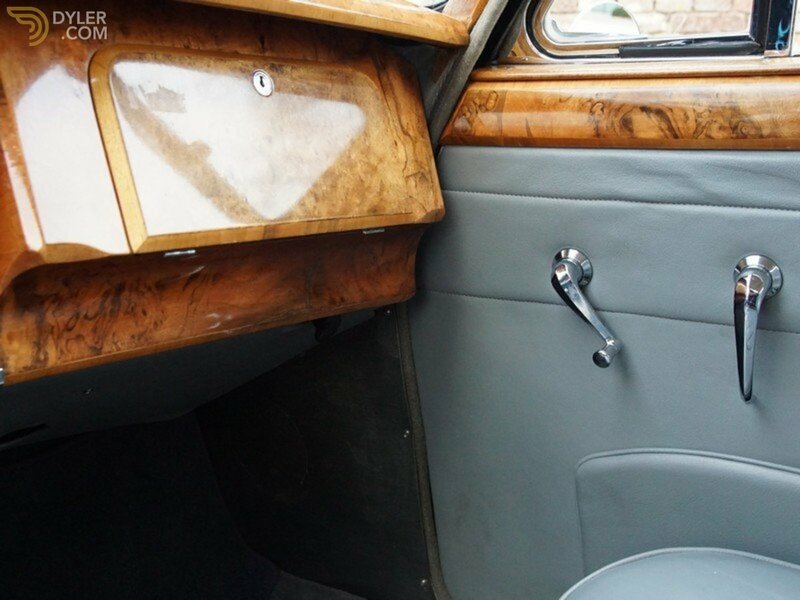 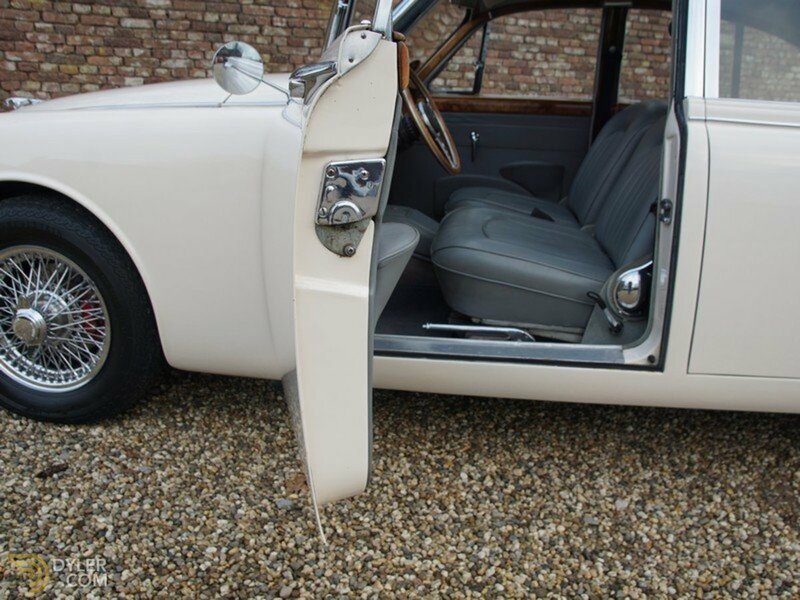 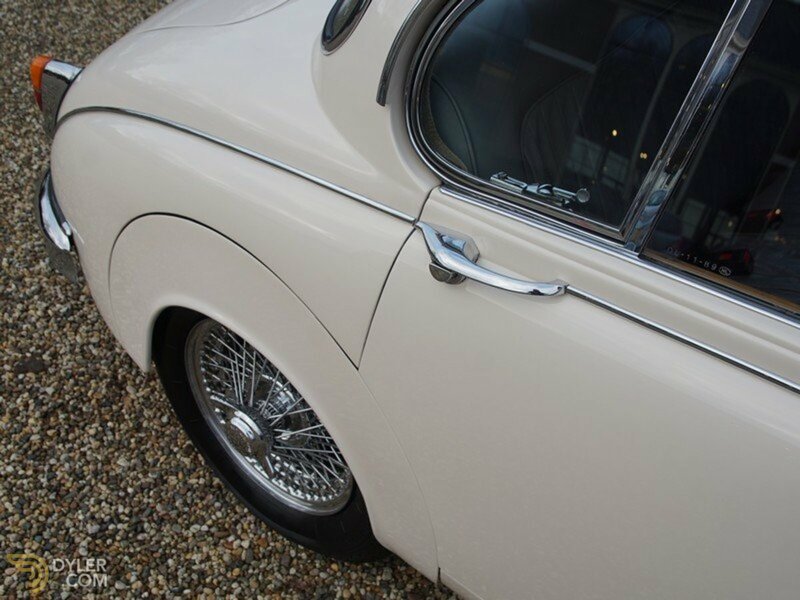 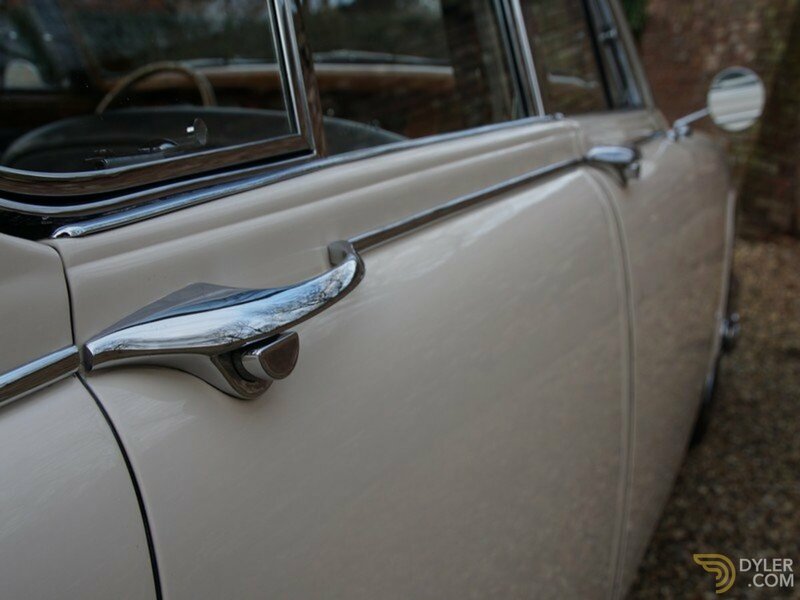 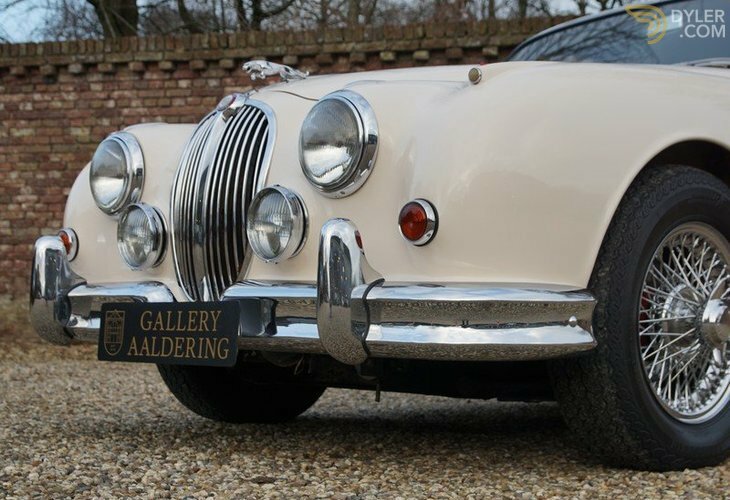 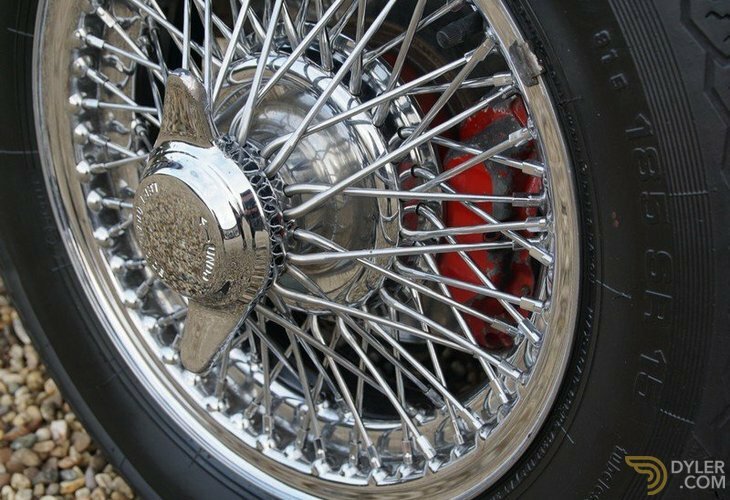 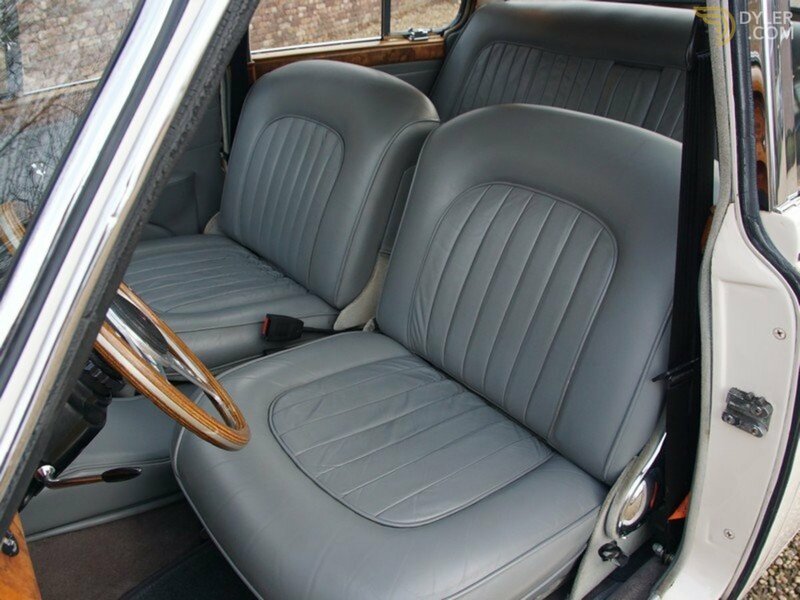 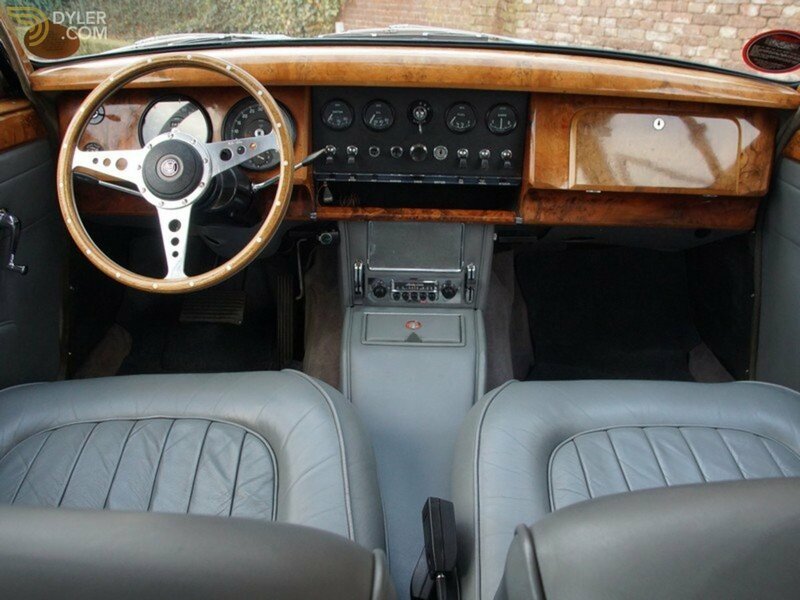 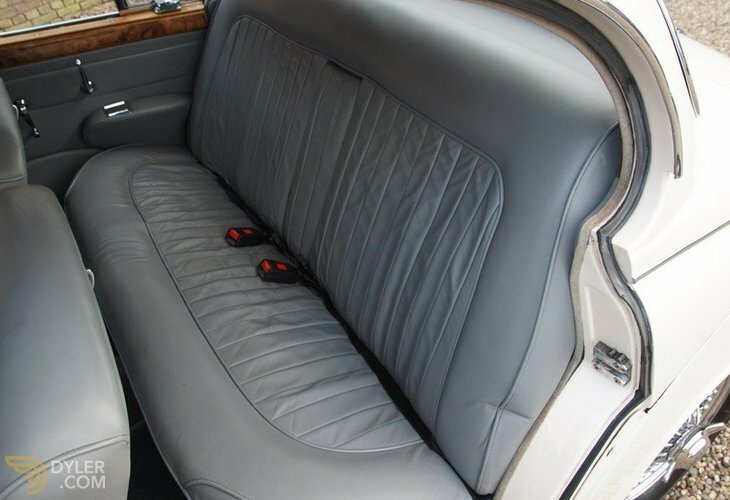 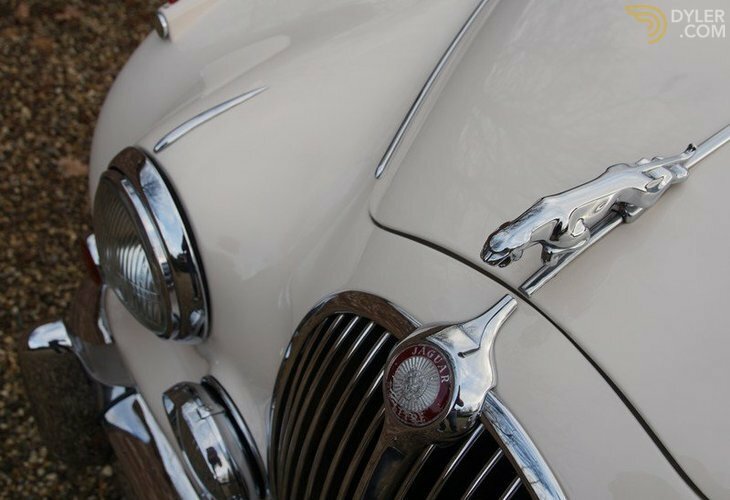 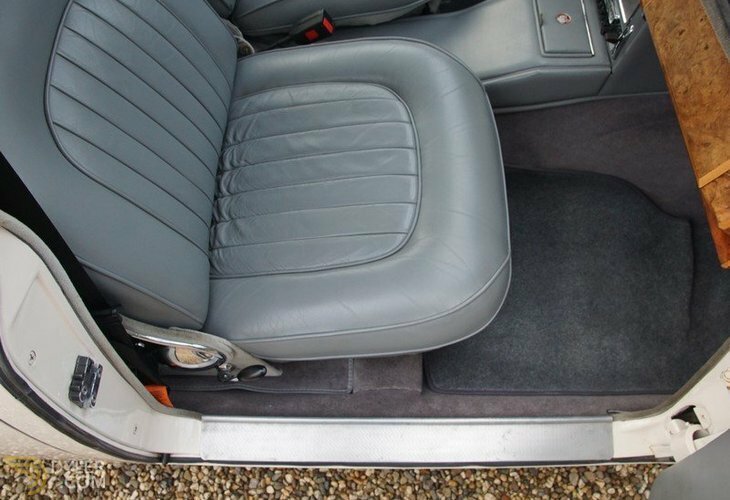 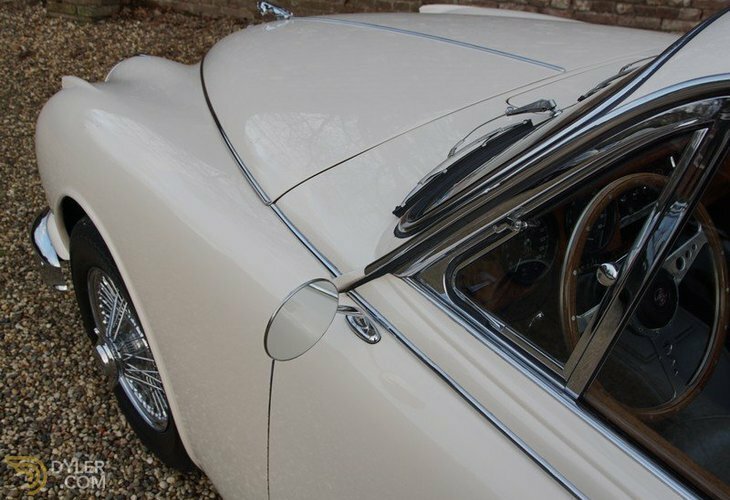 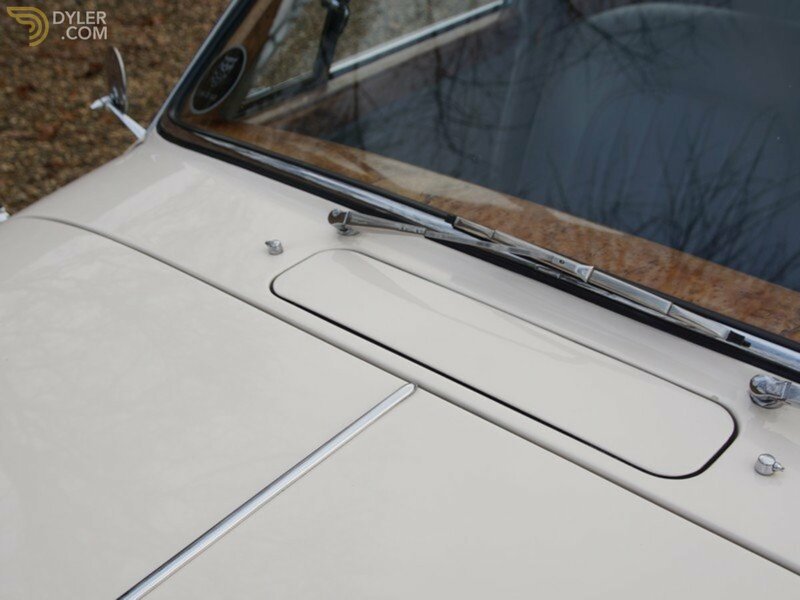 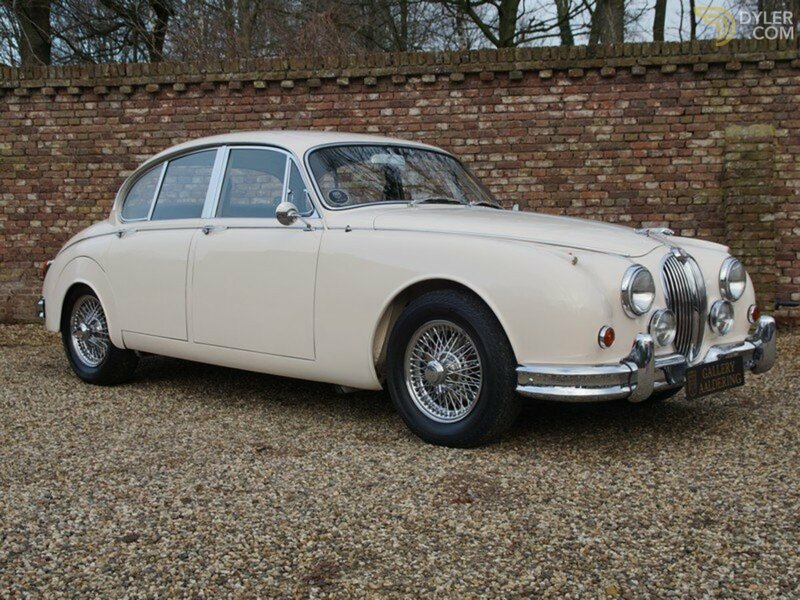 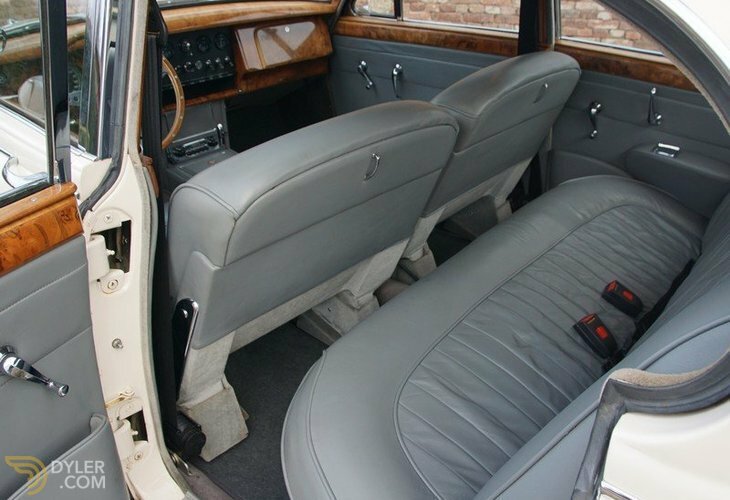 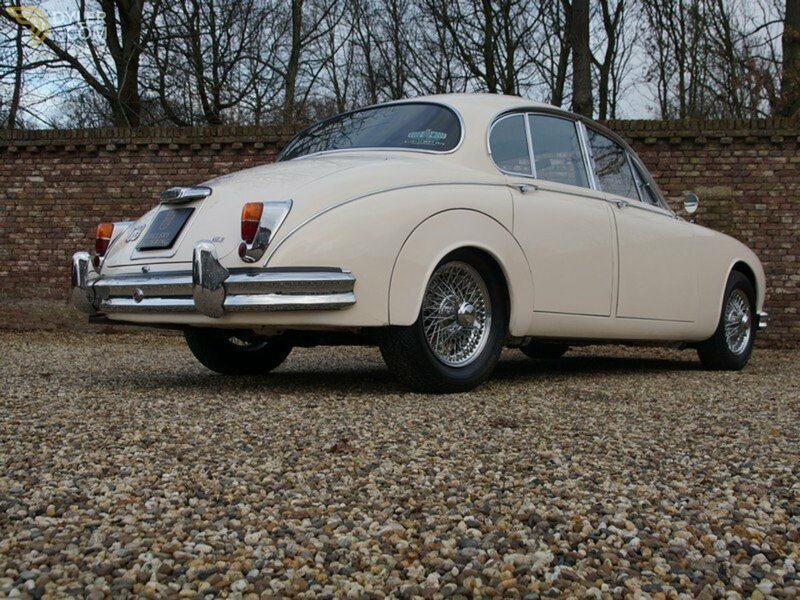 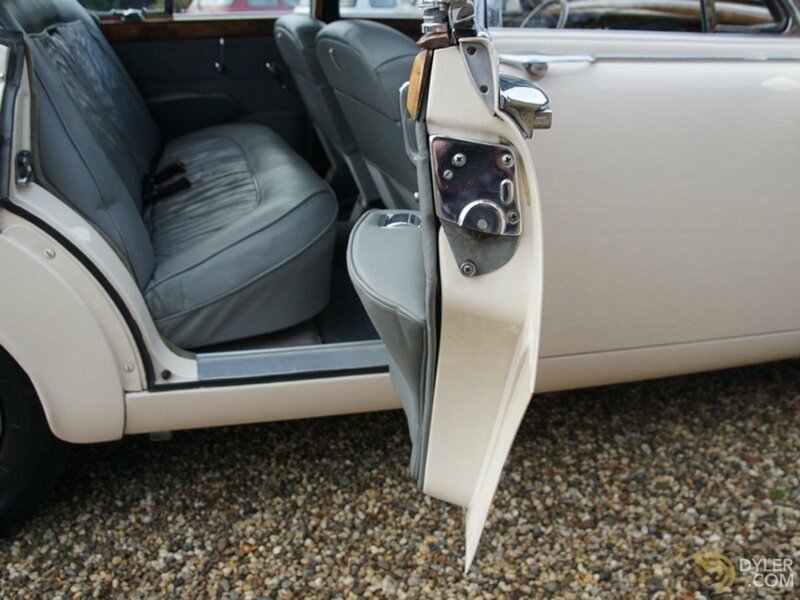 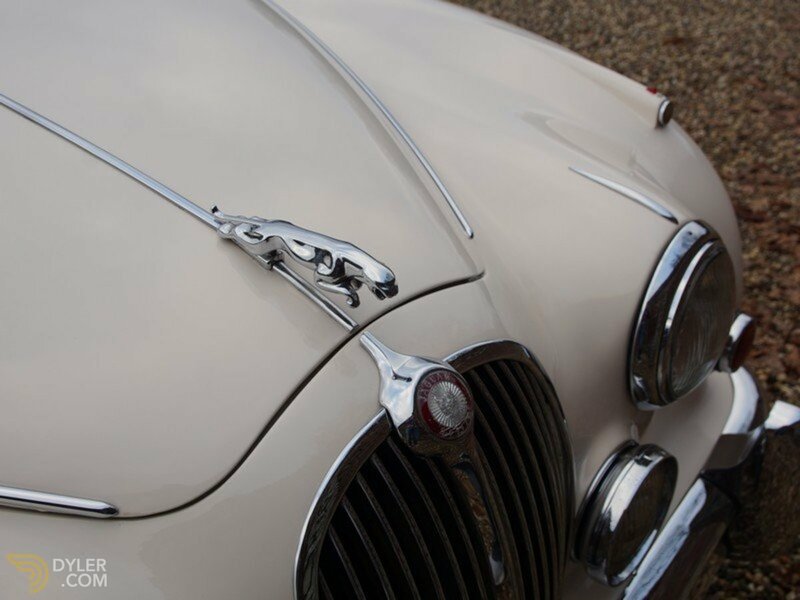 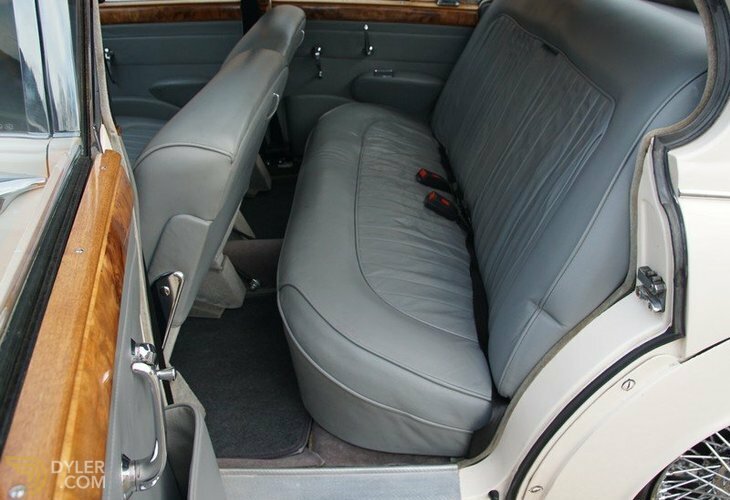 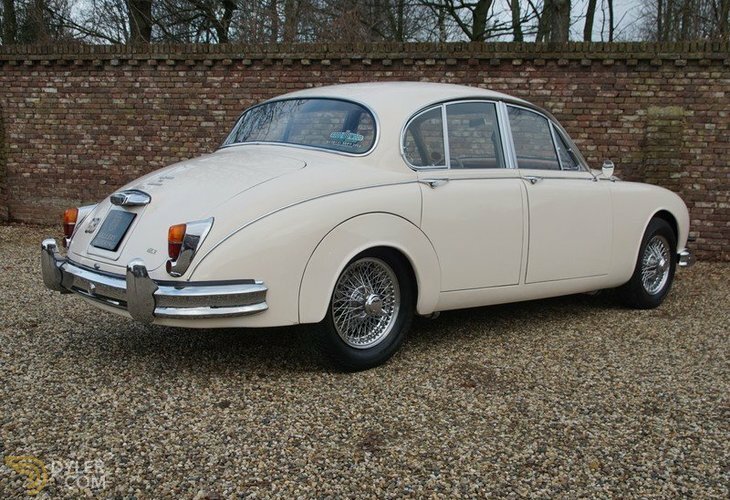 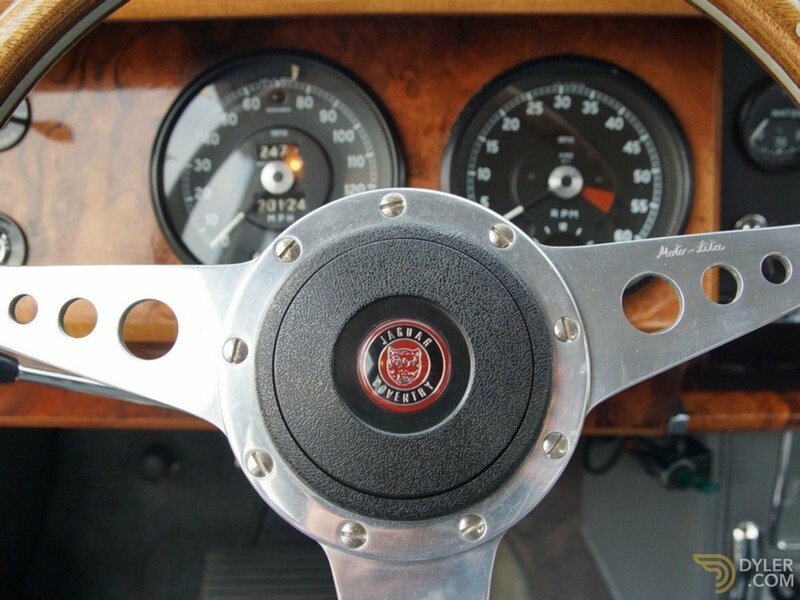 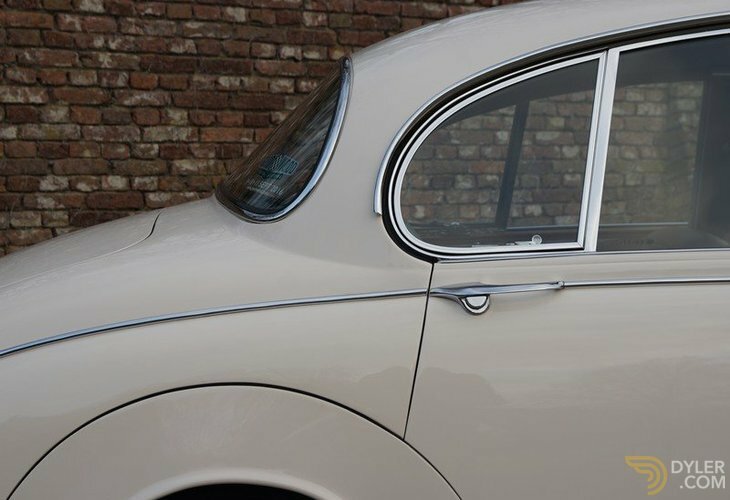 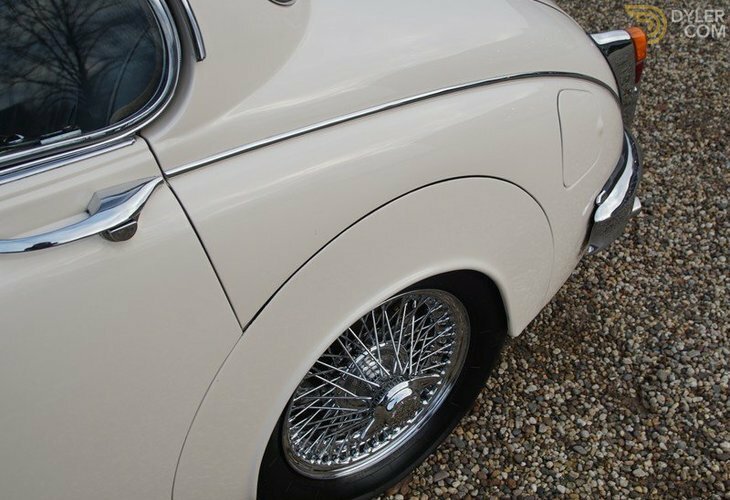 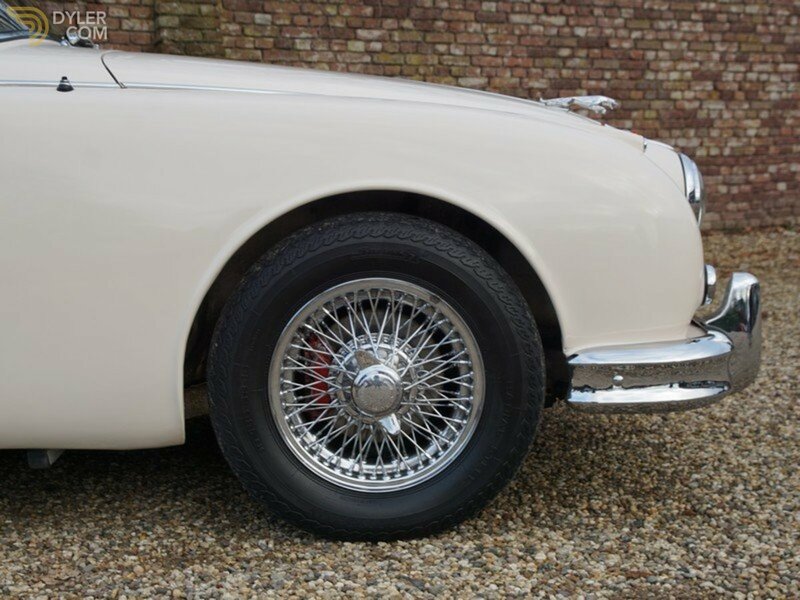 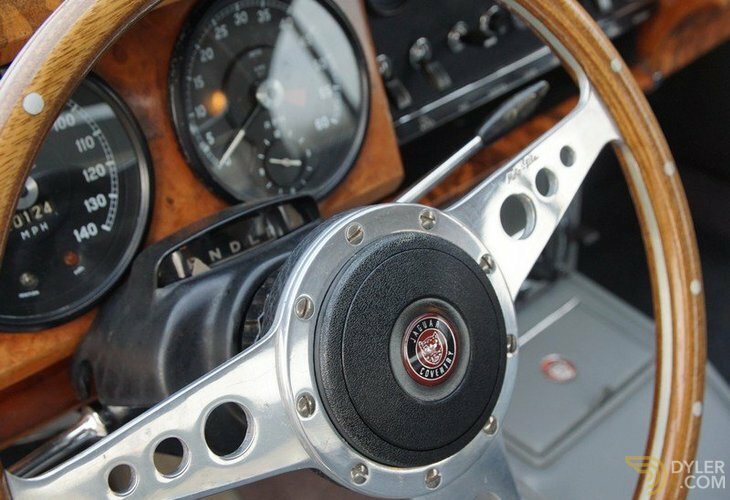 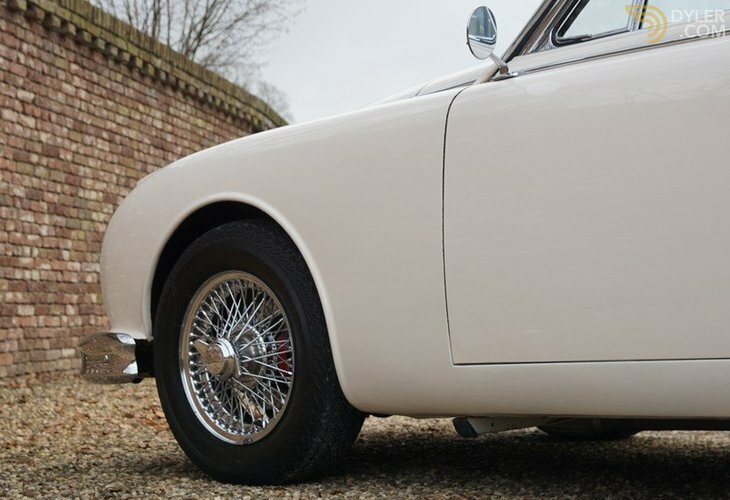 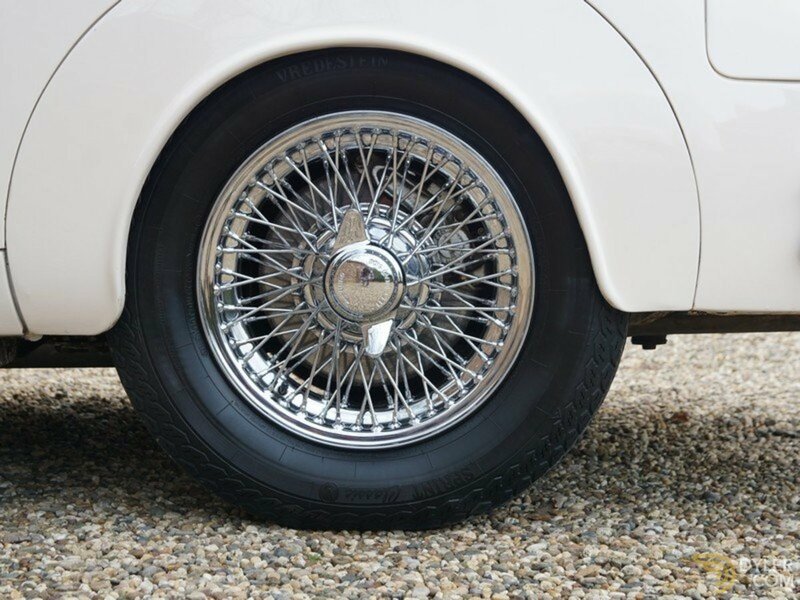 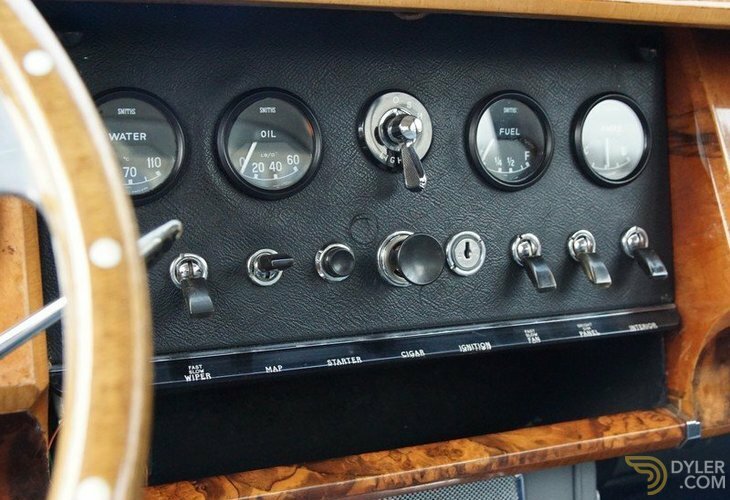 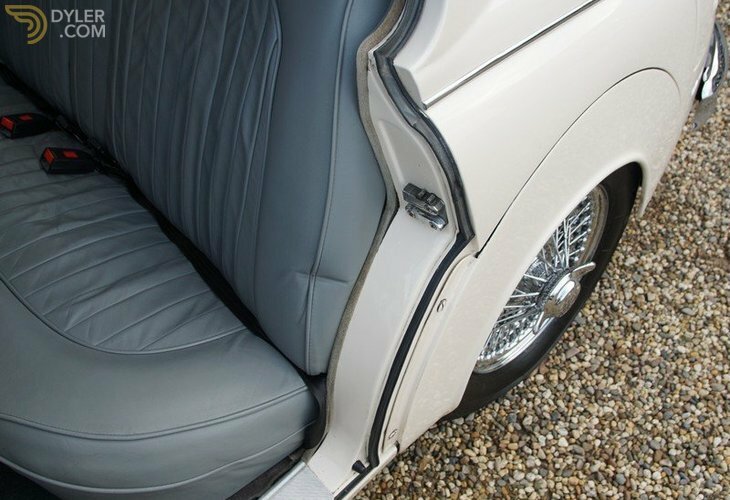 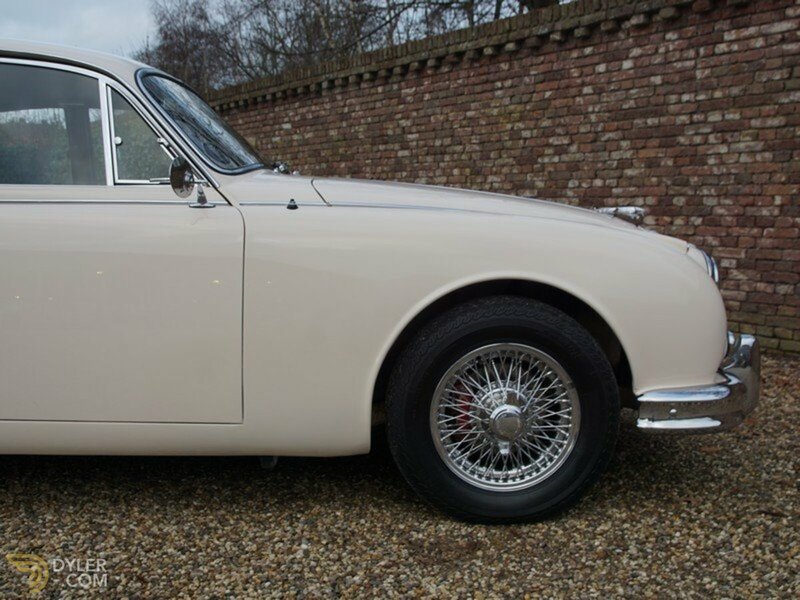 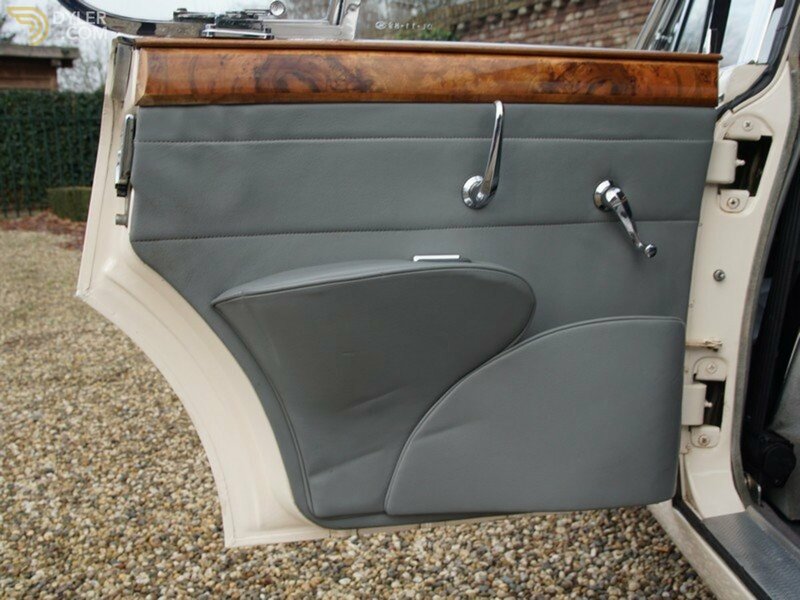 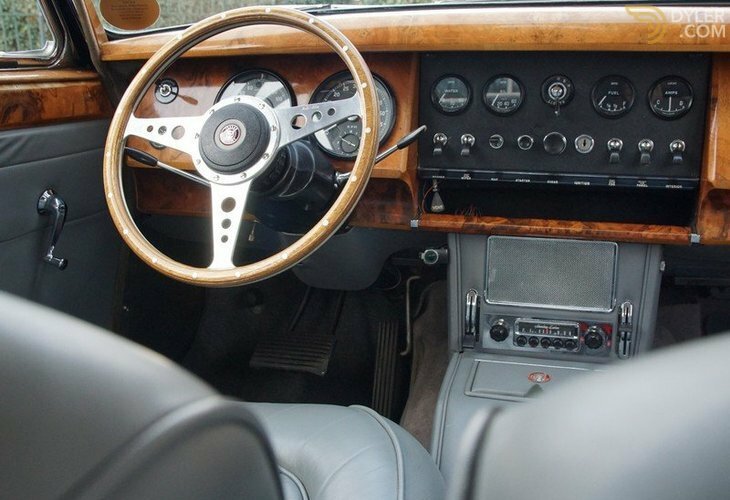 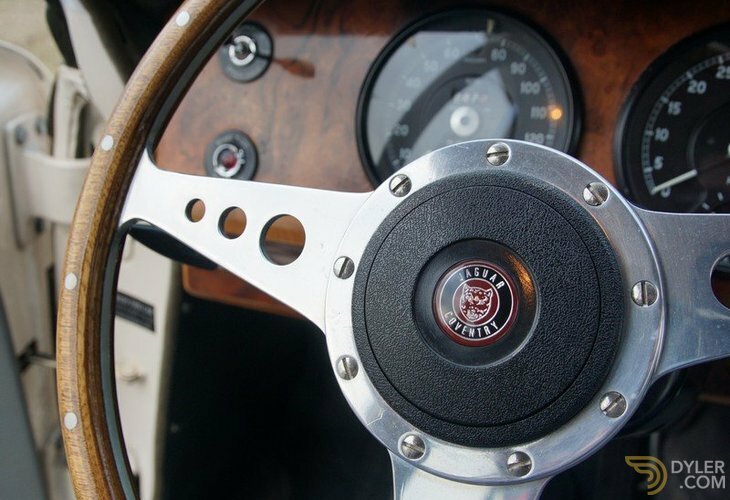 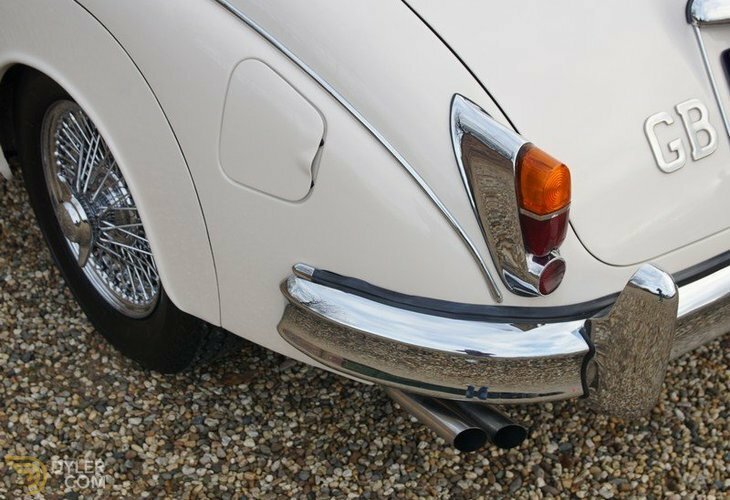 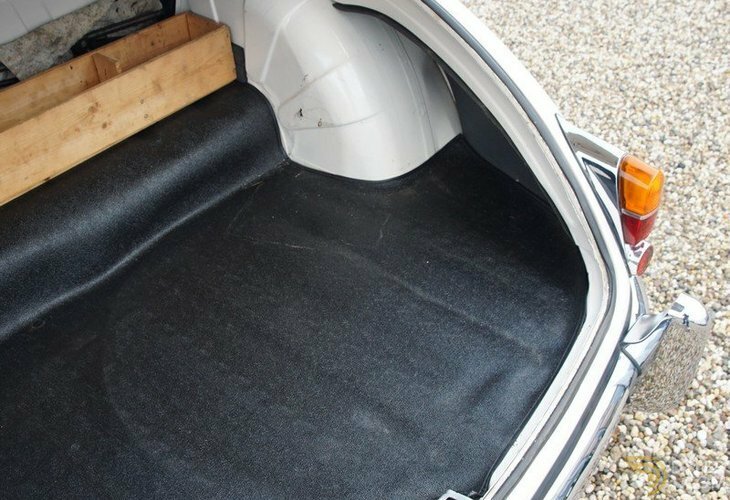 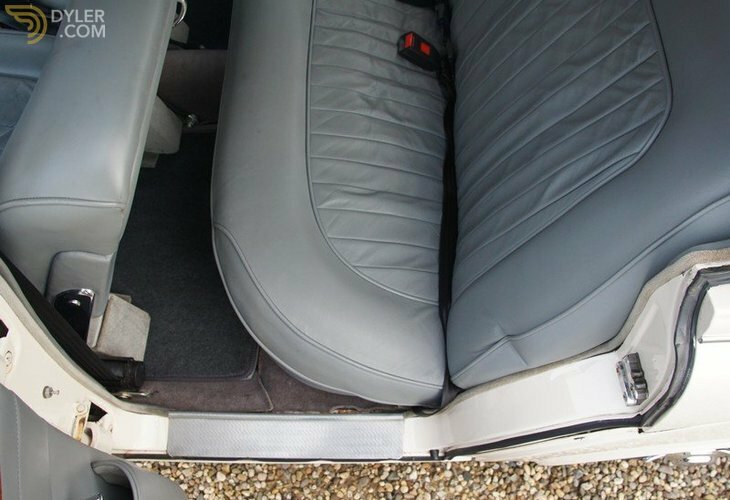 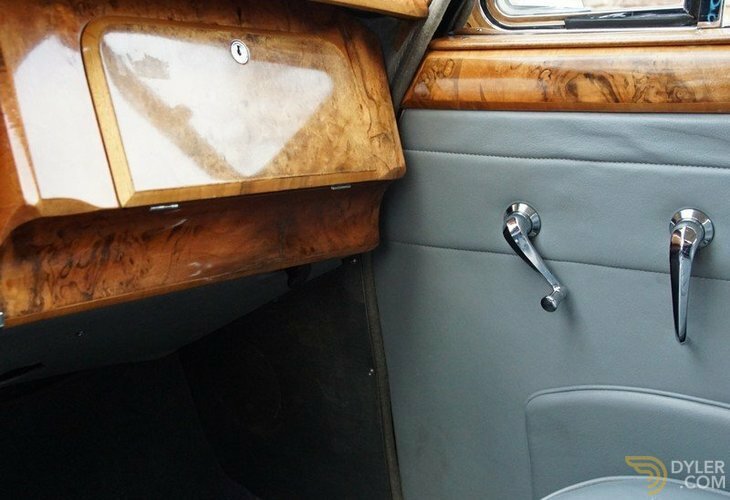 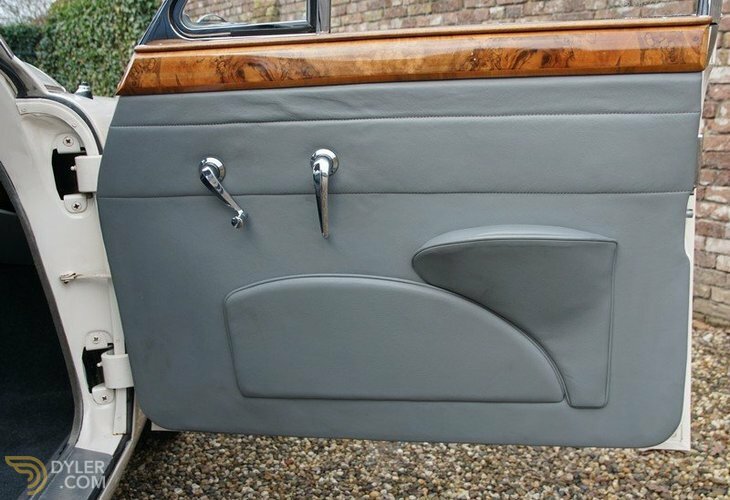 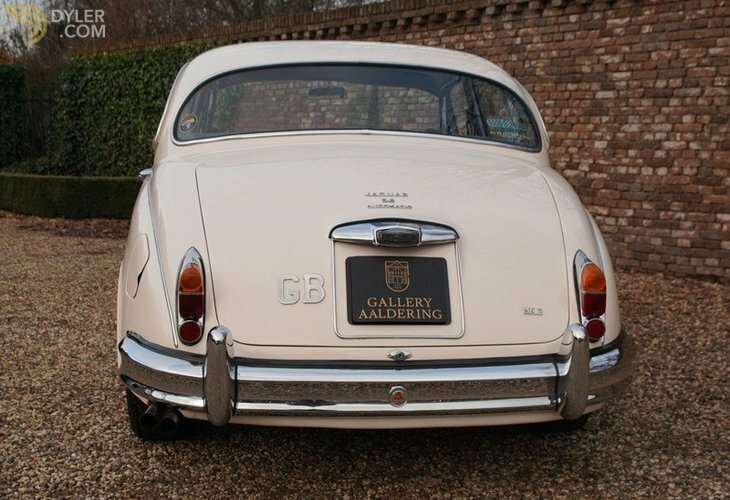 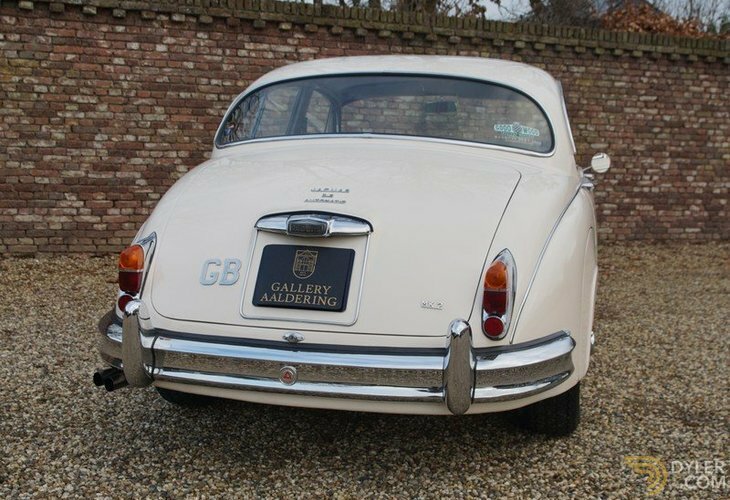 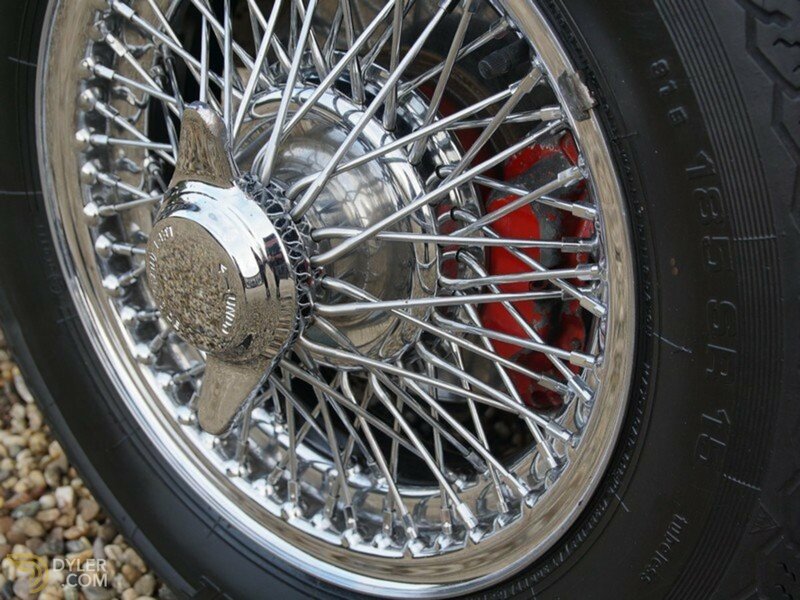 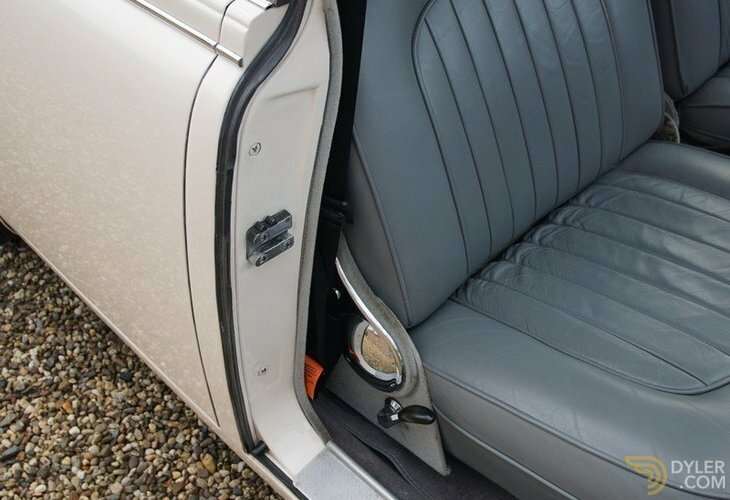 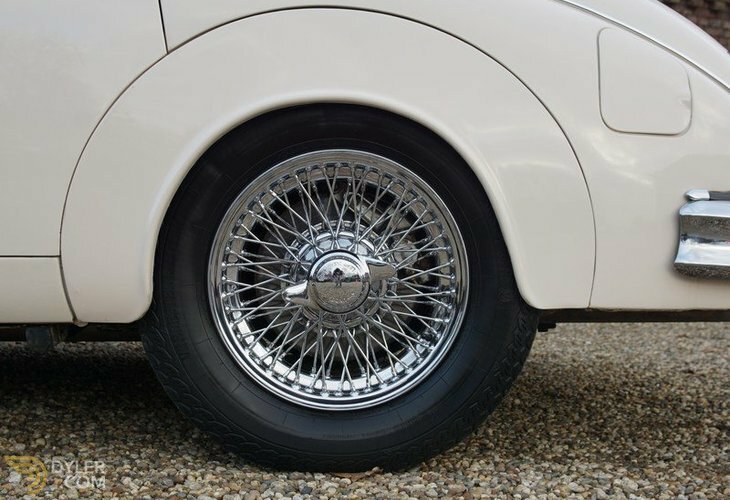 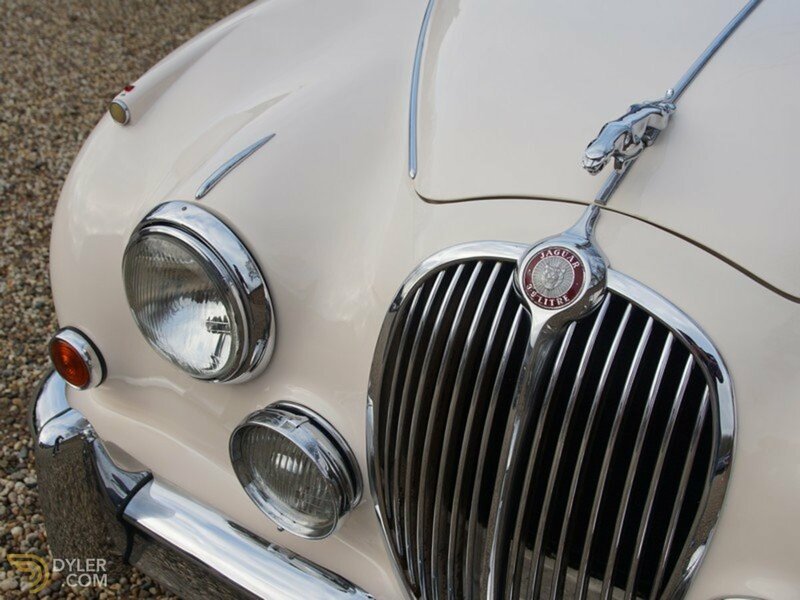 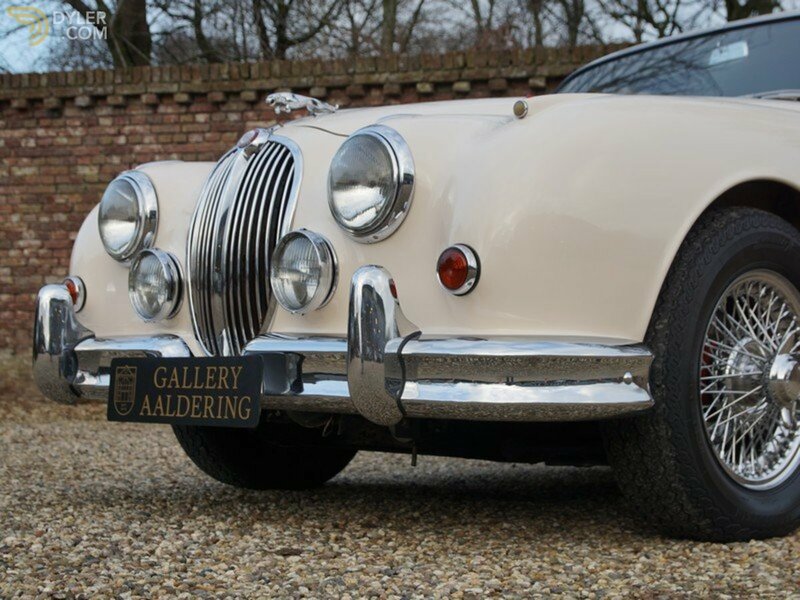 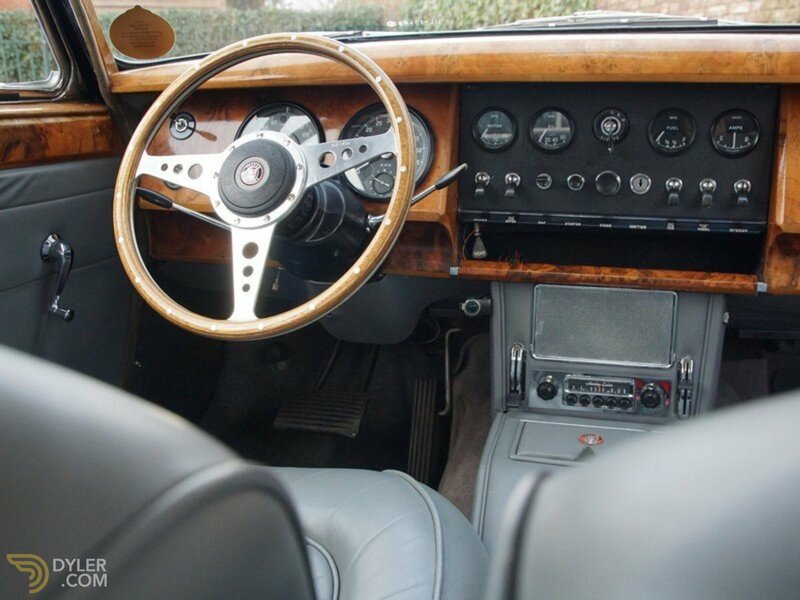 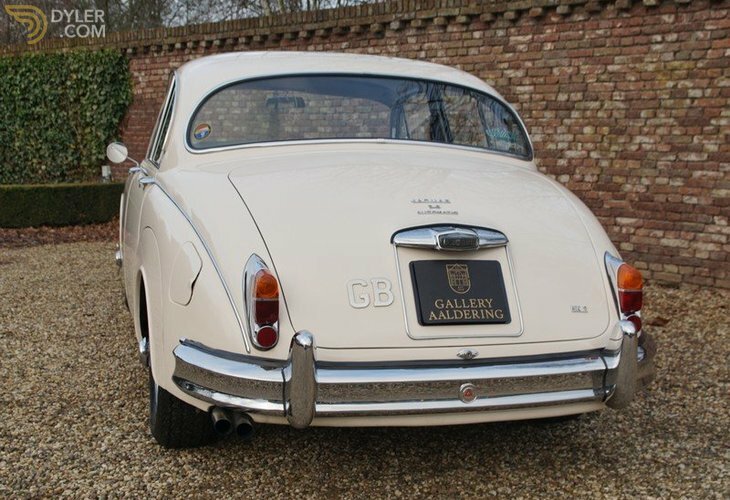 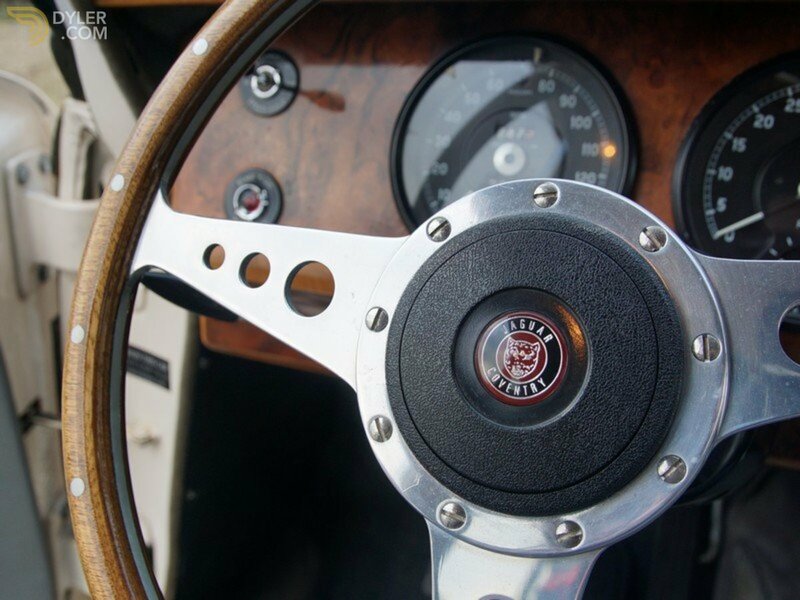 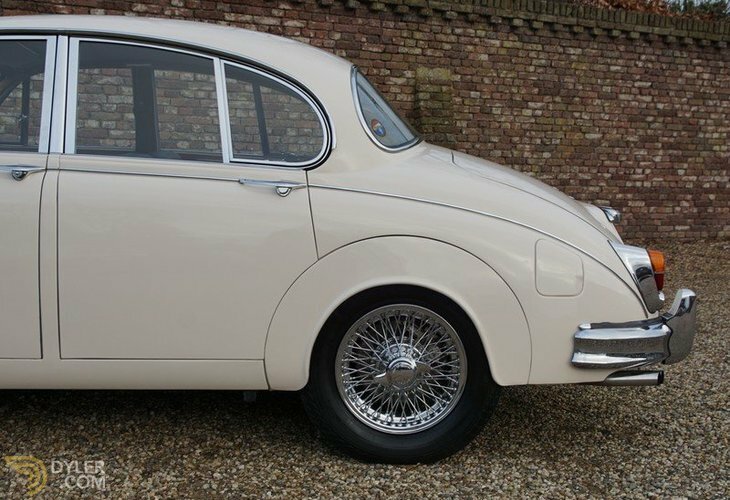 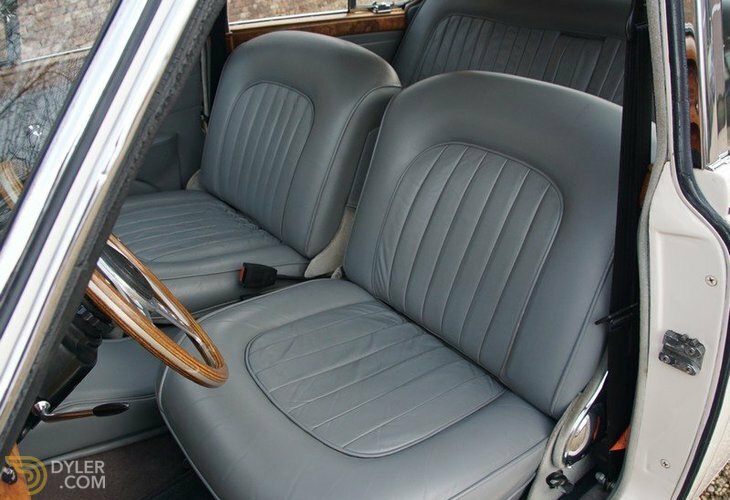 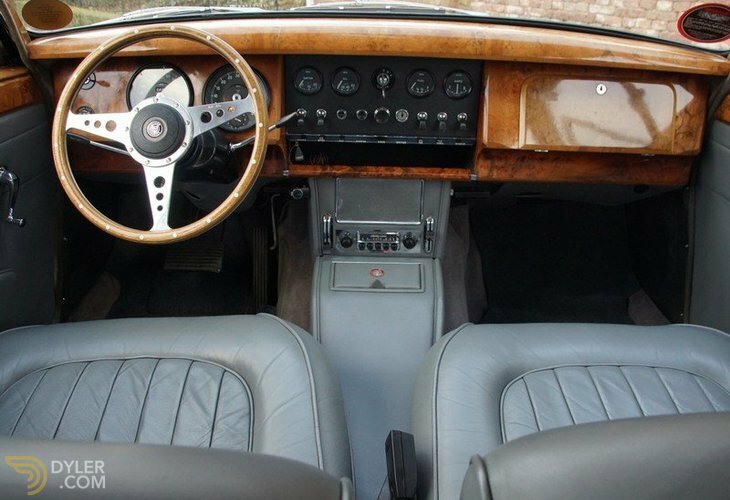 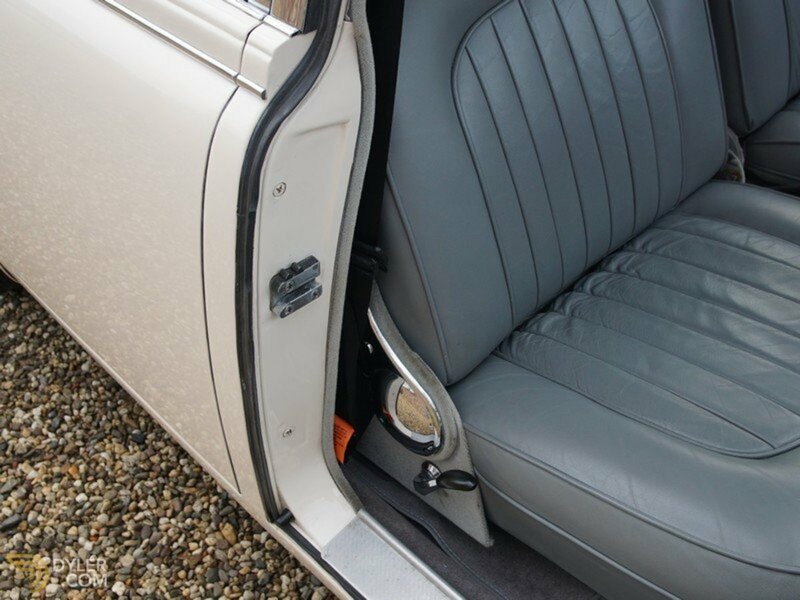 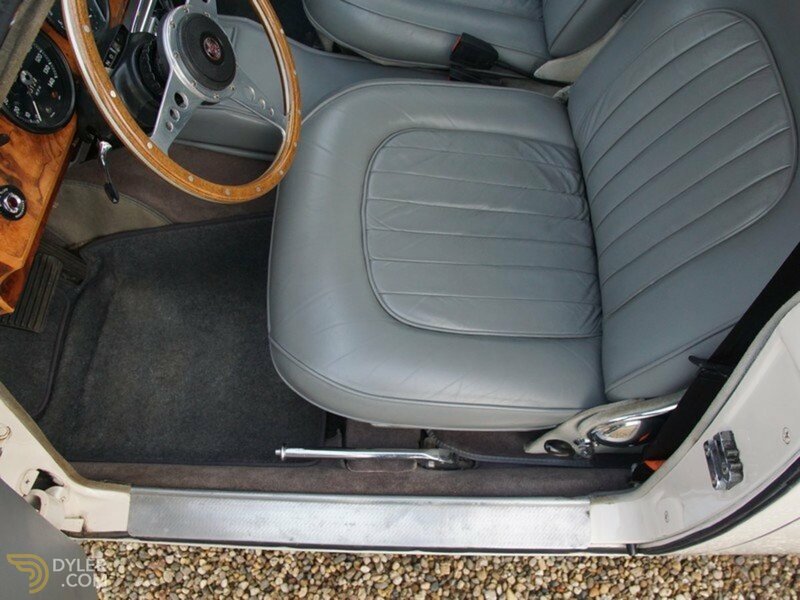 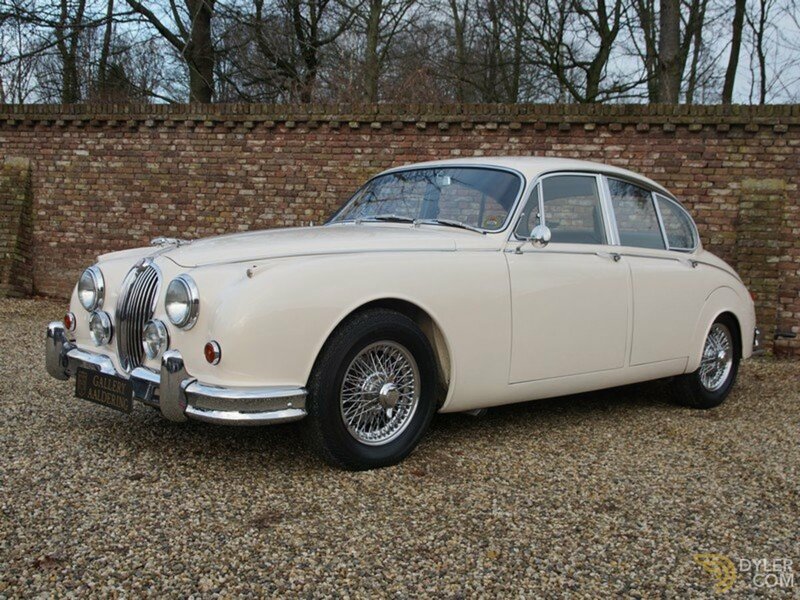 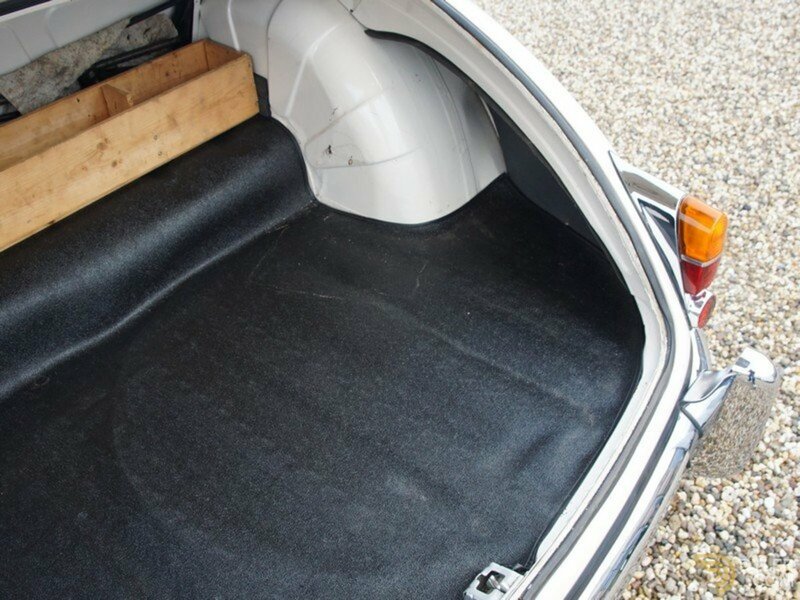 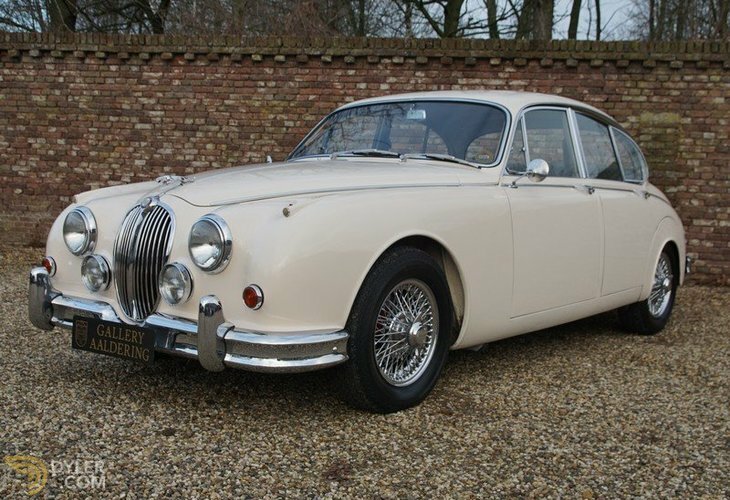 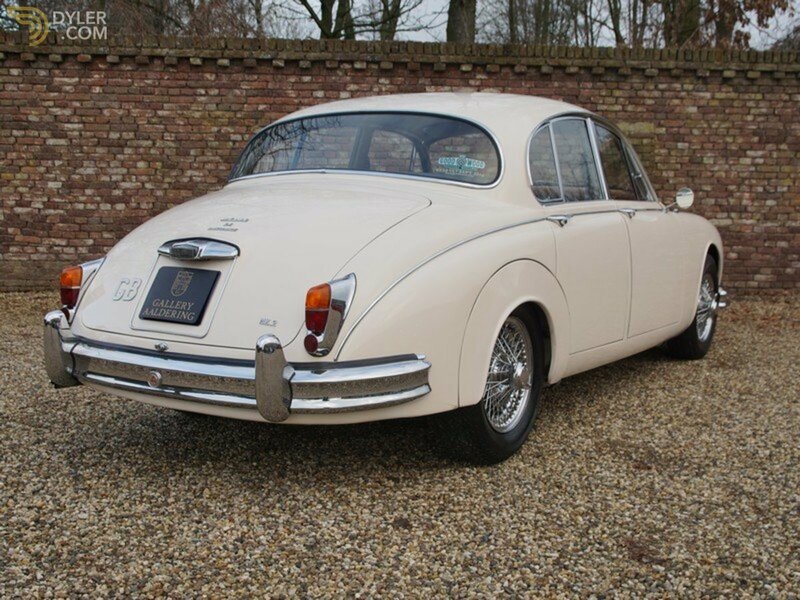 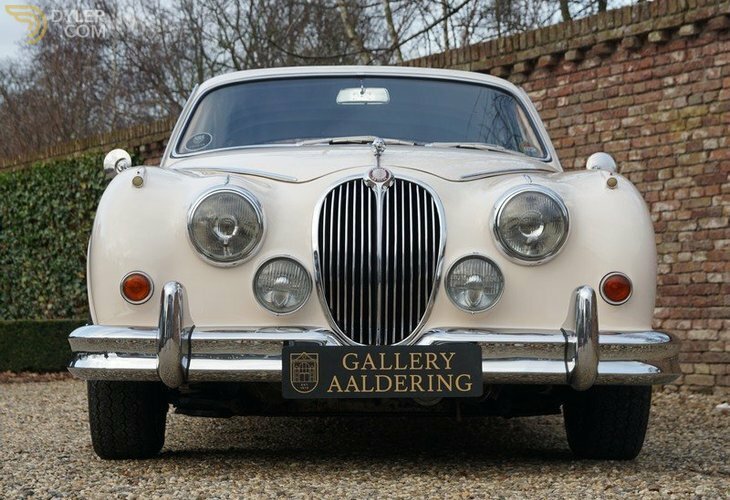 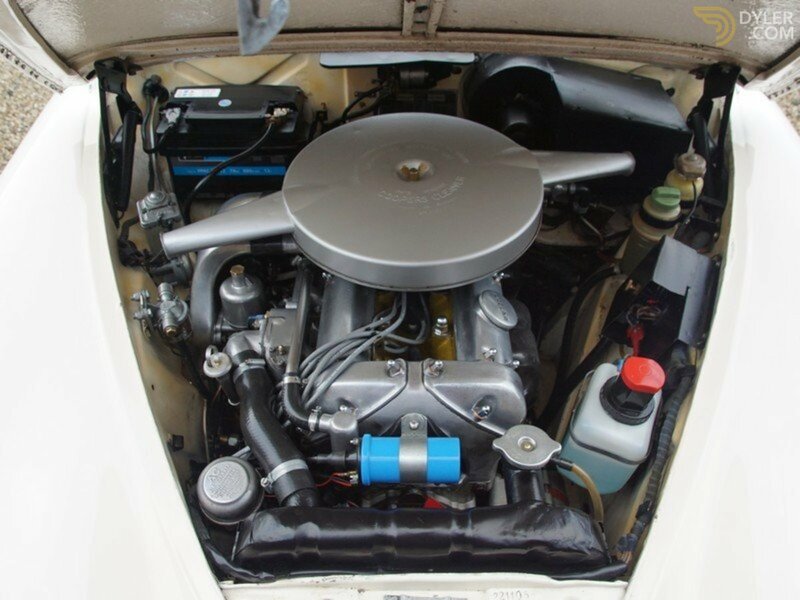 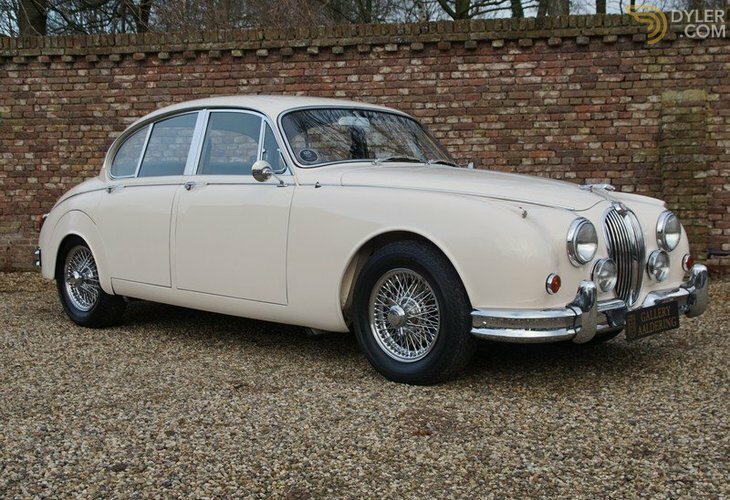 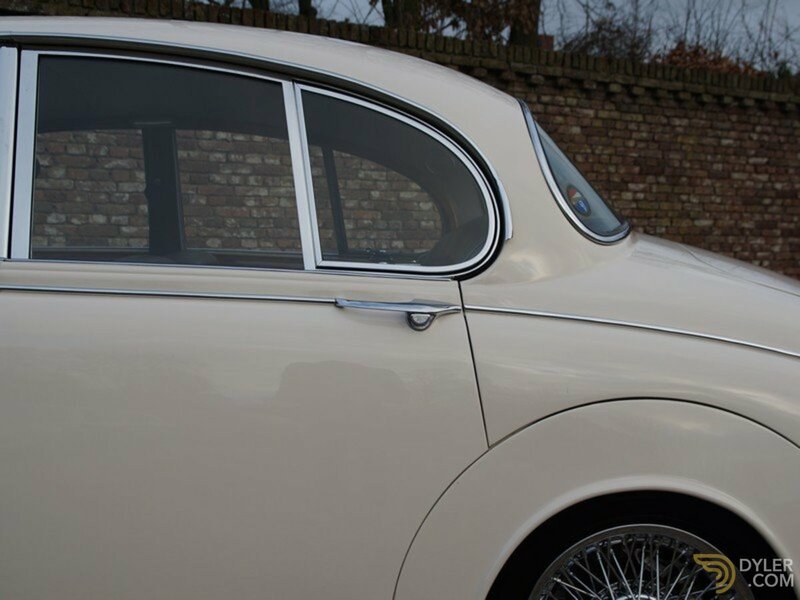 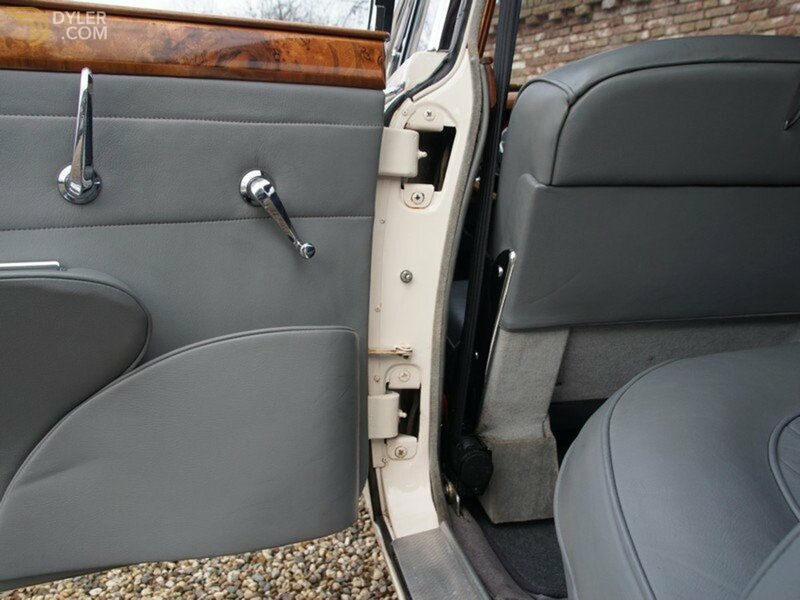 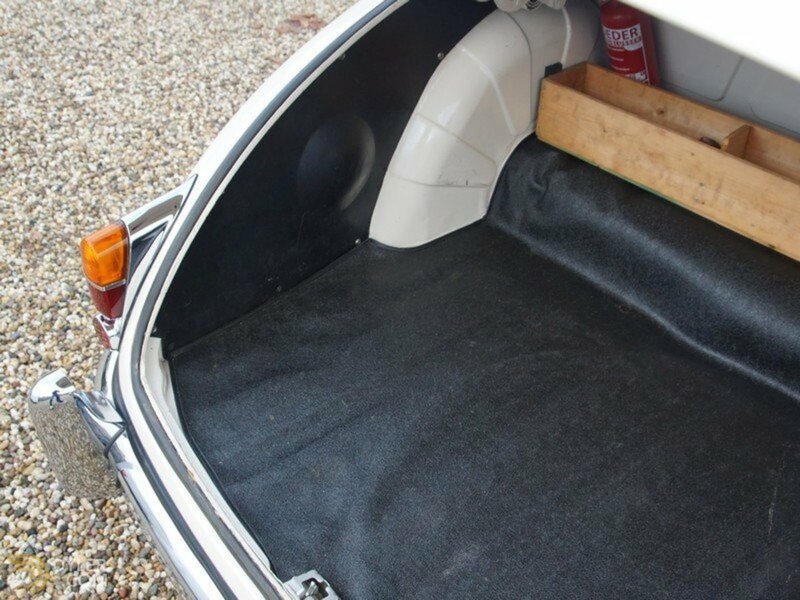 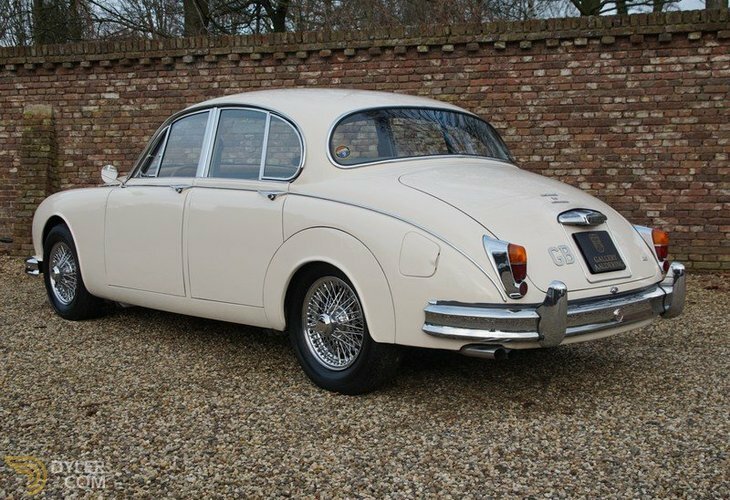 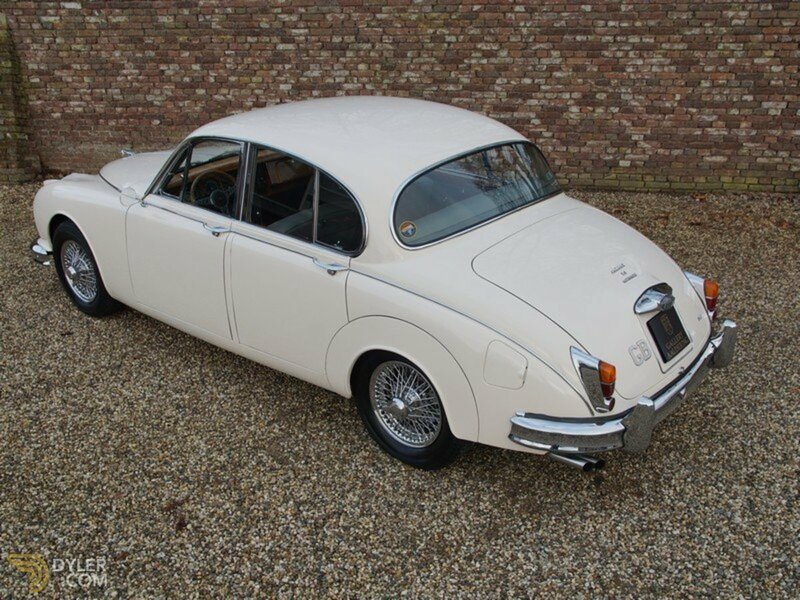 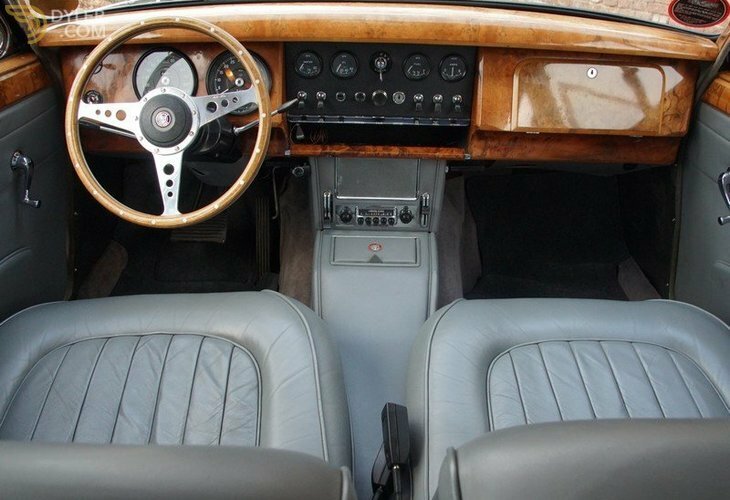 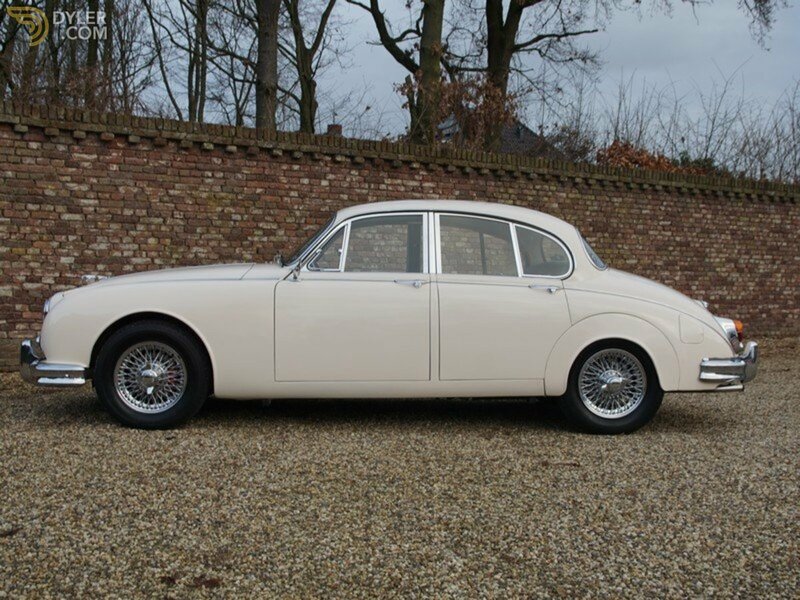 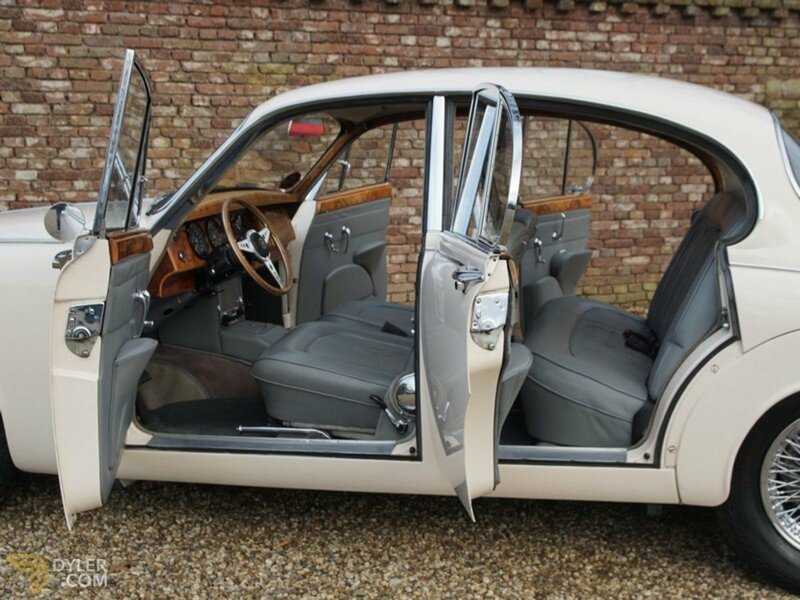 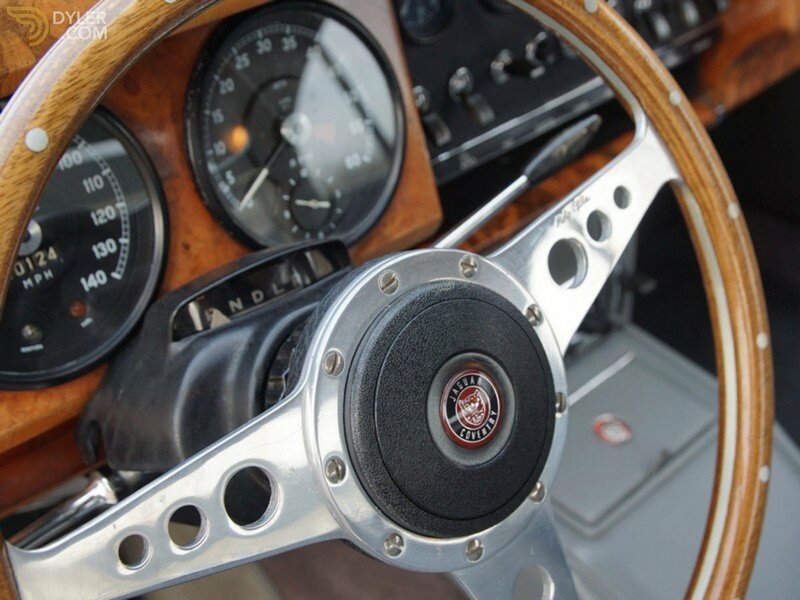 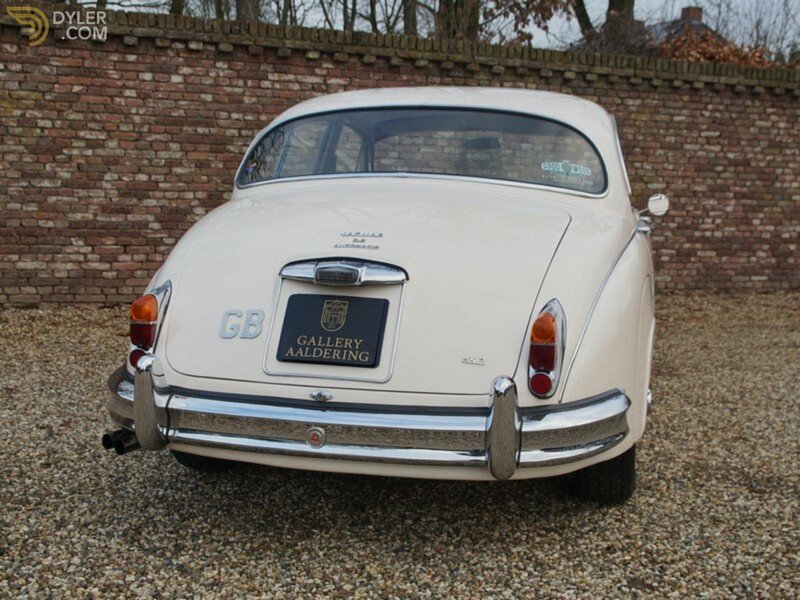 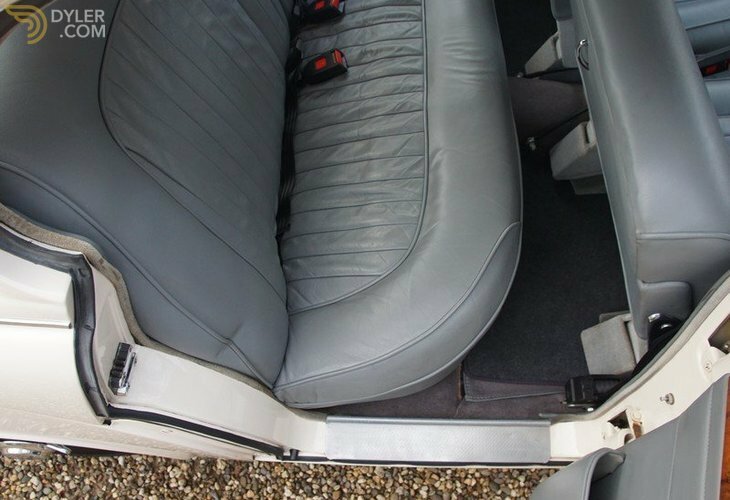 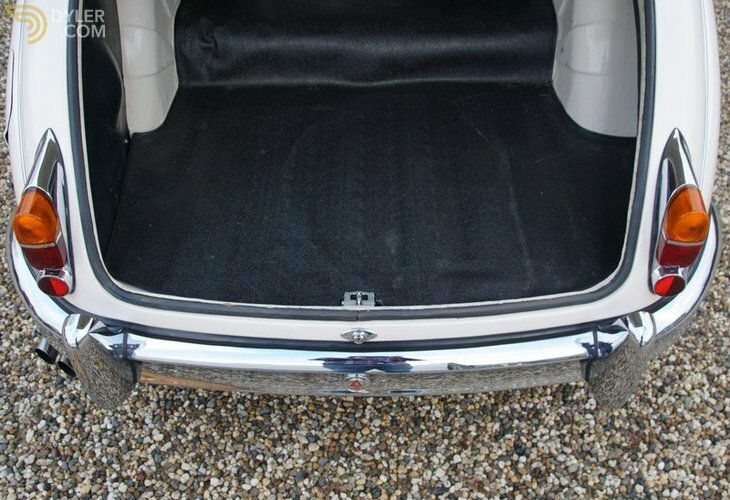 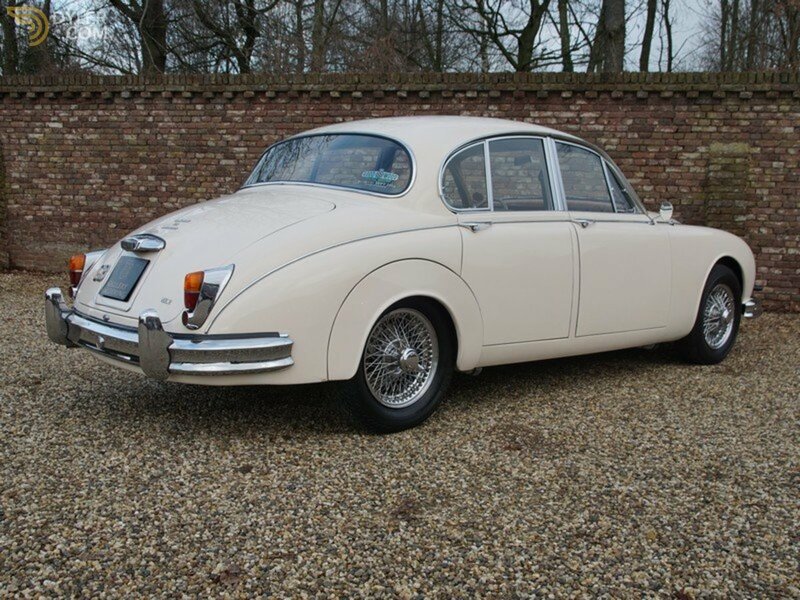 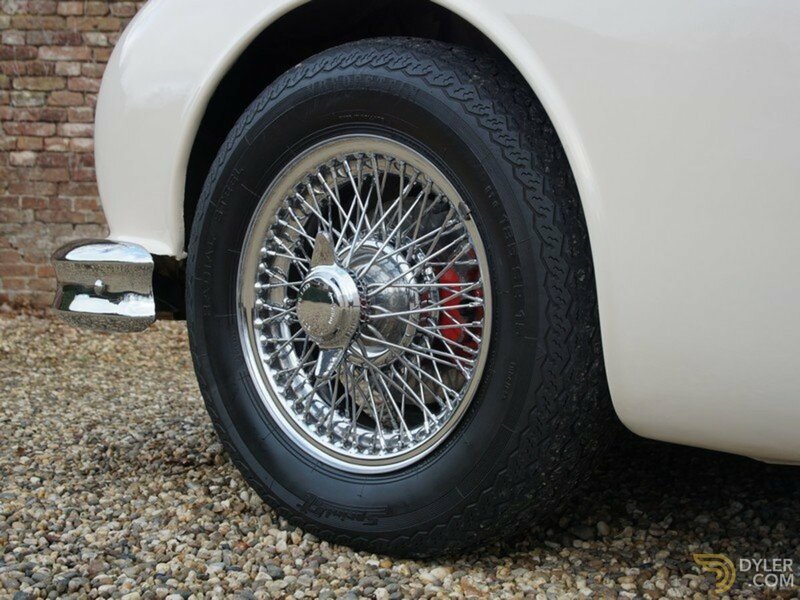 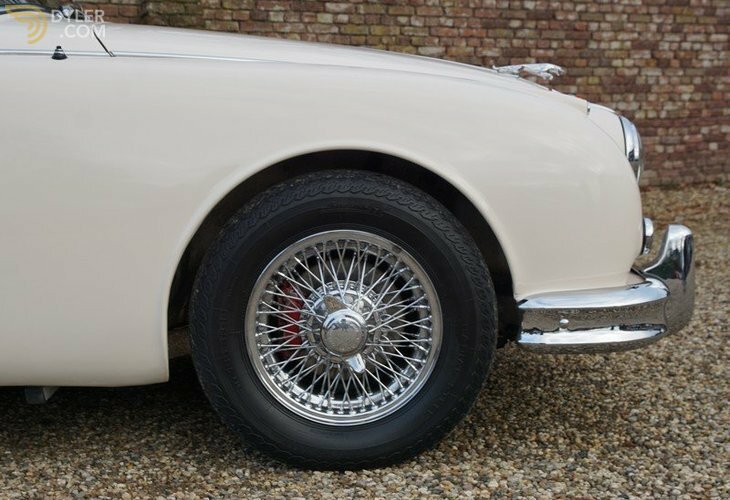 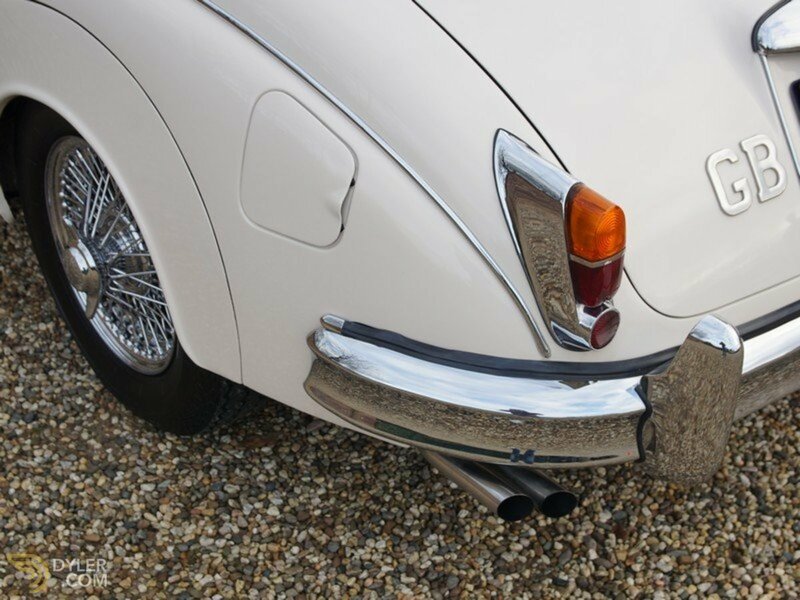 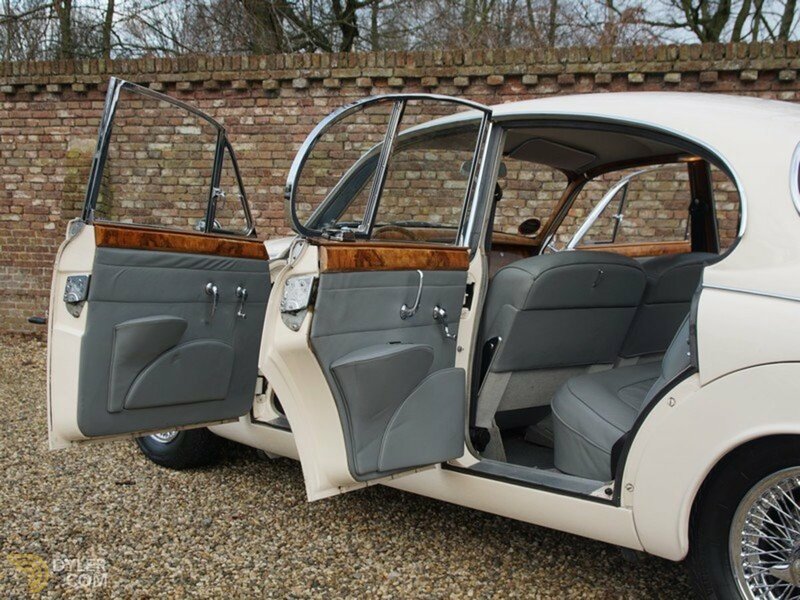 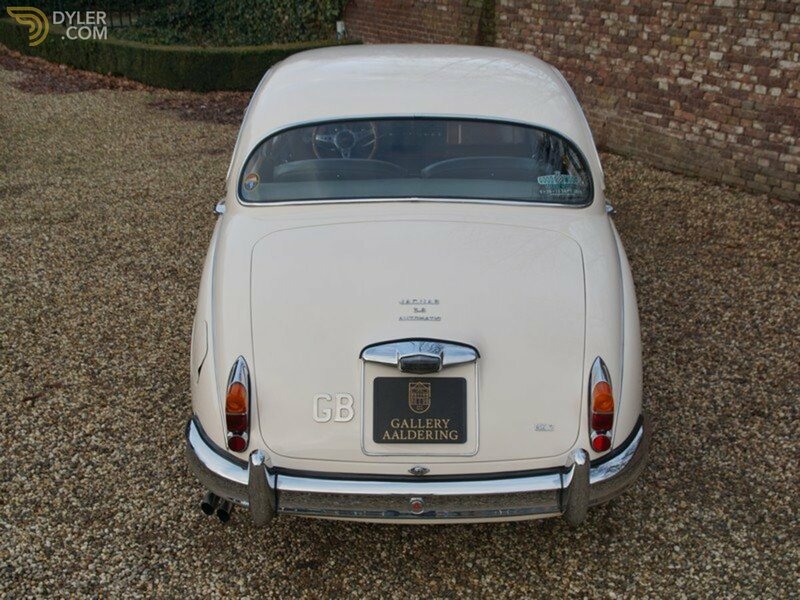 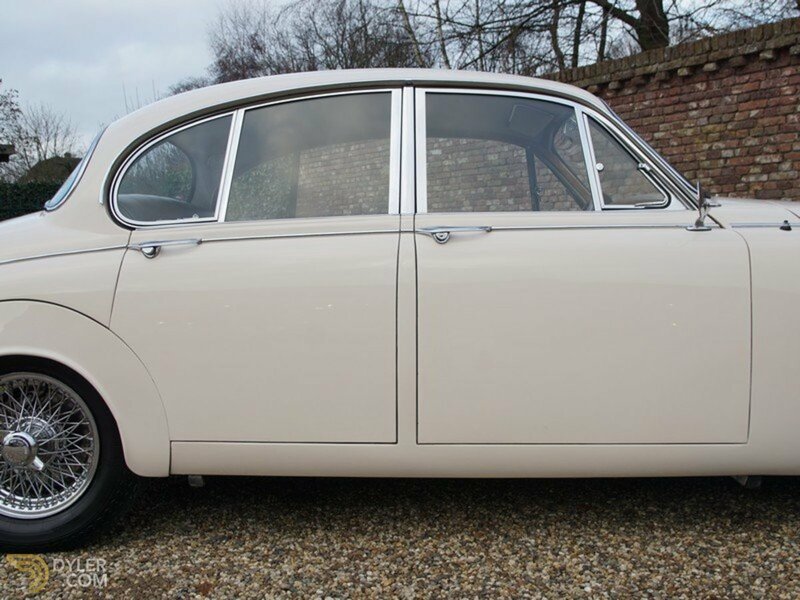 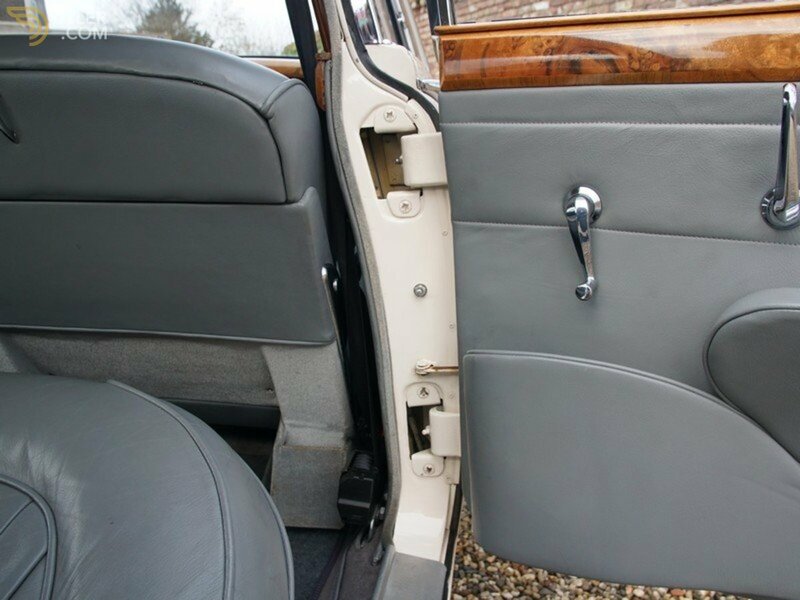 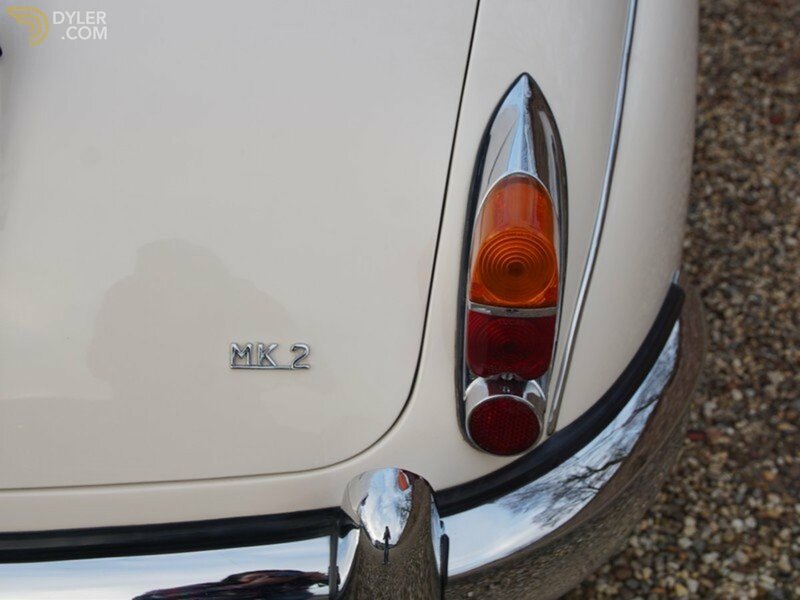 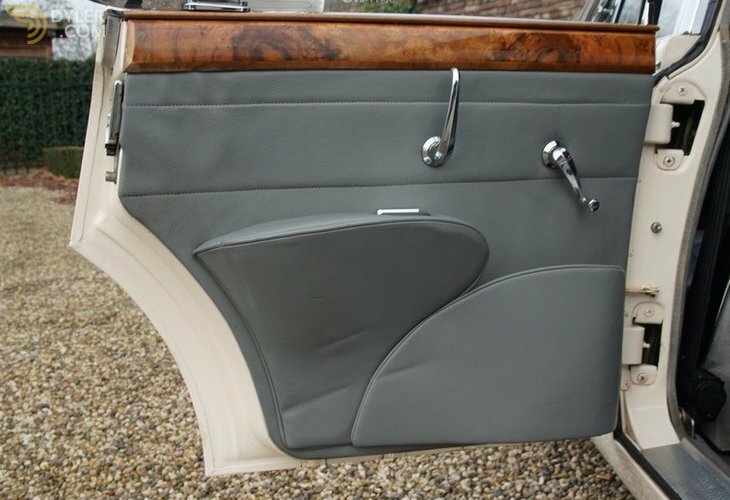 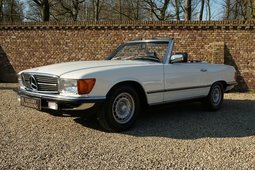 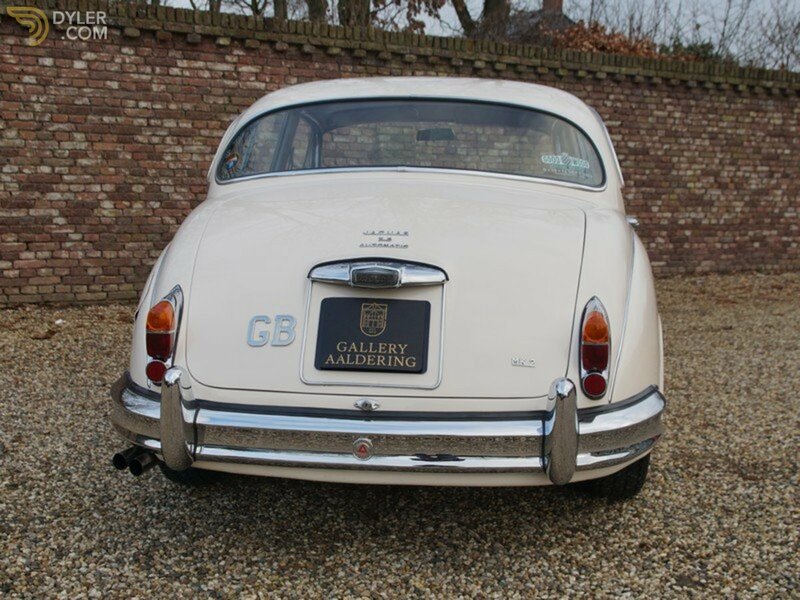 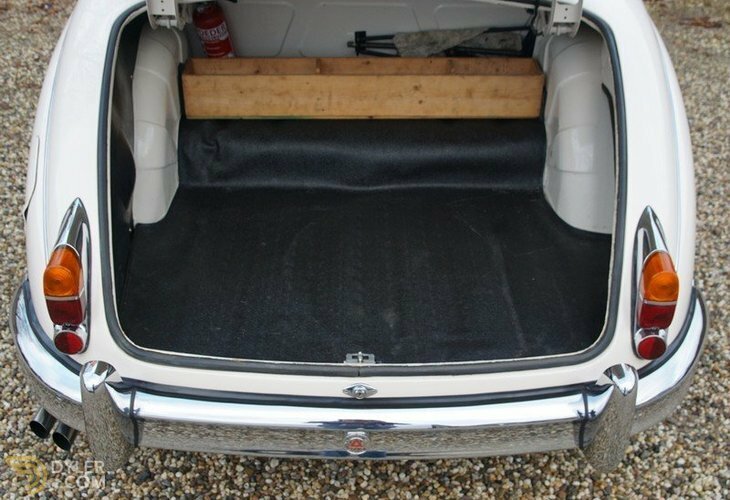 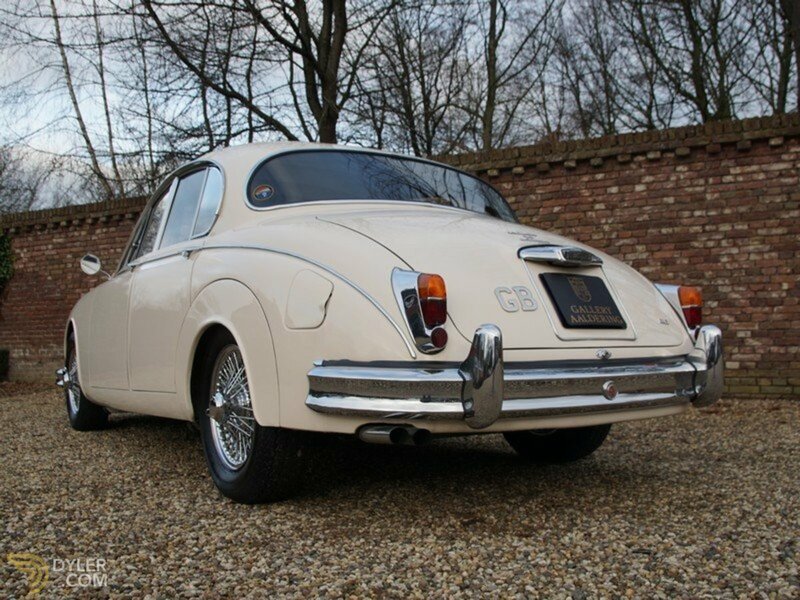 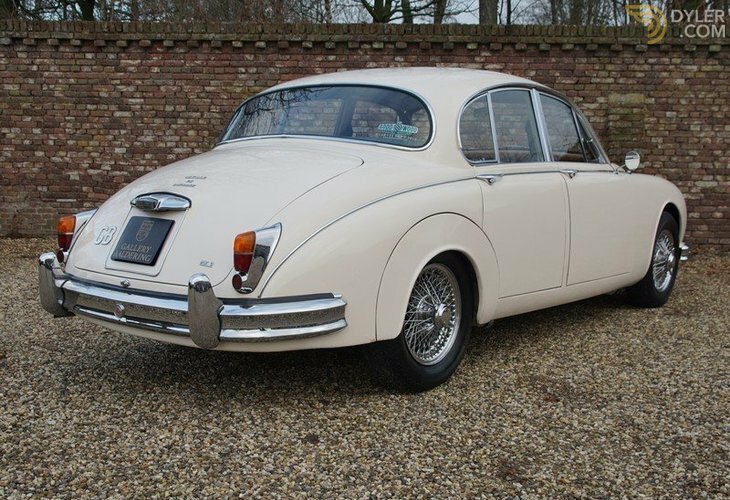 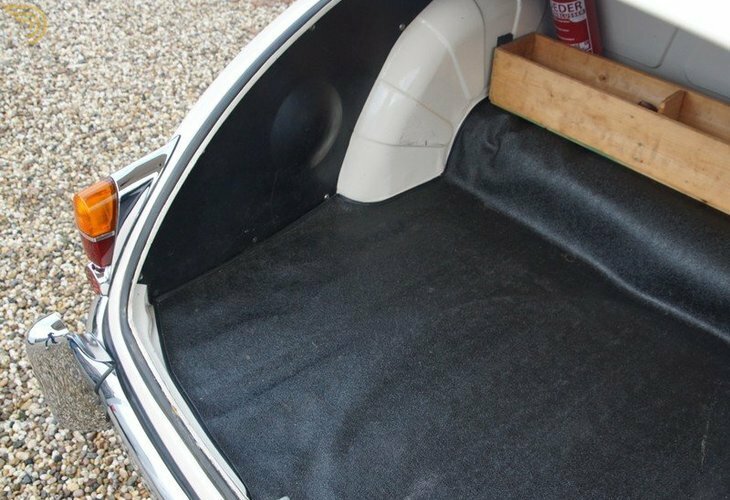 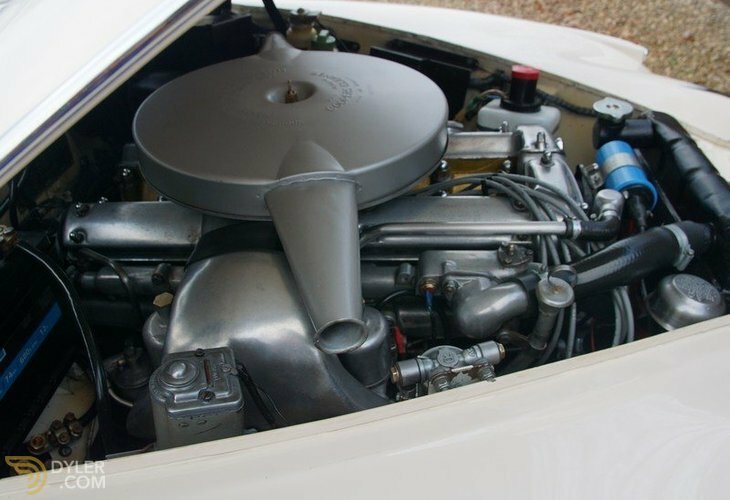 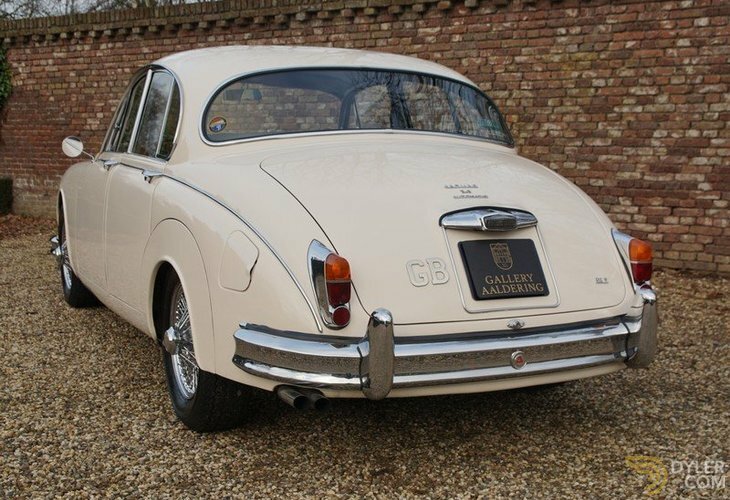 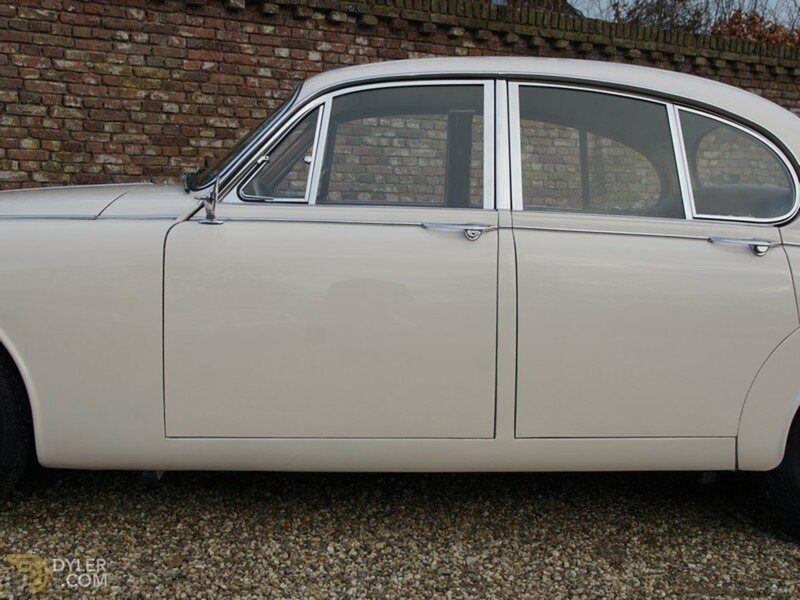 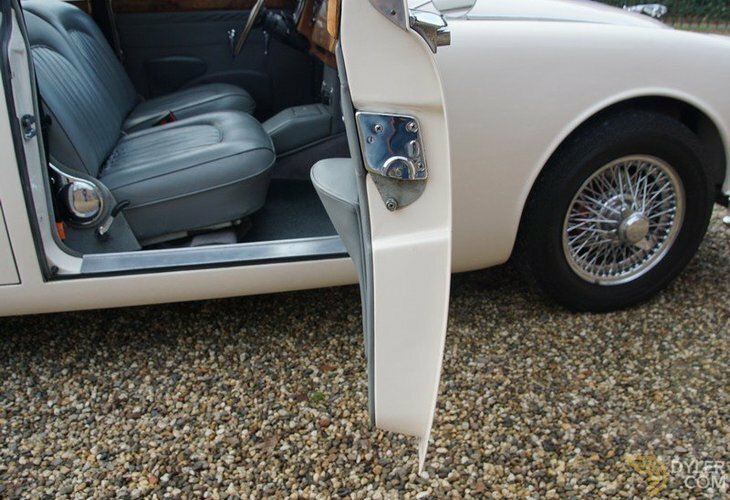 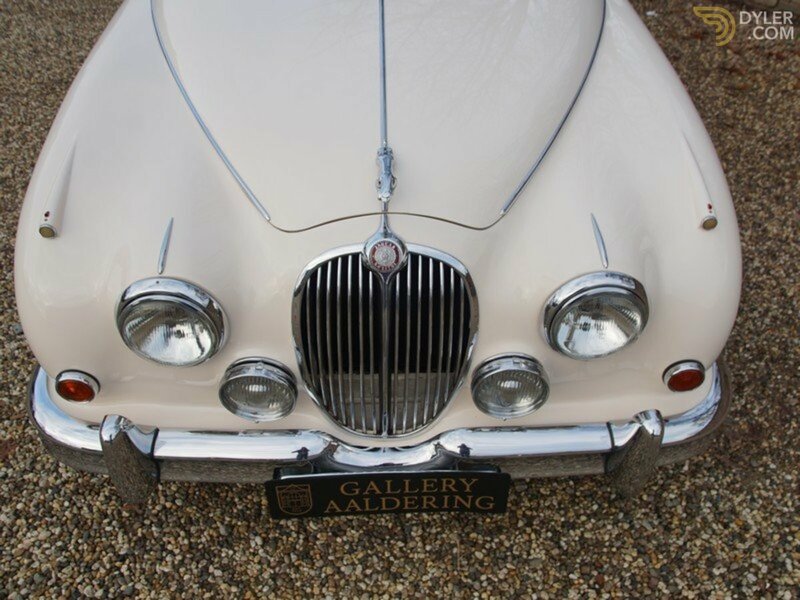 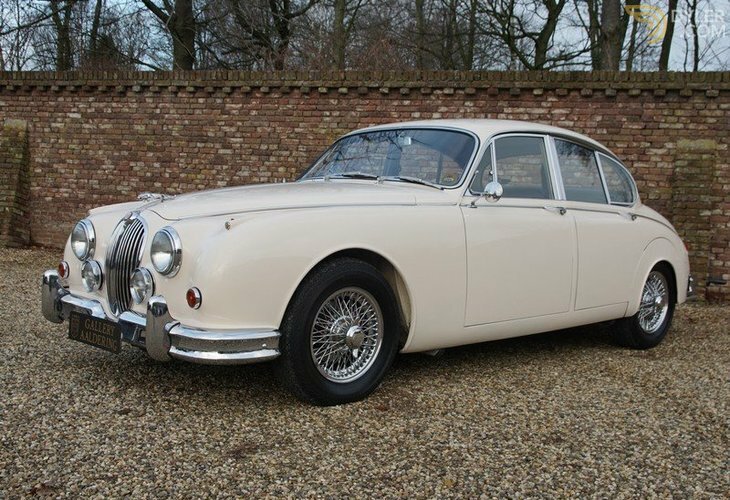 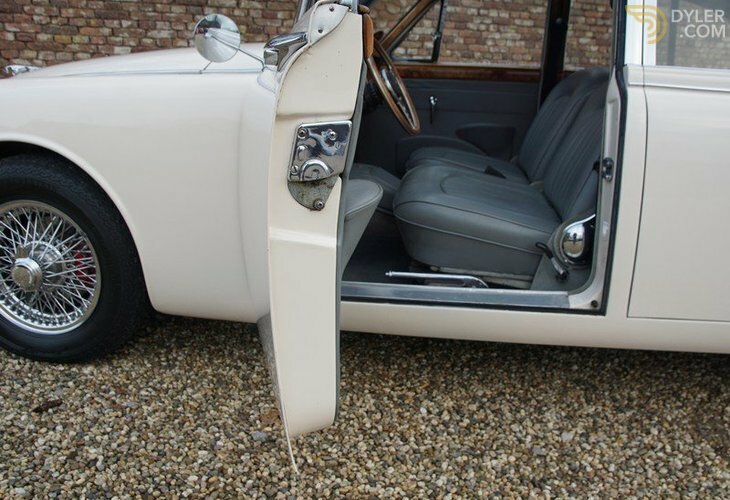 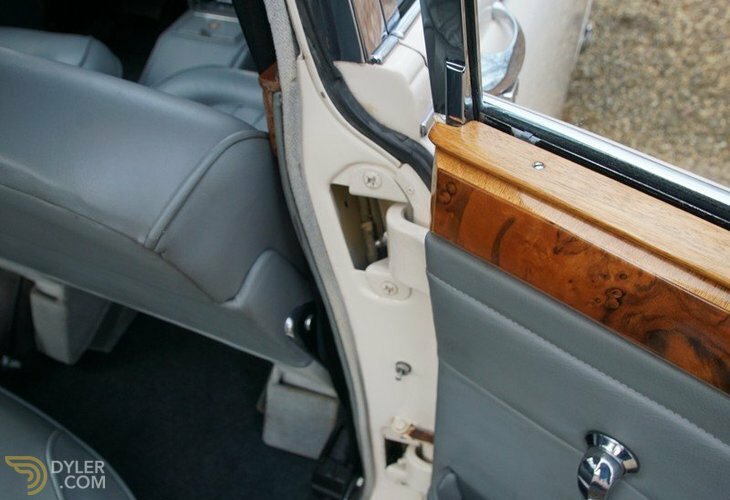 After the restoration it has been expertly cherished, resulting in a very fine car. 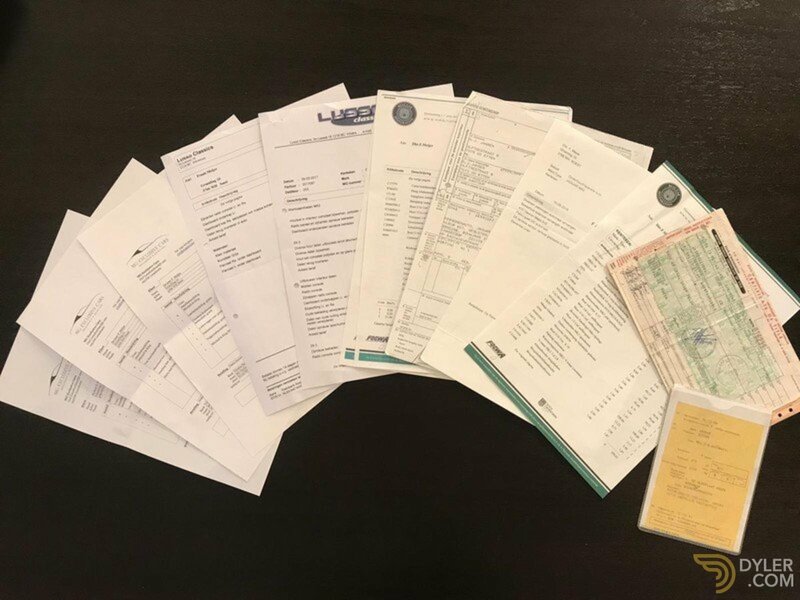 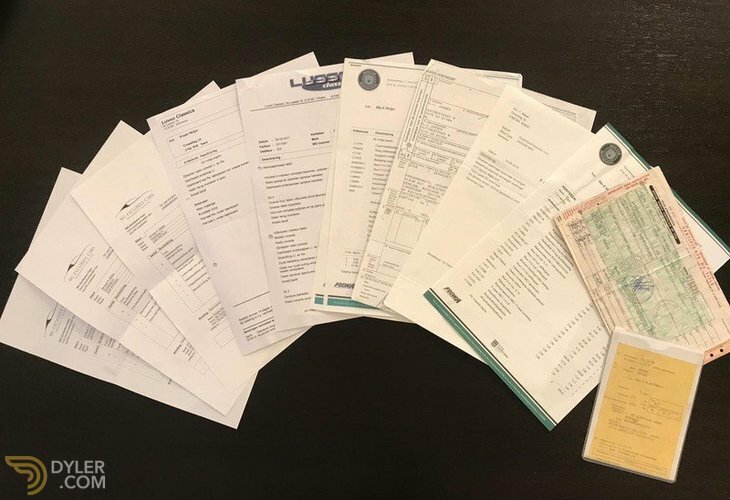 There are many photos and invoices present. 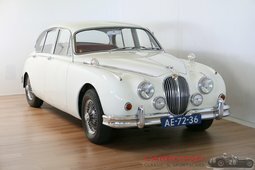 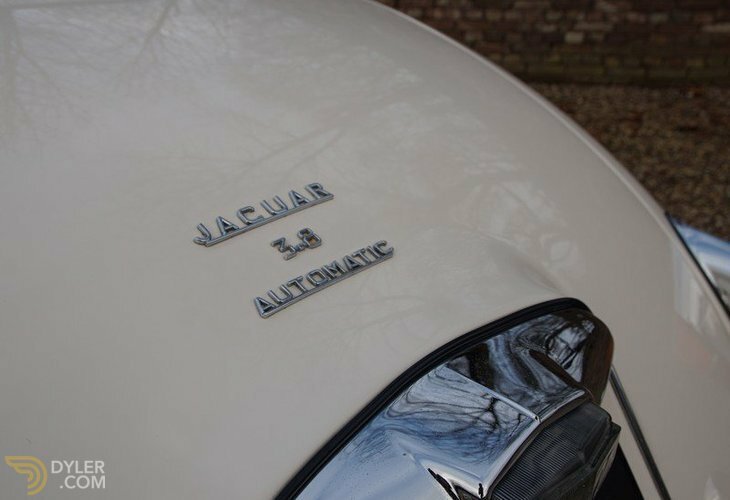 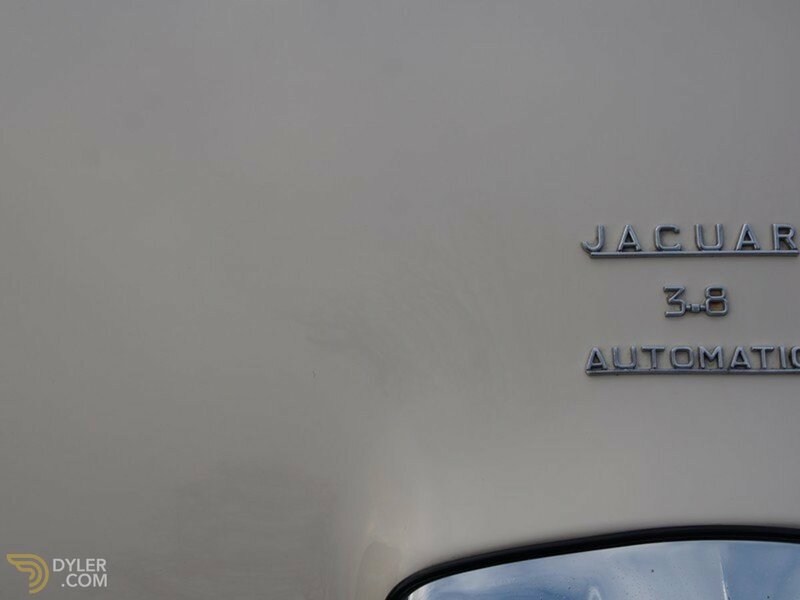 Recently the automatic transmission was fully overhauled by a Dutch Jaguar specialist. 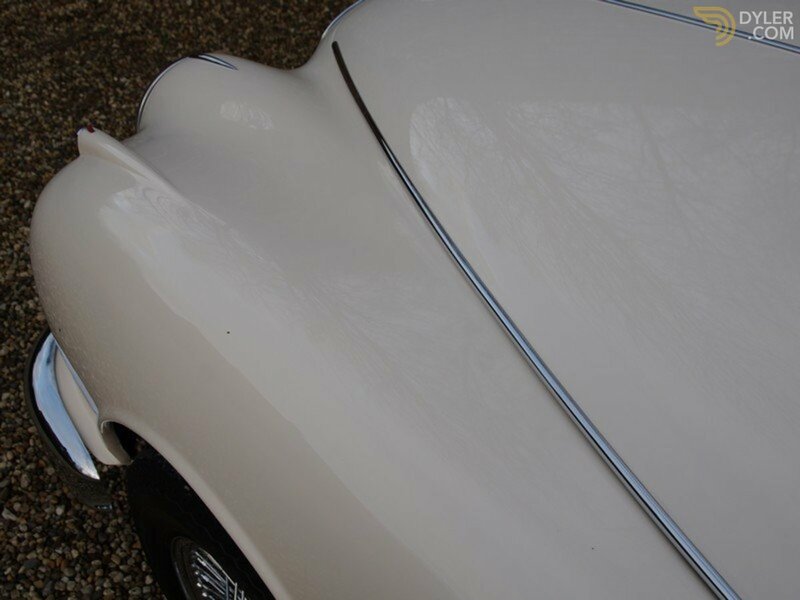 The bodywork is in a fine condition. 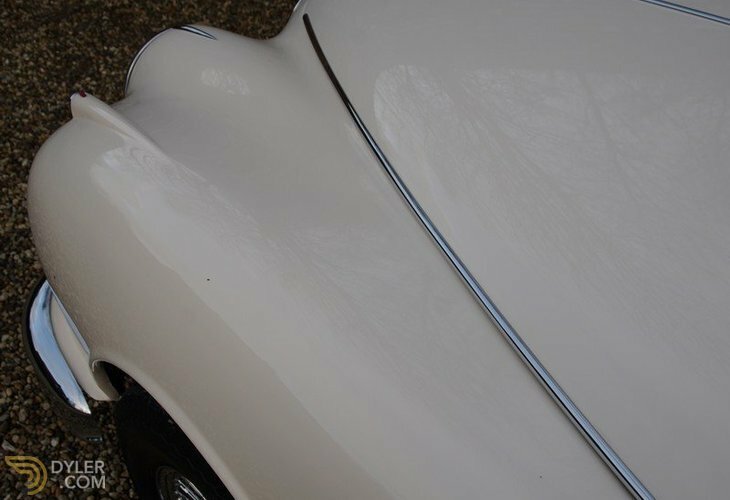 The paint and chrome details are pristine. 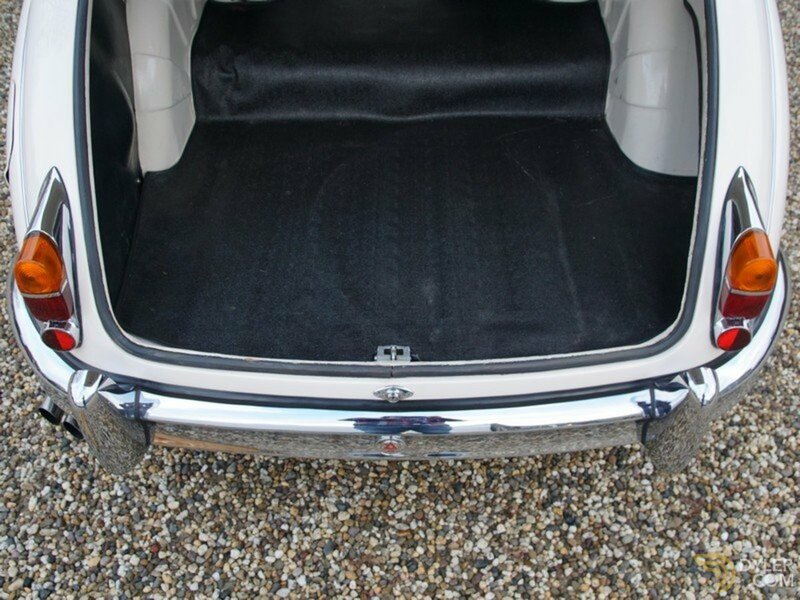 The uncorroded underbody is sound. 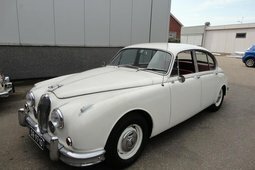 The cars’ history is known since the car entered the Netherland in `92. 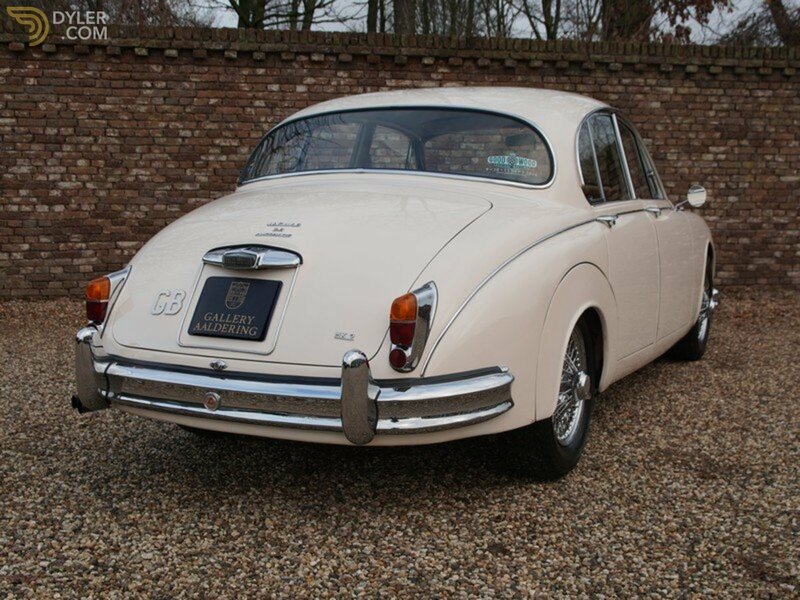 It comes with the import licence and original ‘Washington Certificate of Title’. 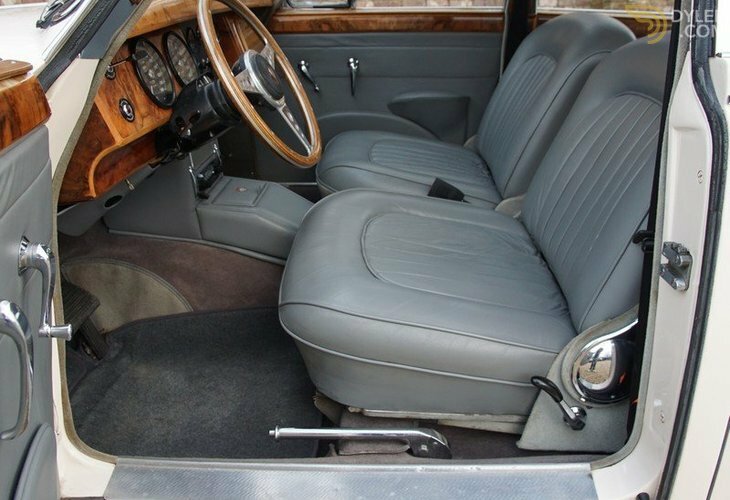 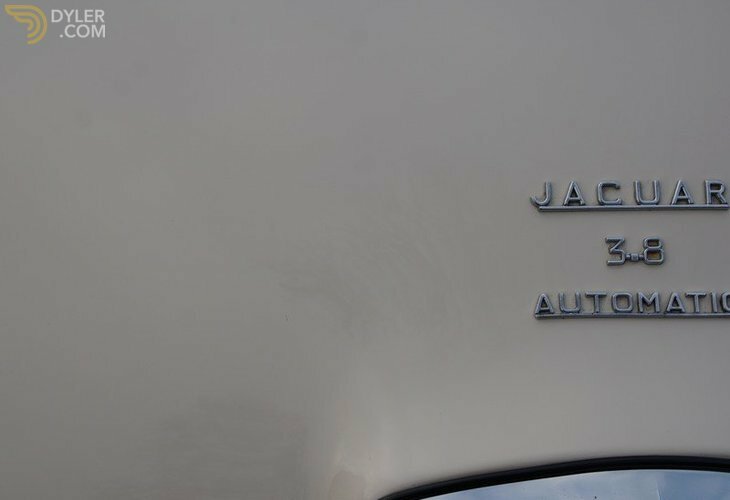 Factory-fitted with cruise control and automatic transmission. 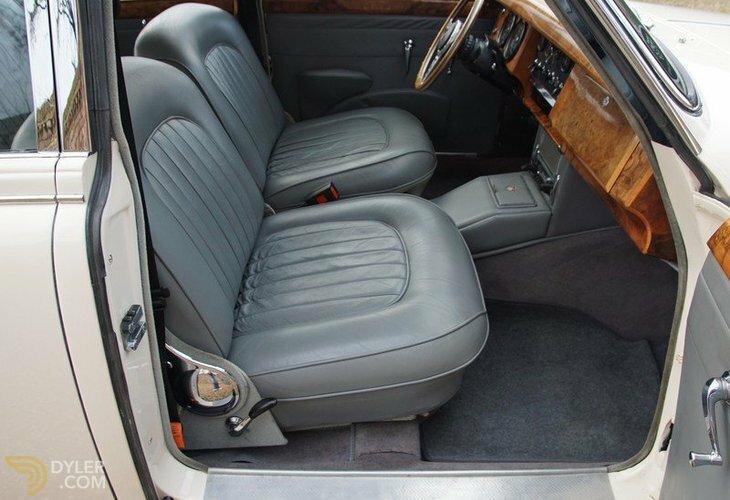 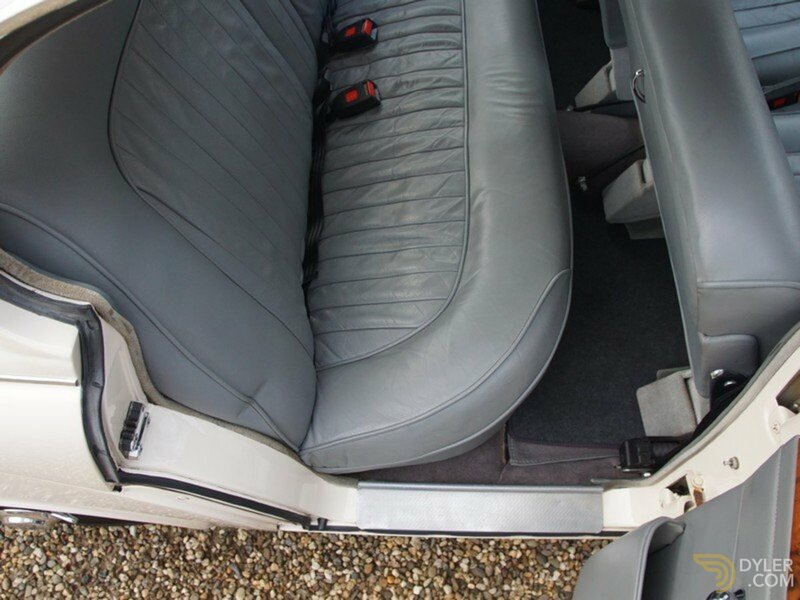 Finished in White with a nice grey leather interior trim, this is certainly one lovely 3.8 MK2!